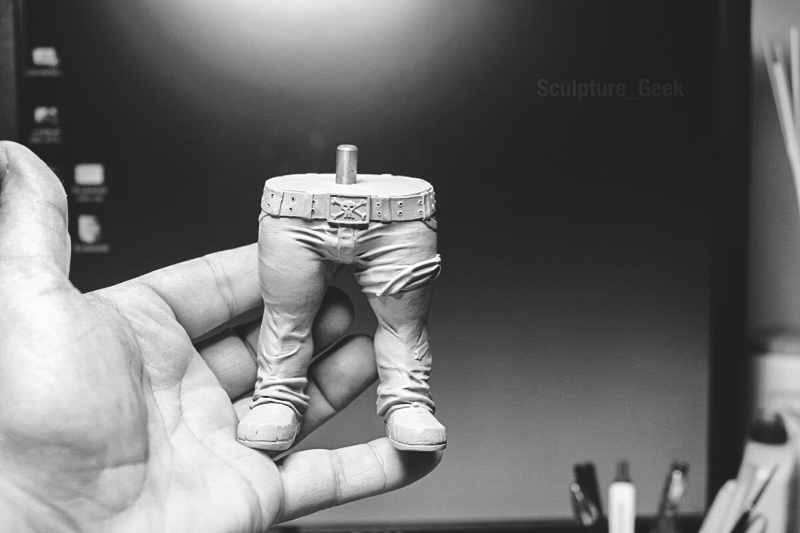 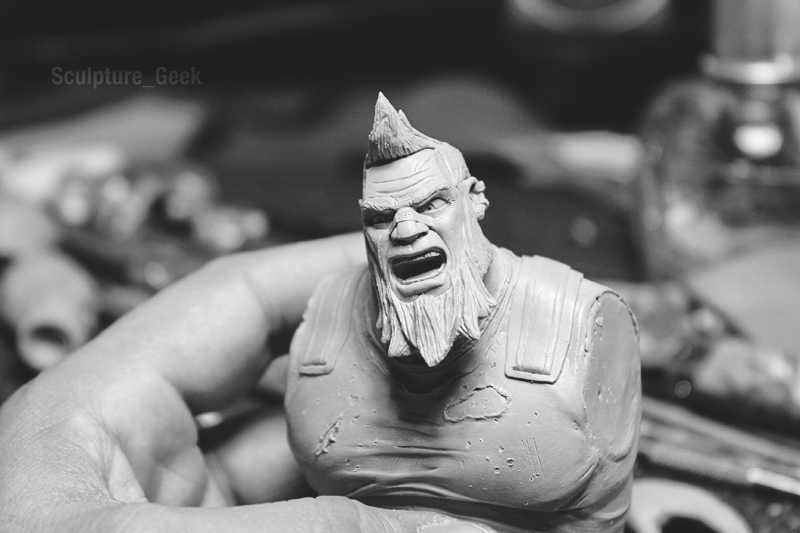 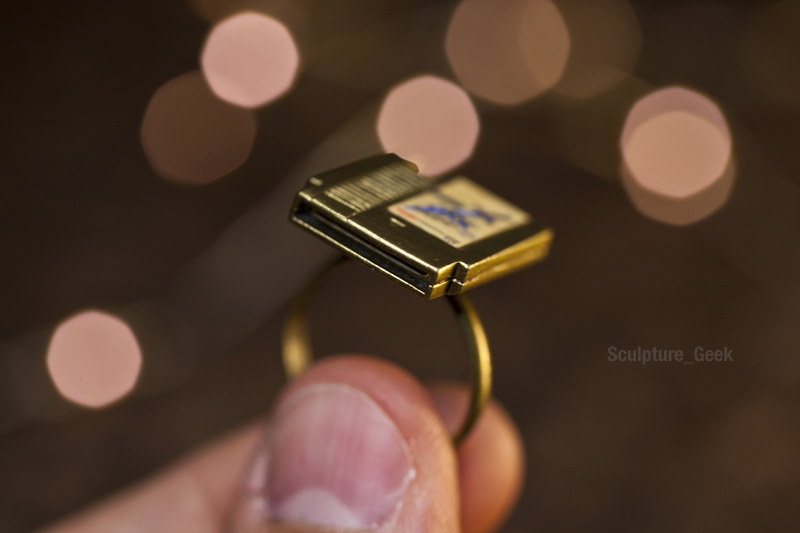 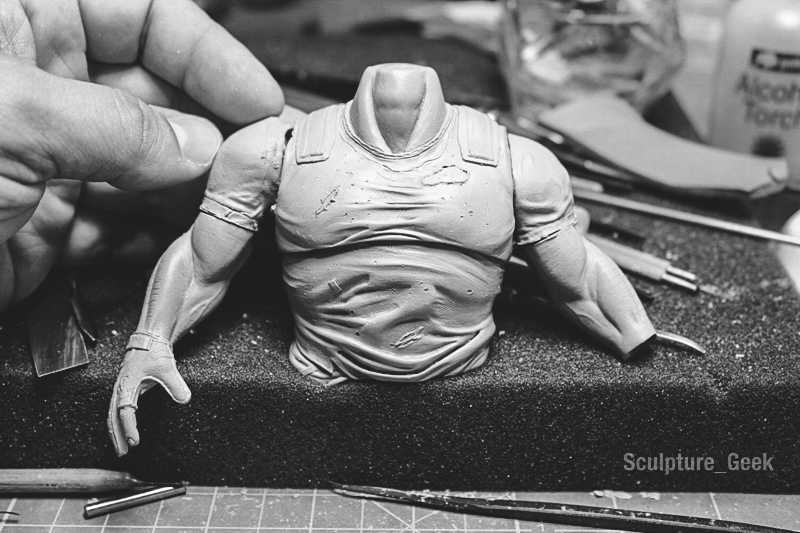 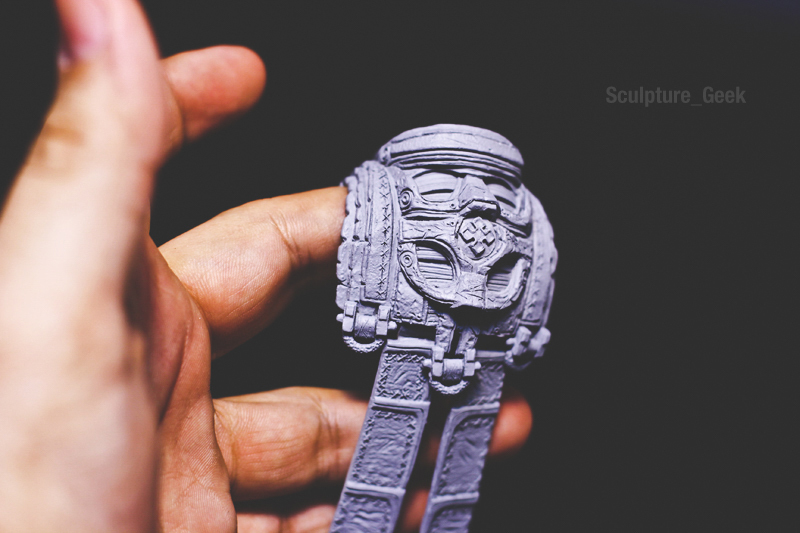 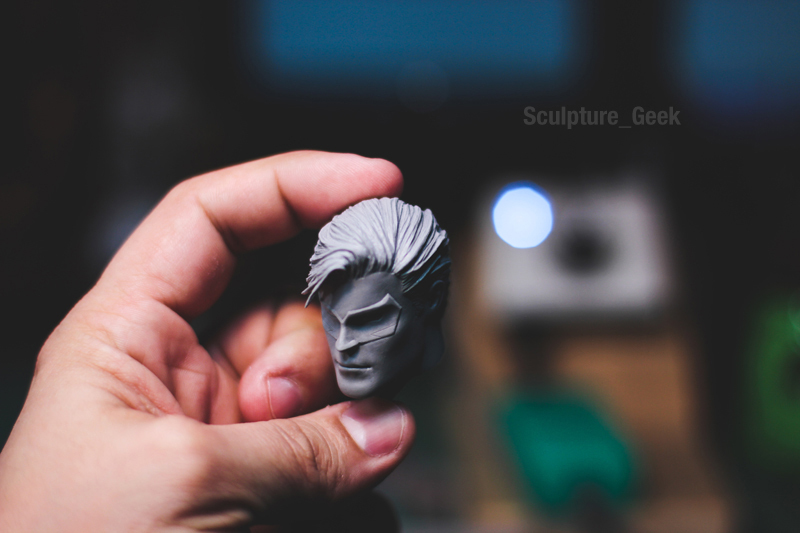 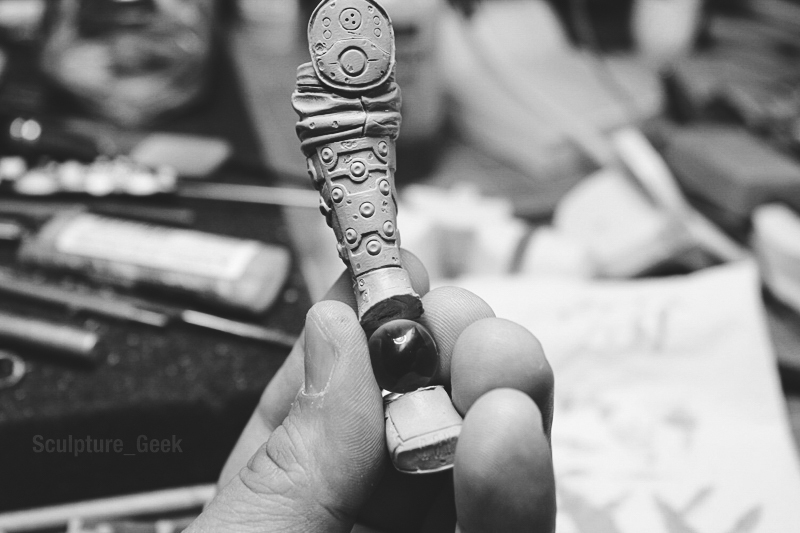 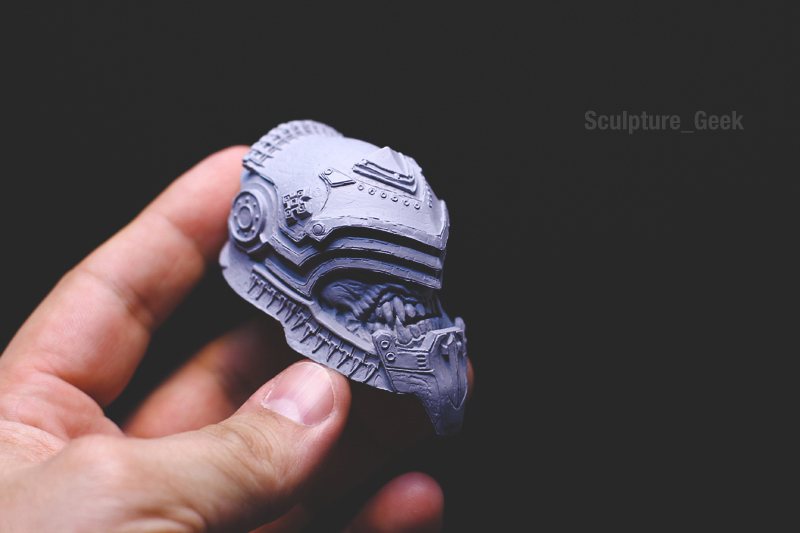 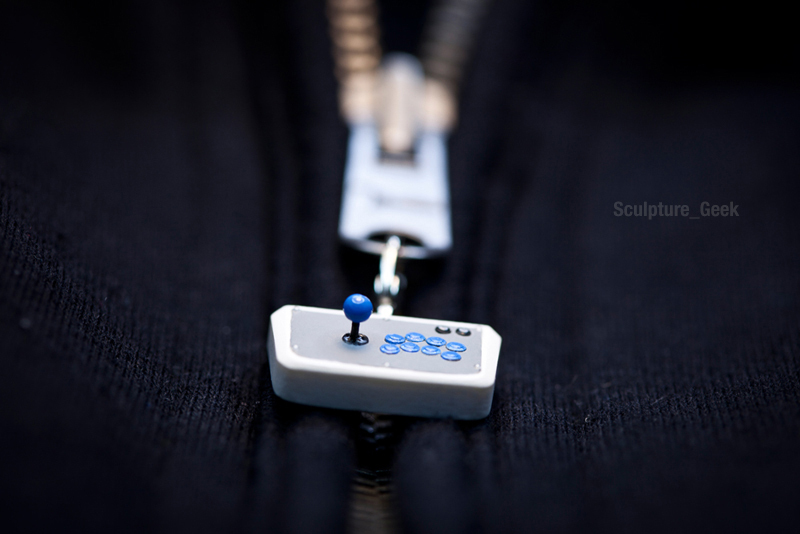 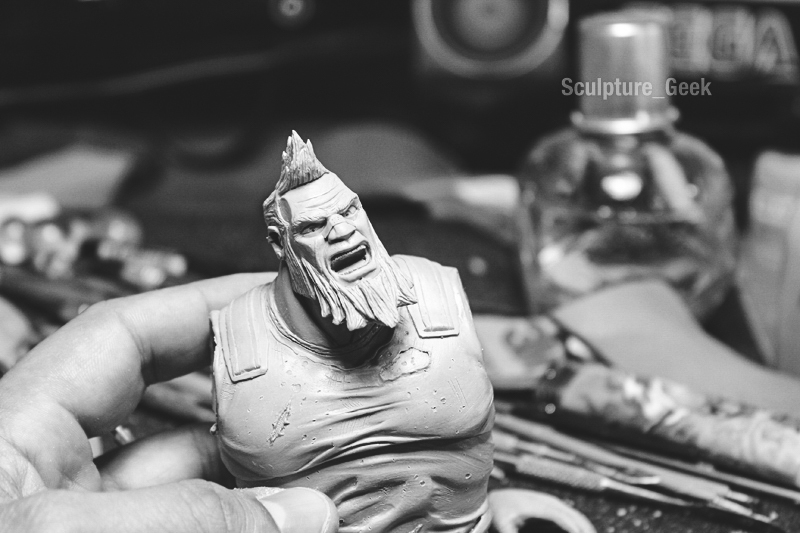 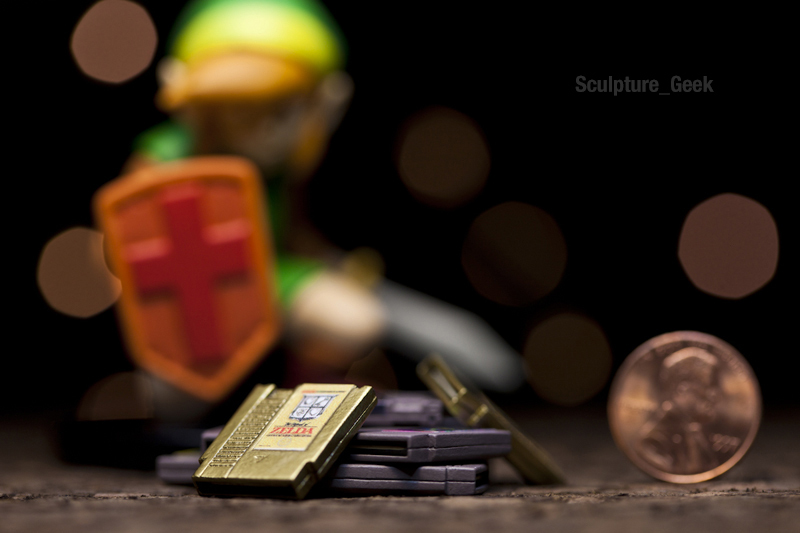 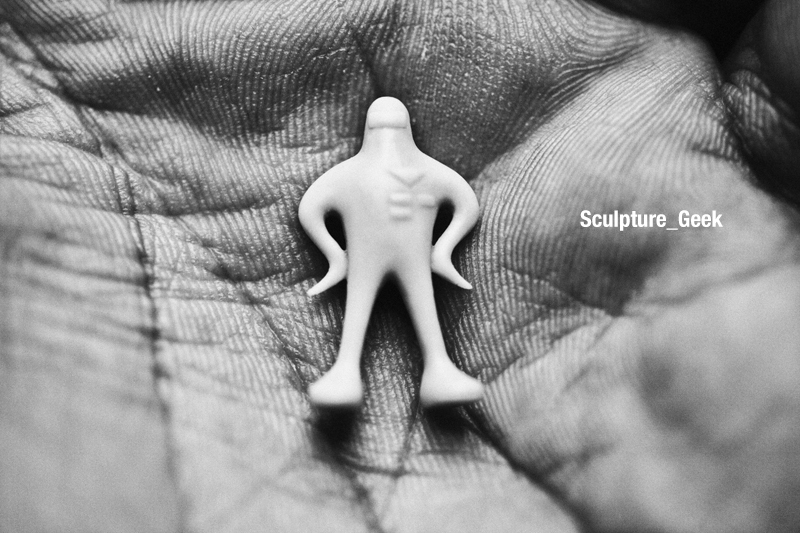 Commercial Work - Sculpture_Geek Headquarters. 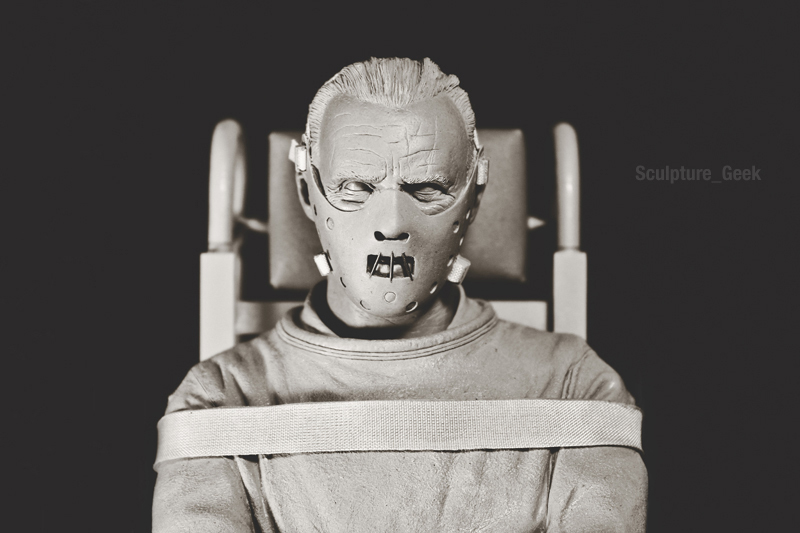 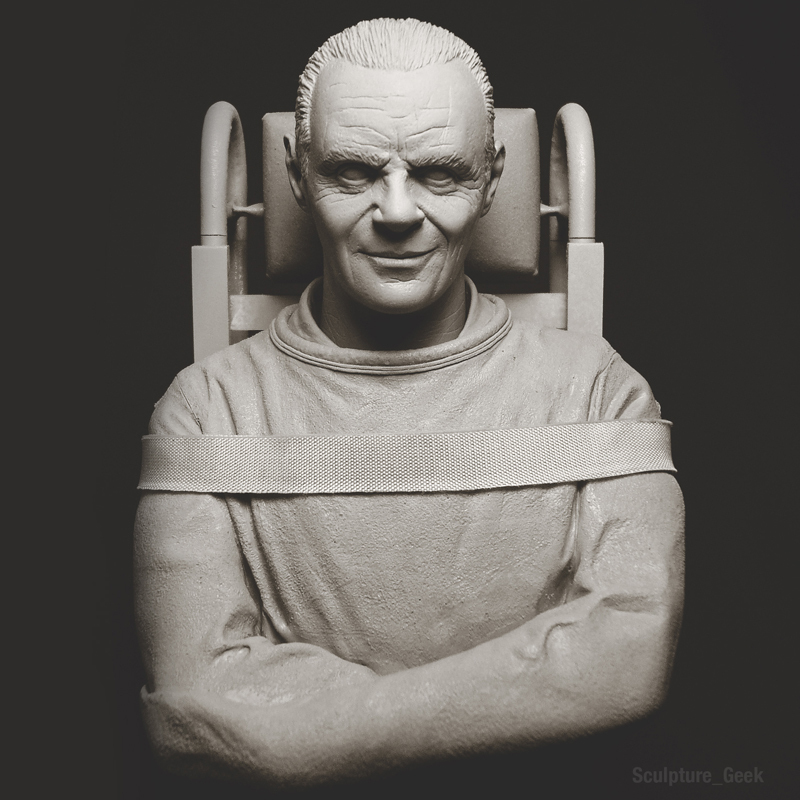 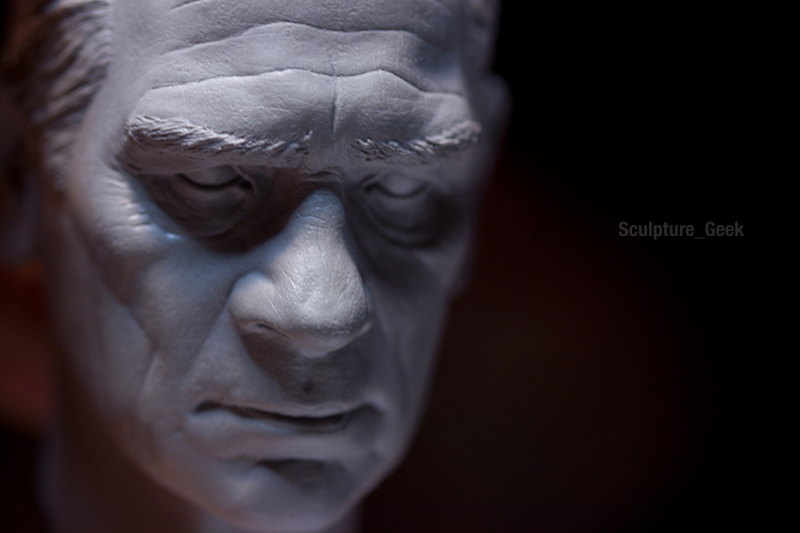 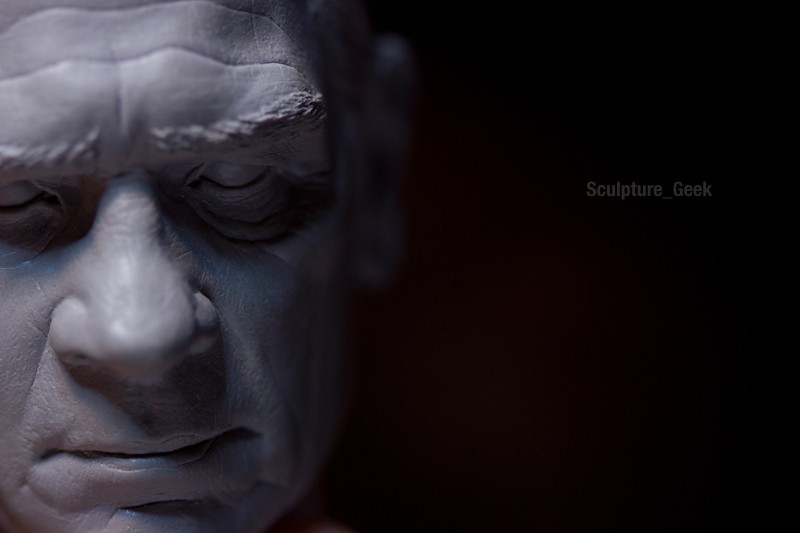 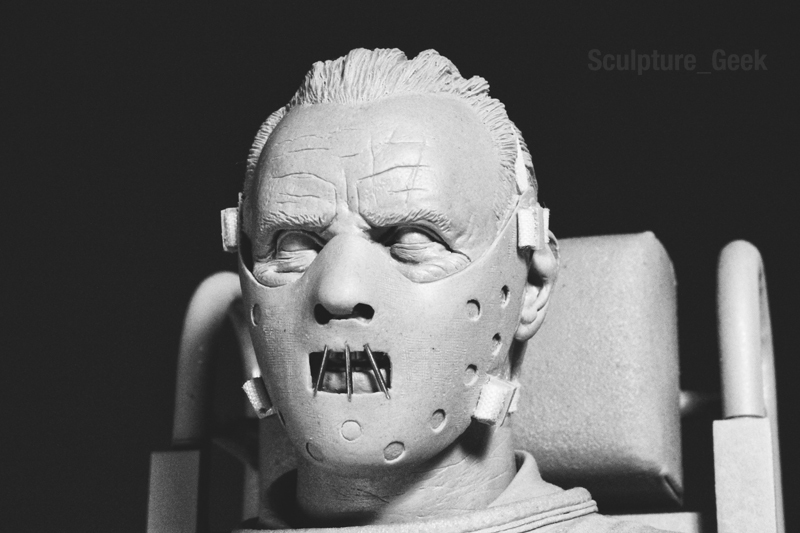 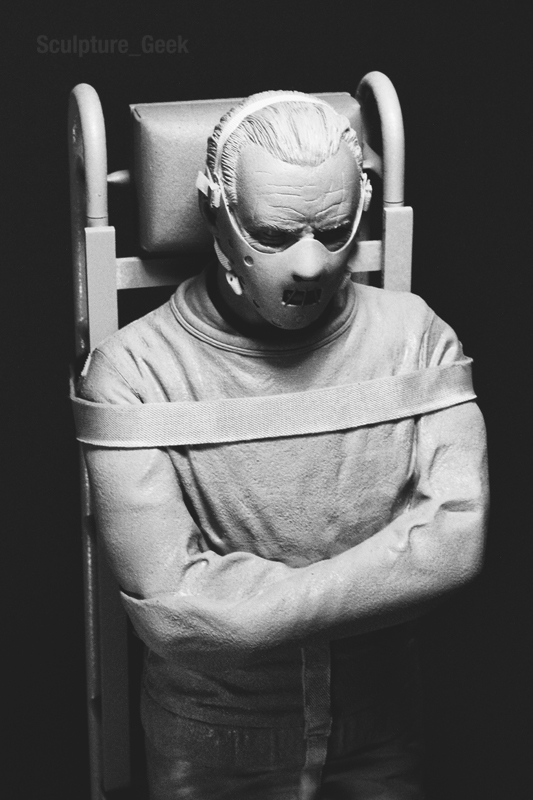 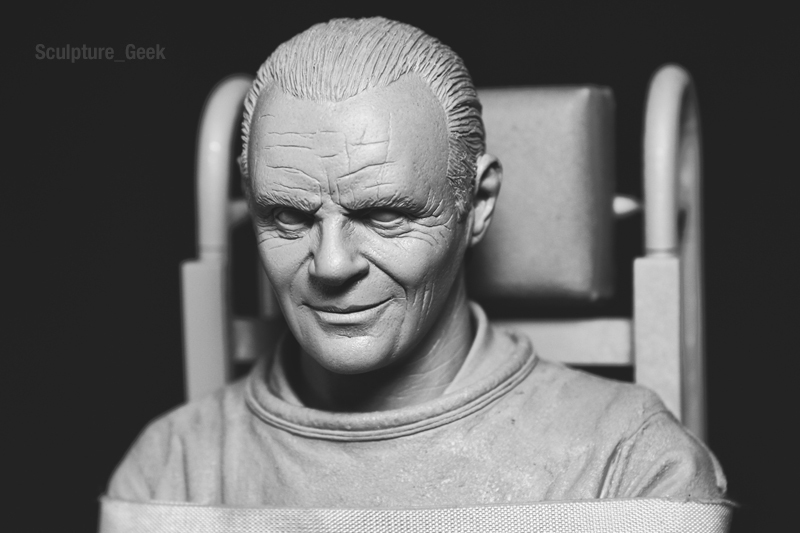 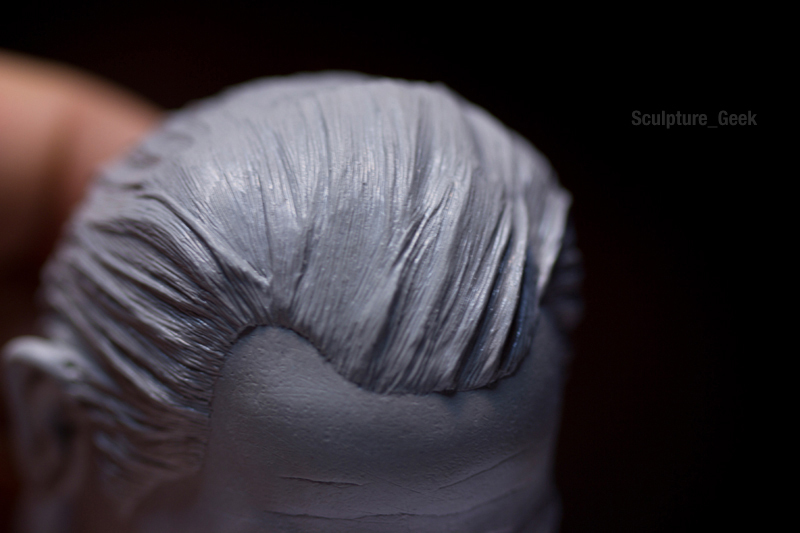 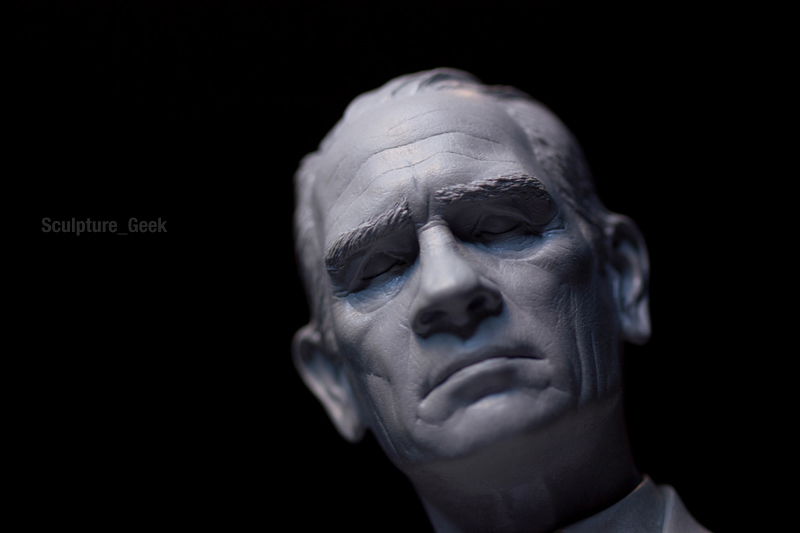 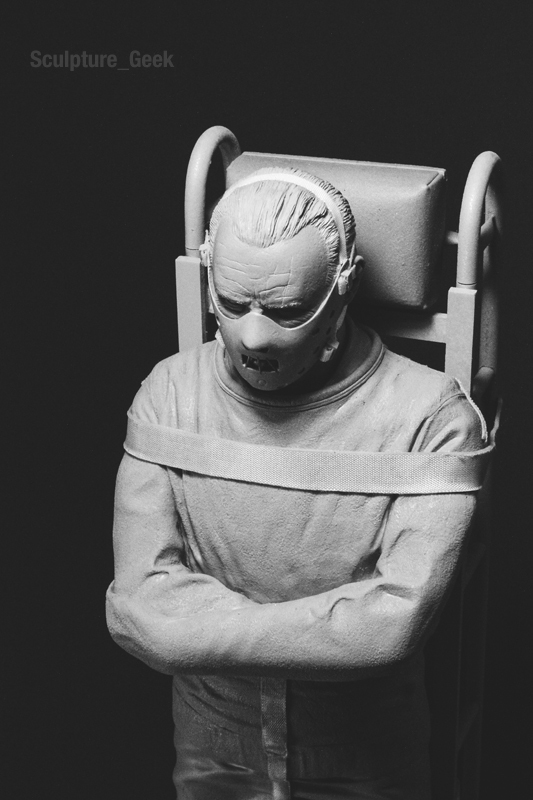 Portrait of Sir Anthony Hopkins as Hannibal Lector from Silence of the Lambs 1/6 scale. 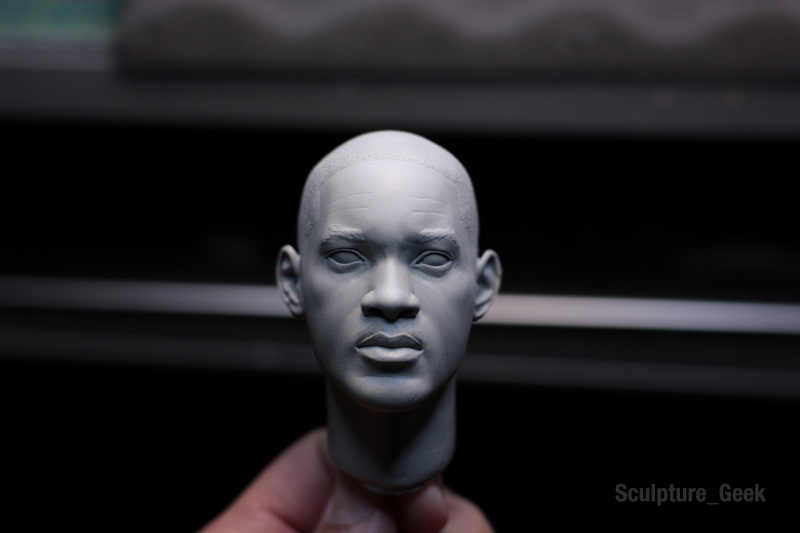 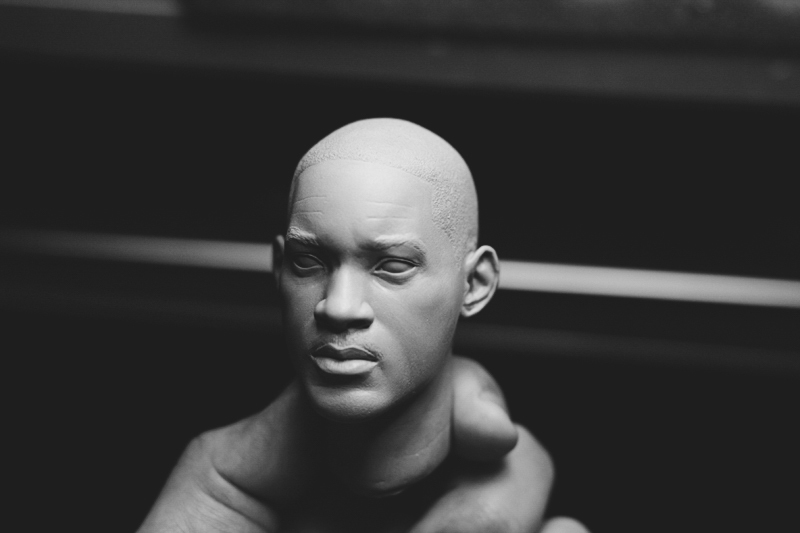 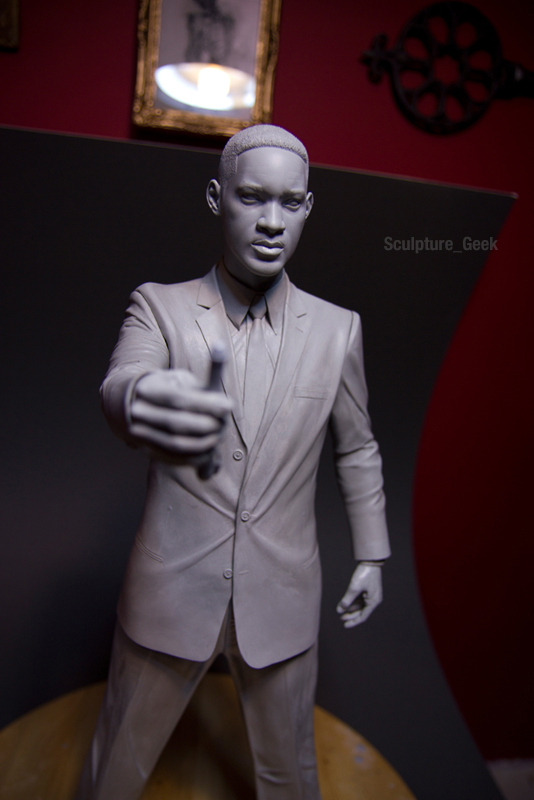 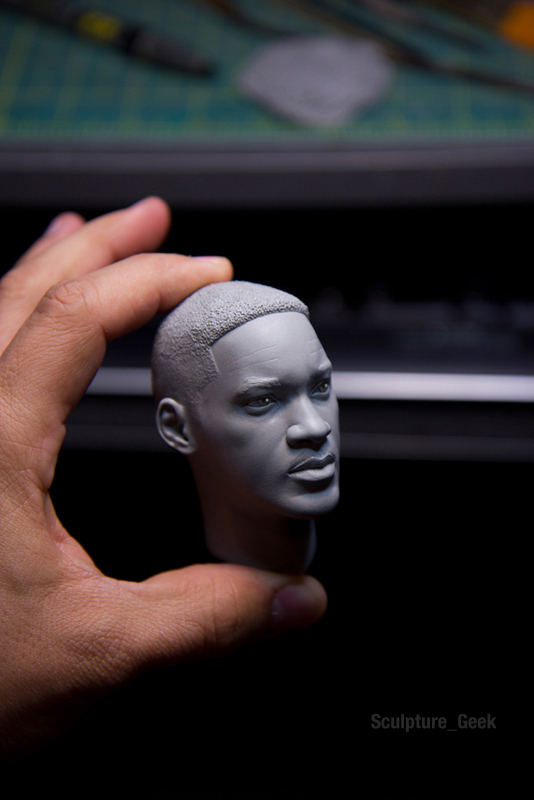 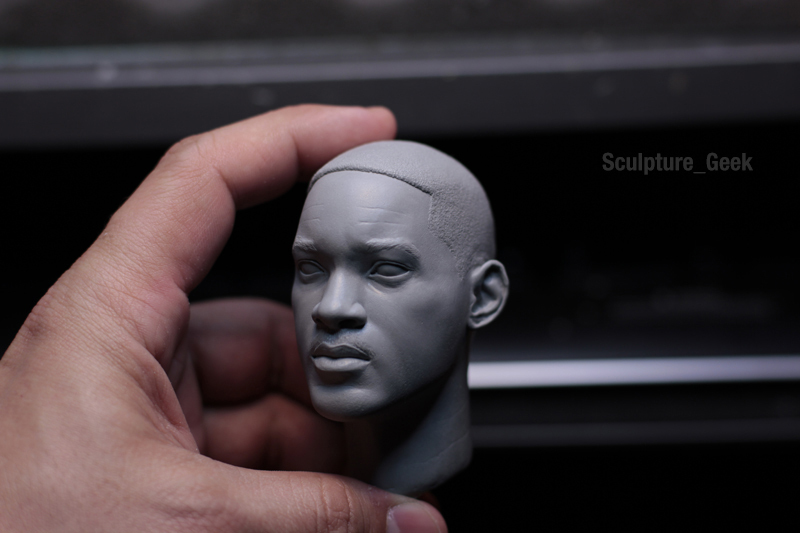 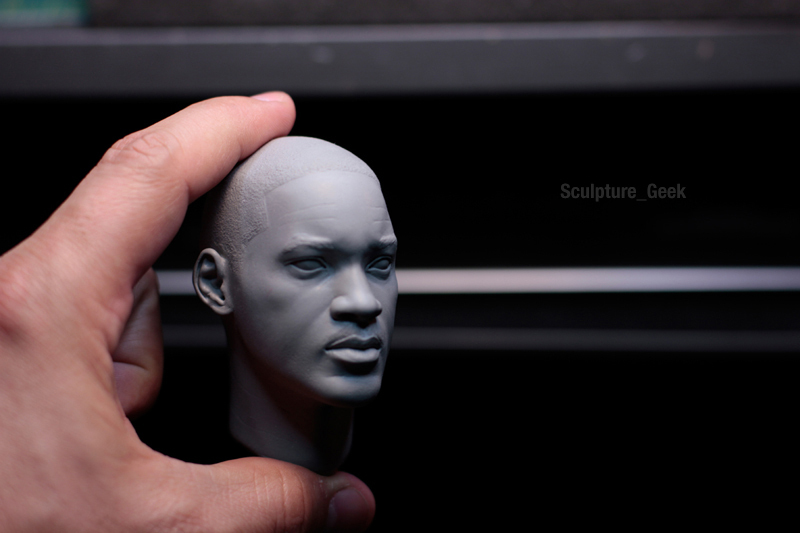 Portrait of Will Smith as Agent J in Men in Black. 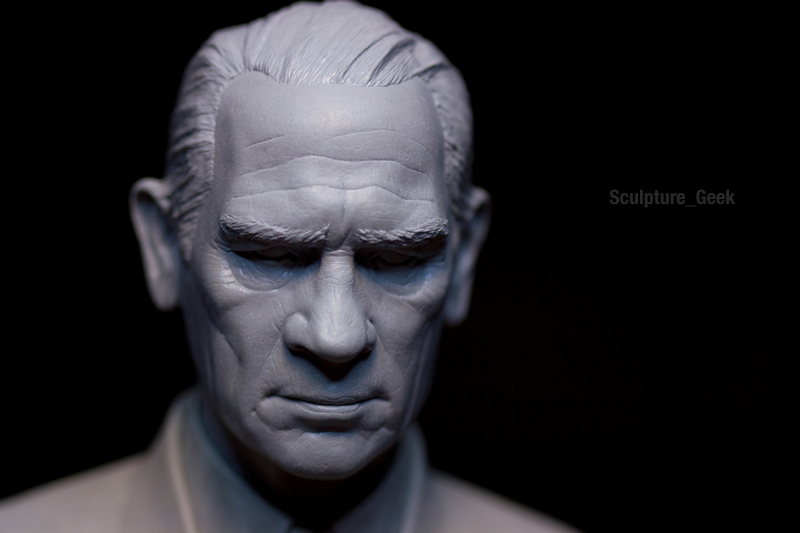 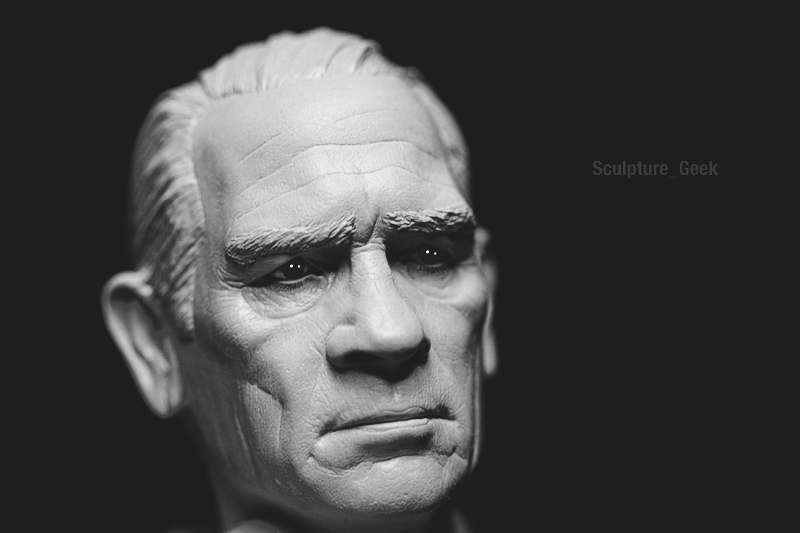 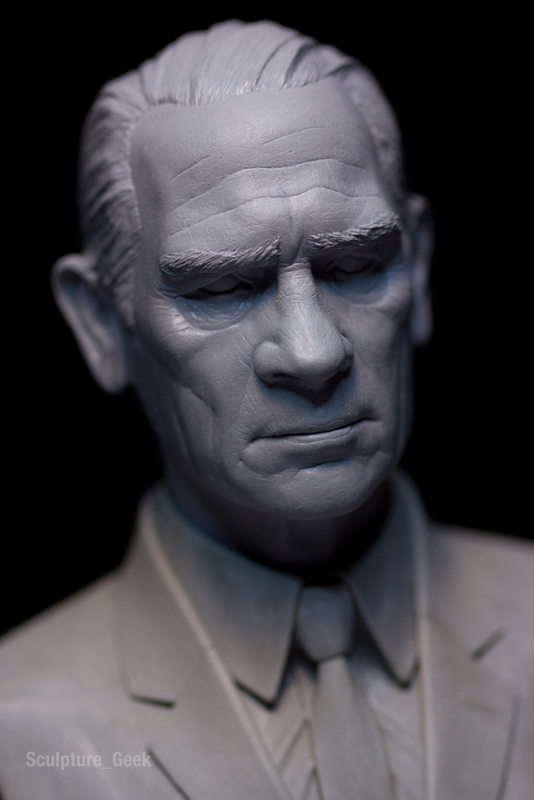 Portrait of Tommy Lee Jones as Agent K in Men in Black. 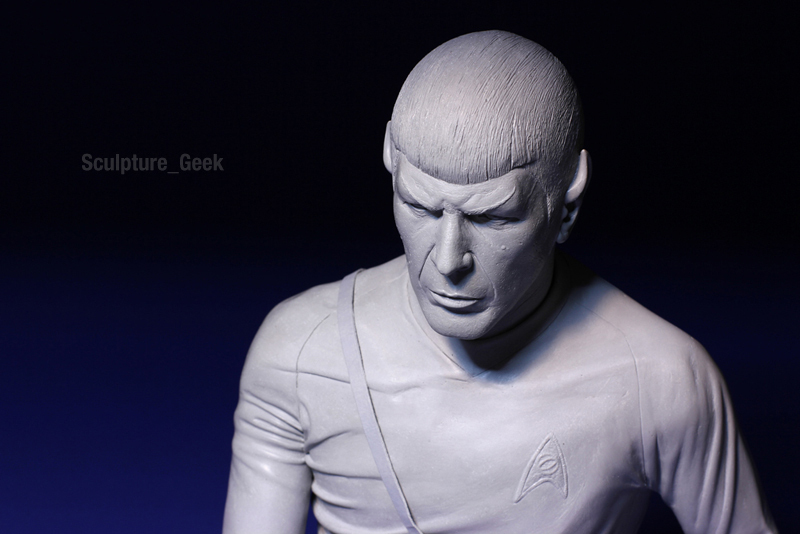 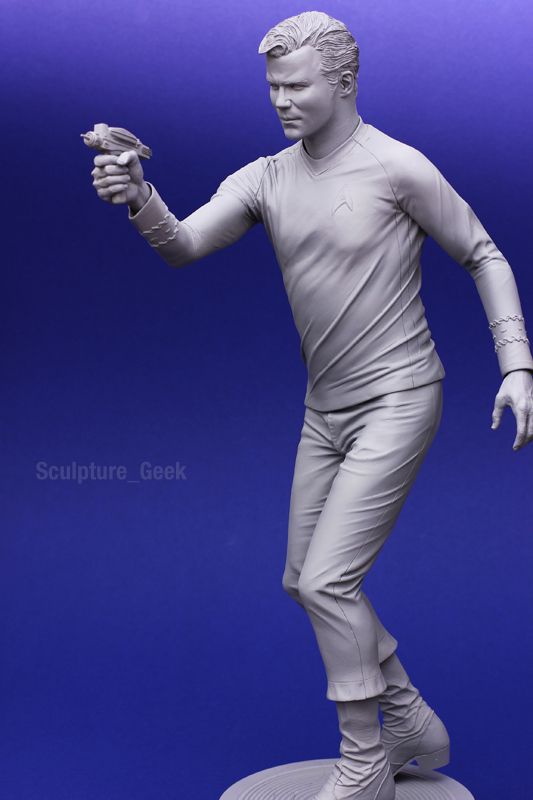 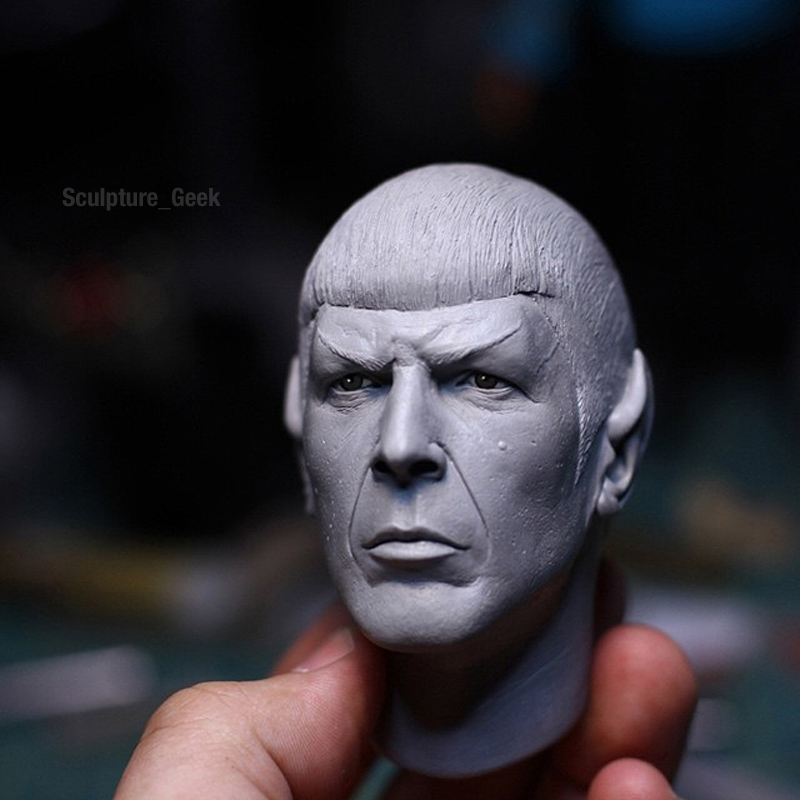 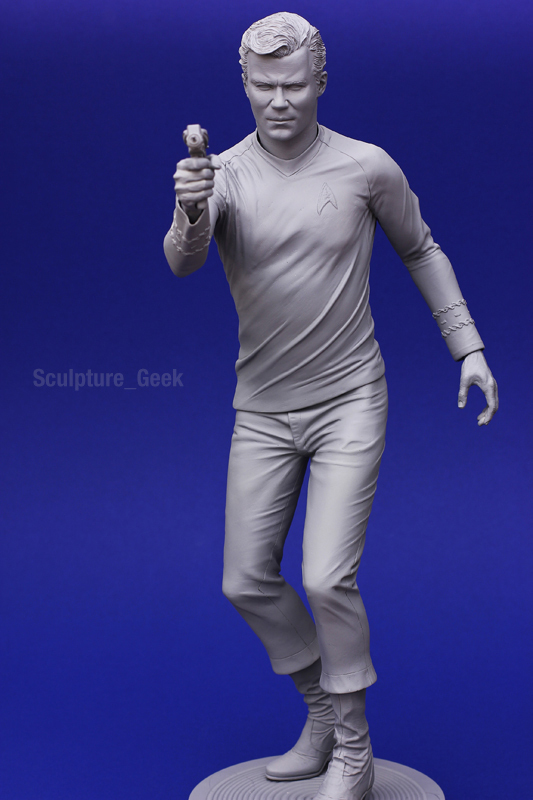 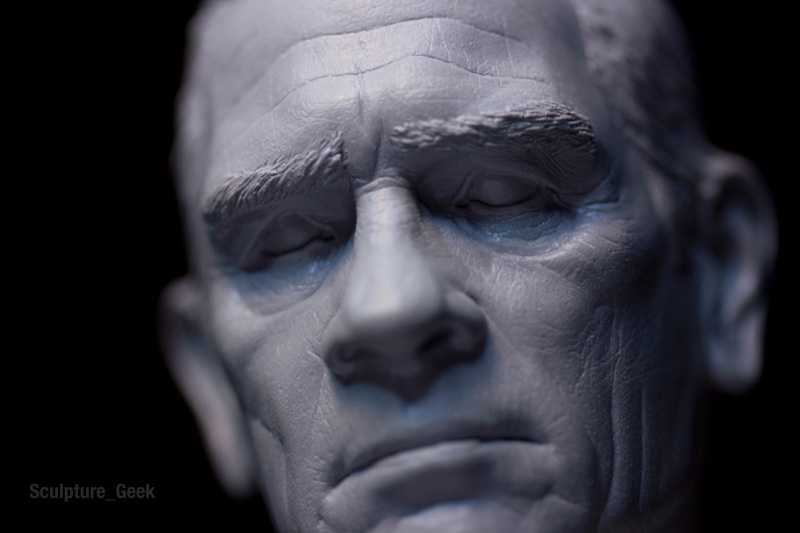 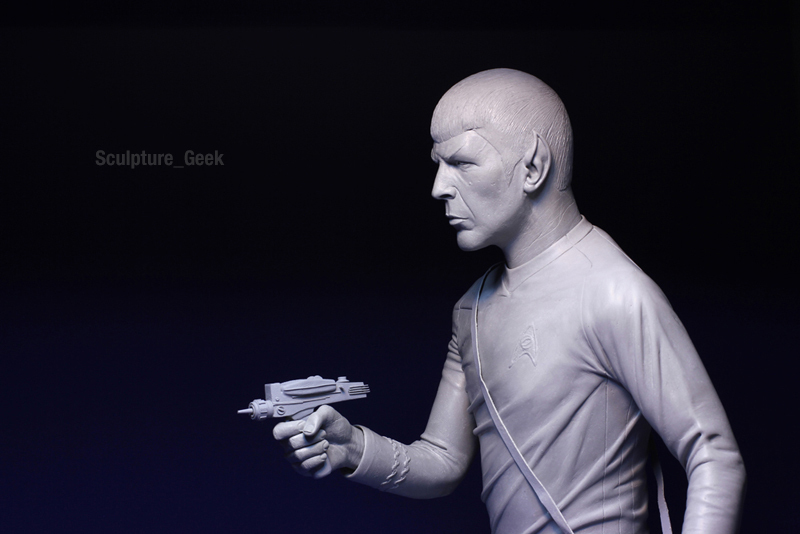 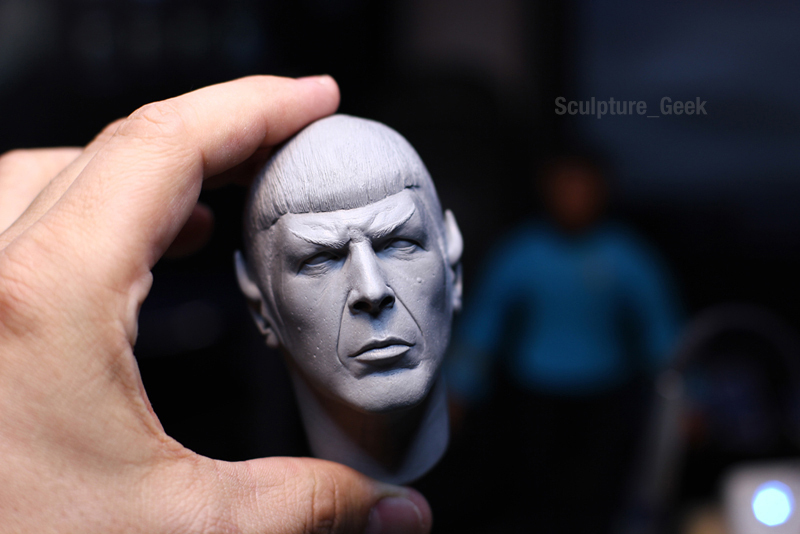 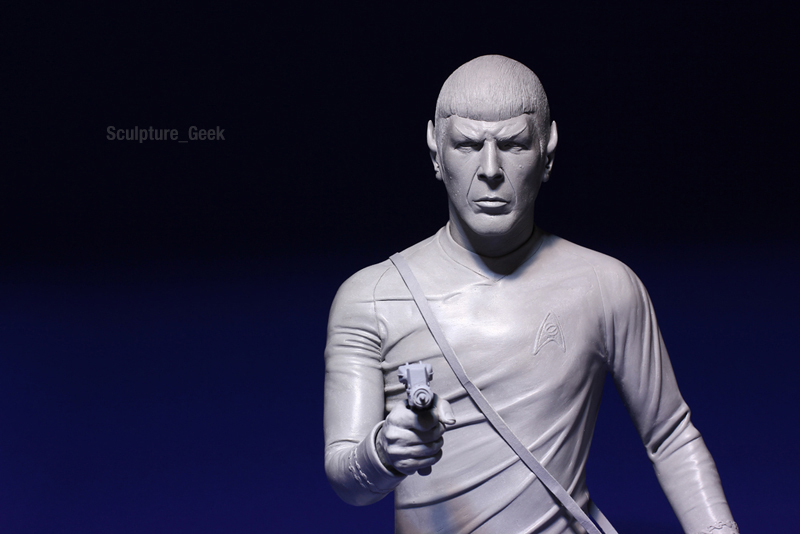 Portrait of Leonard Nimoy as Mr. Spock from Star Trek 1/4 scale. 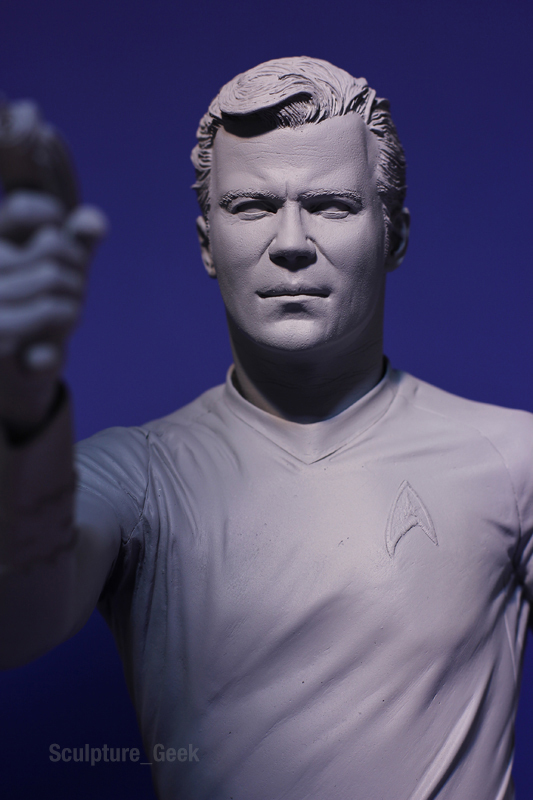 Portrait of William Shatner as Captain Kirk from Star Trek. 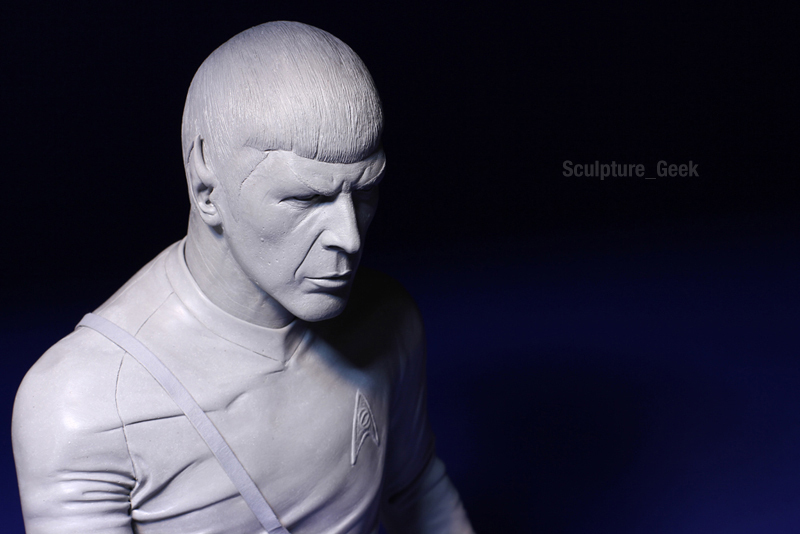 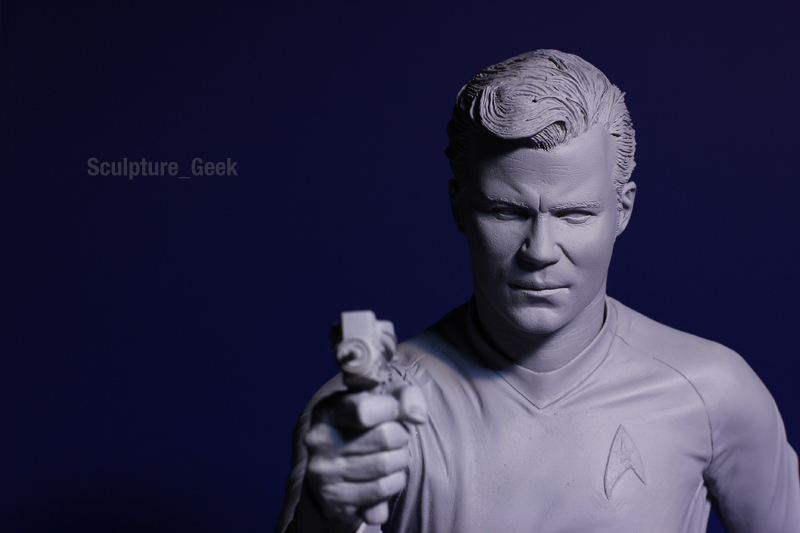 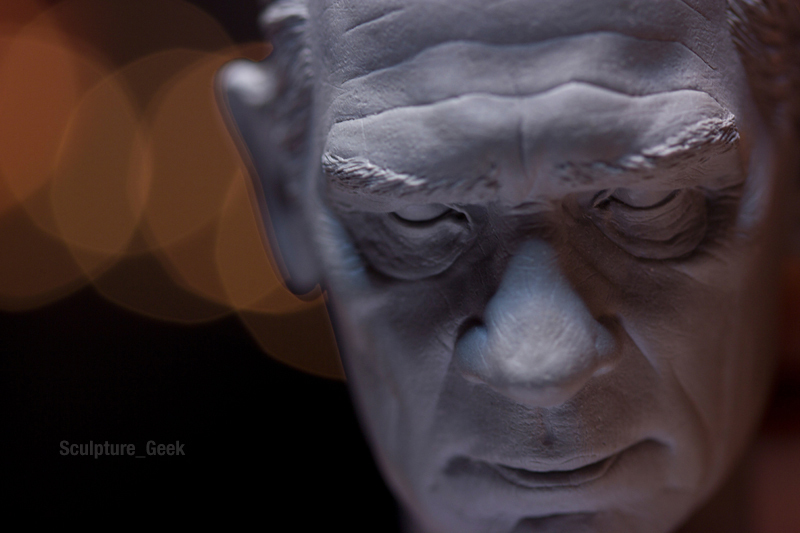 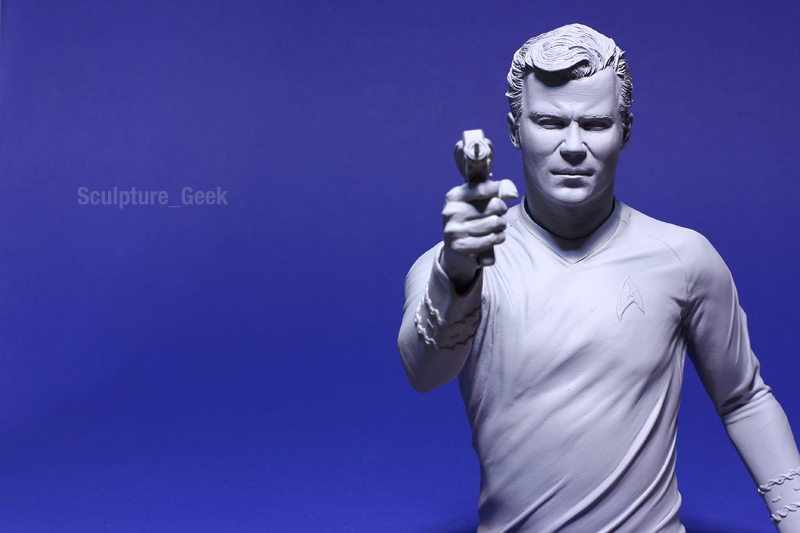 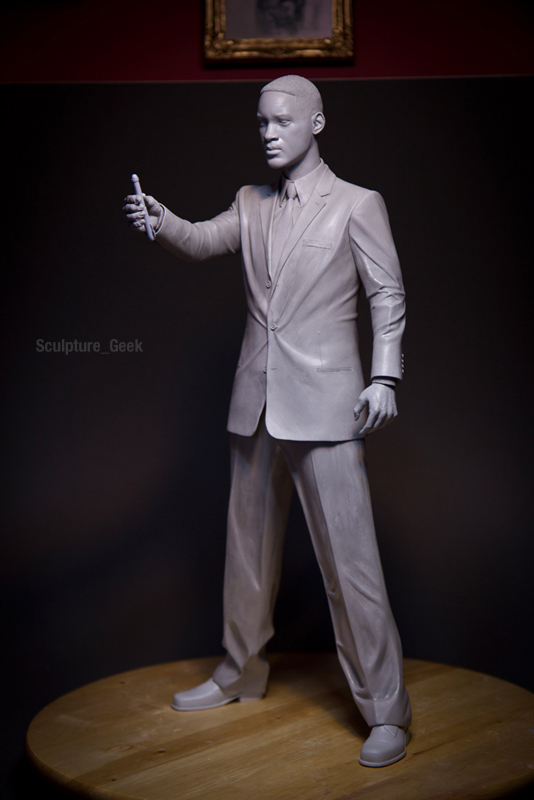 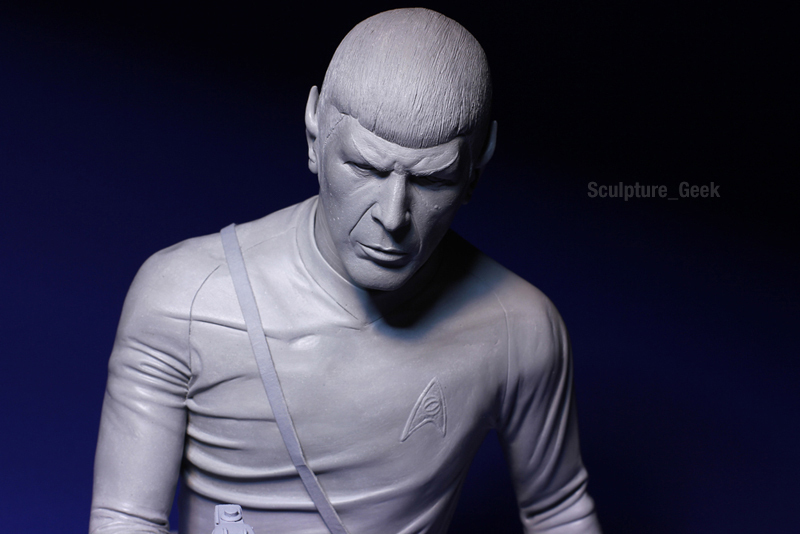 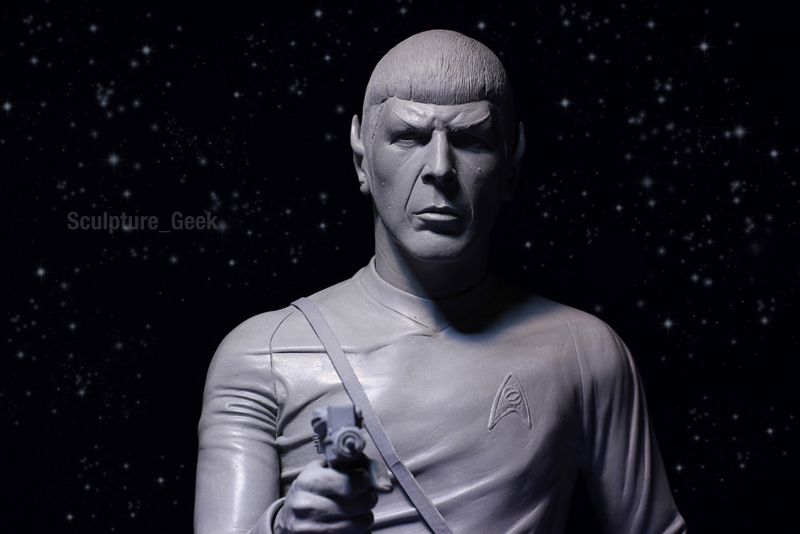 Portrait of William Shatner as Captain Kirk from Star Trek by sculptor Chris Vierra of Sculpture_Geek. 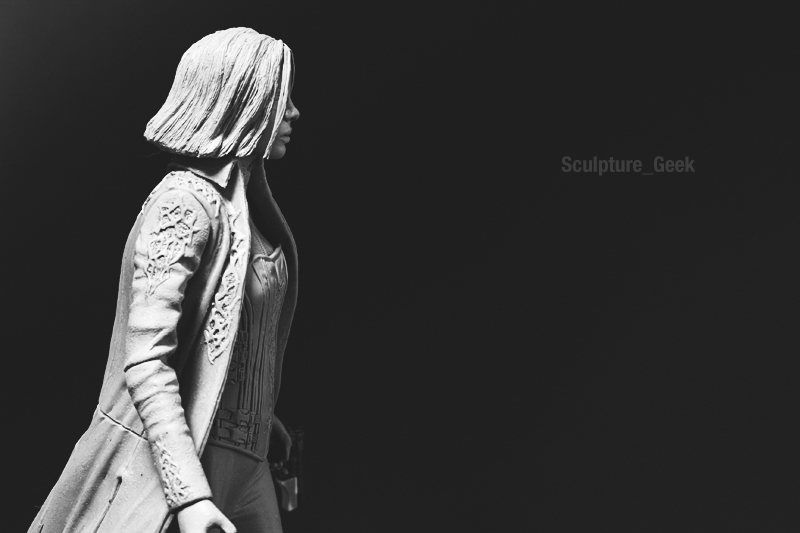 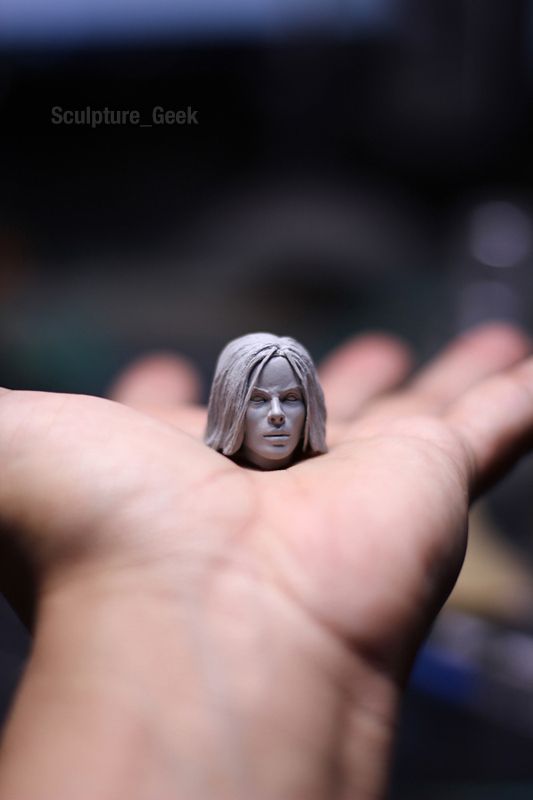 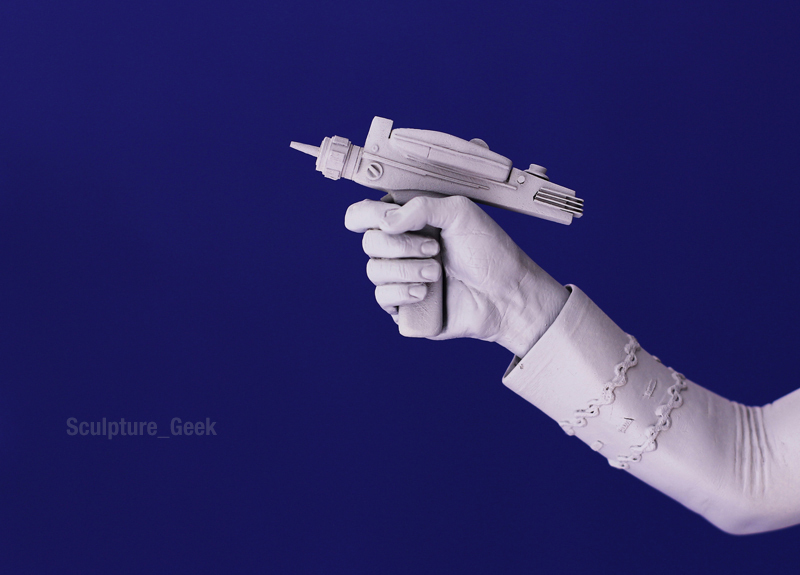 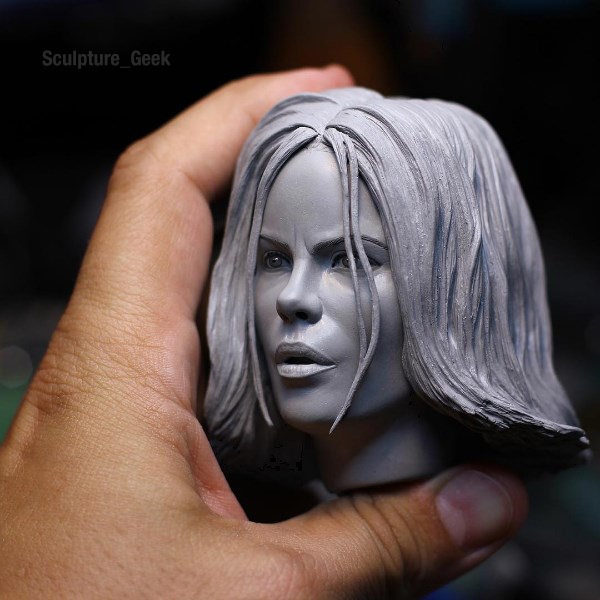 Portrait of Kate Beckinsale as Selene from Underword 1/4 scale. 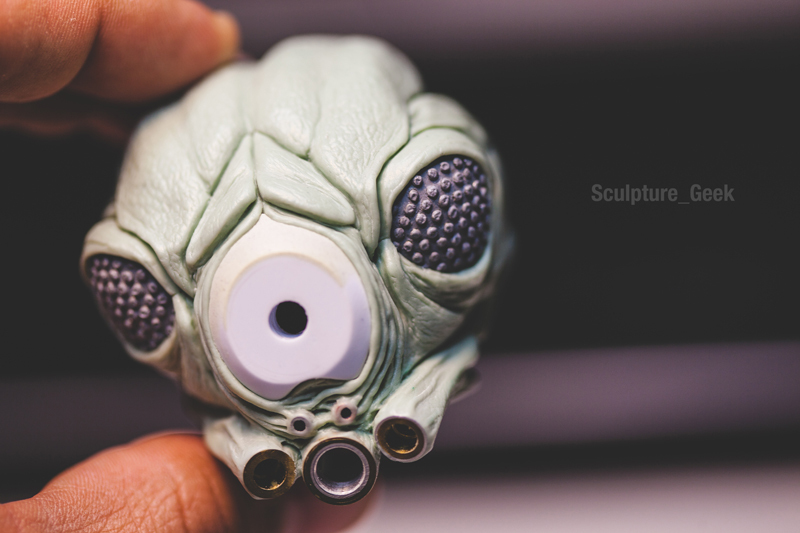 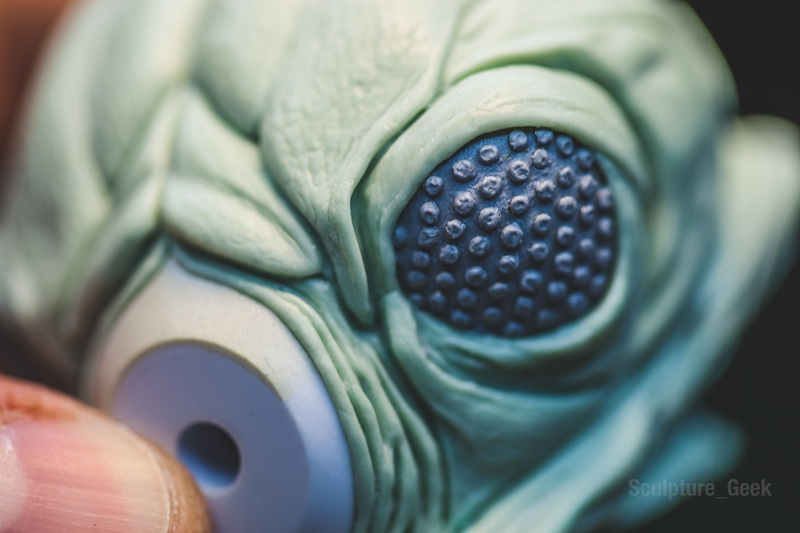 Portrait of Zuckuss from Star Wars for Sideshow collectibles 1/6 scale. 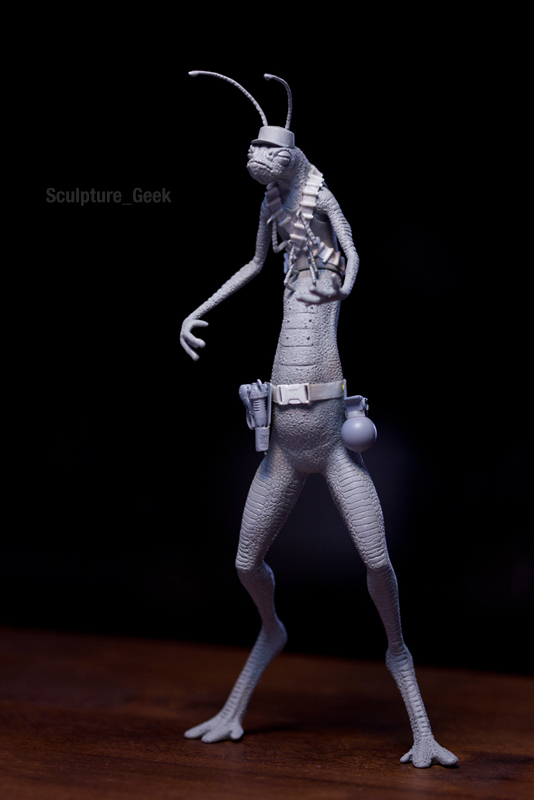 Worm soldier from Men in Black. 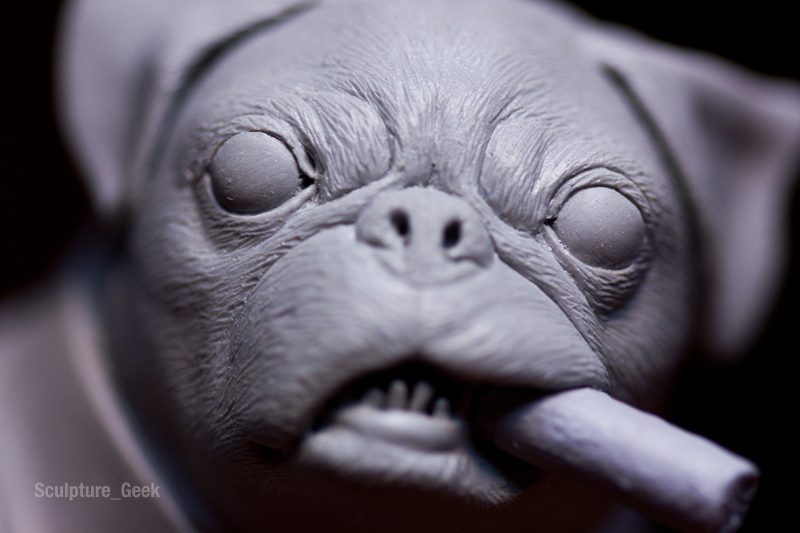 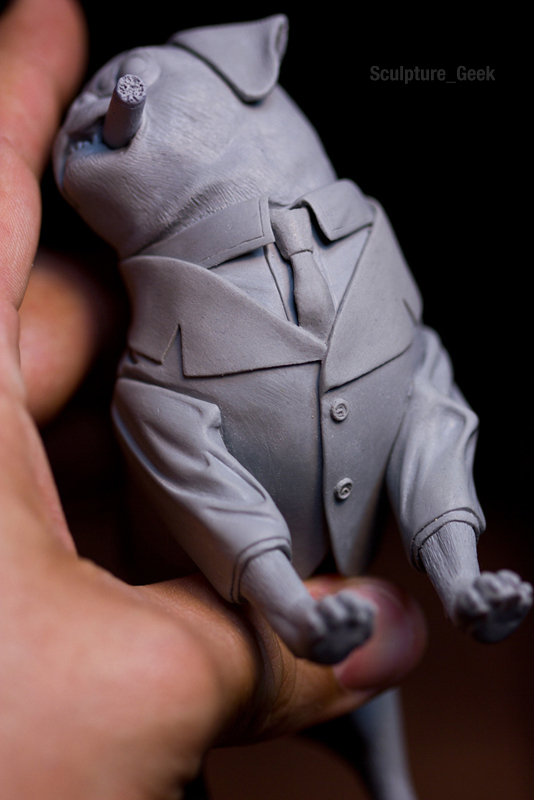 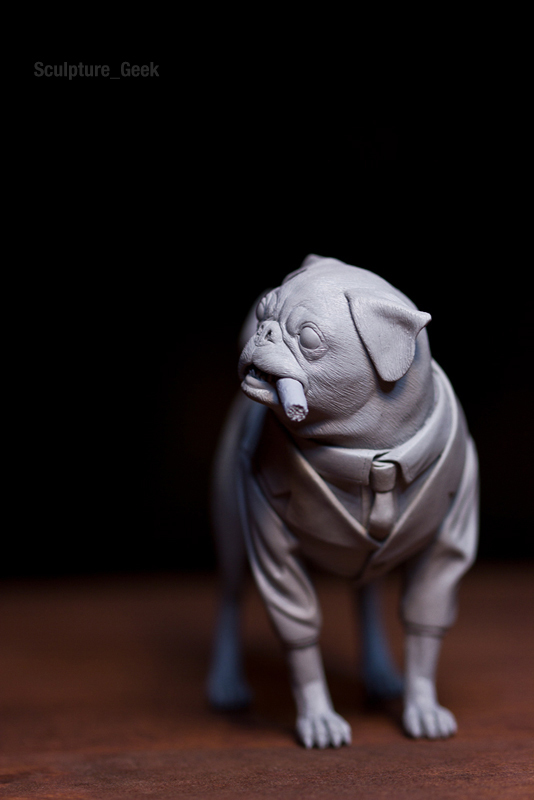 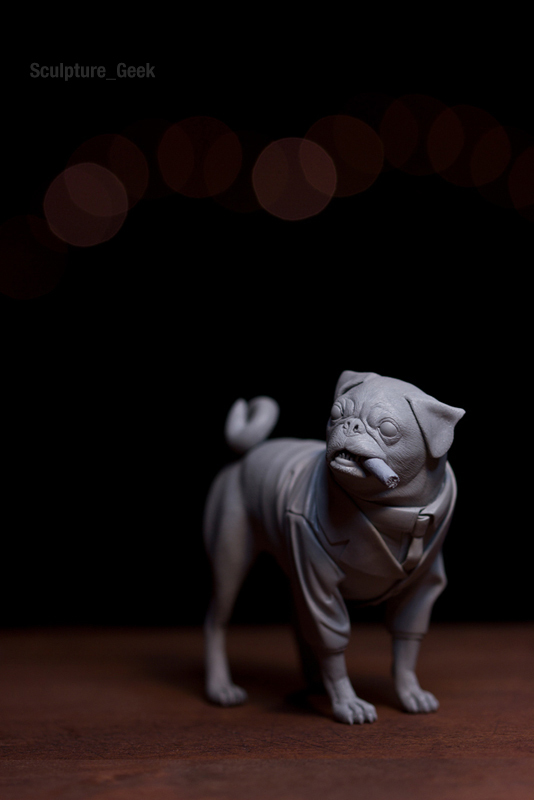 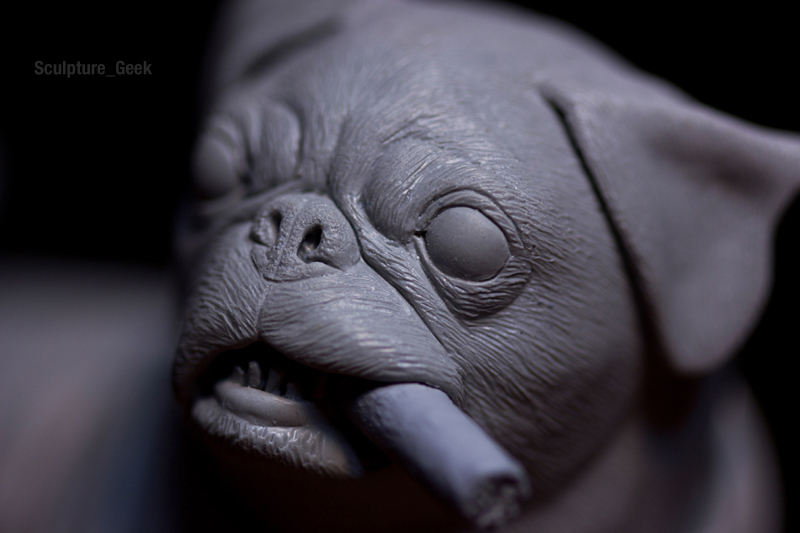 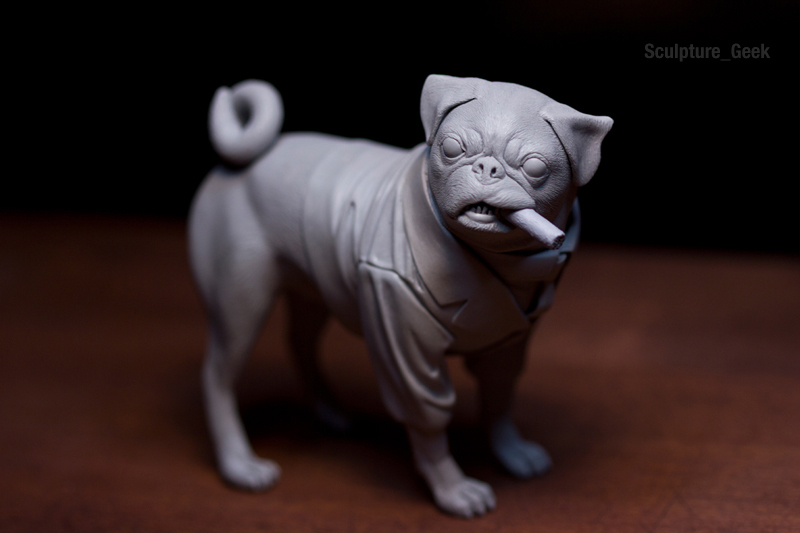 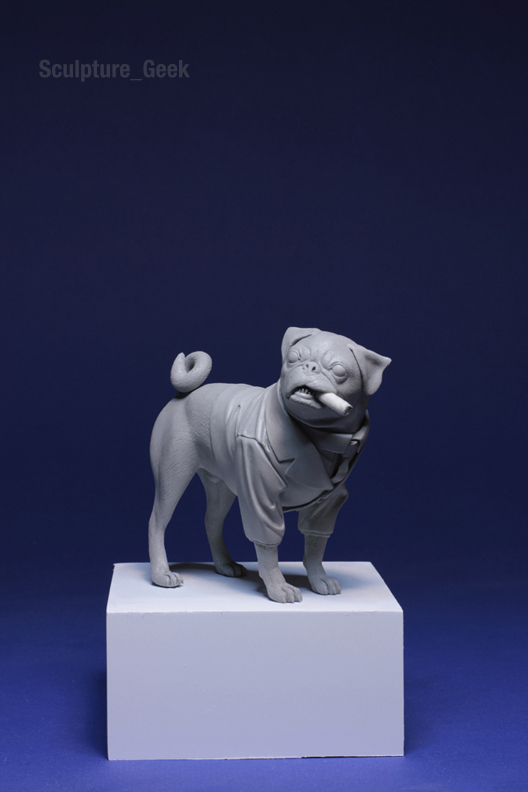 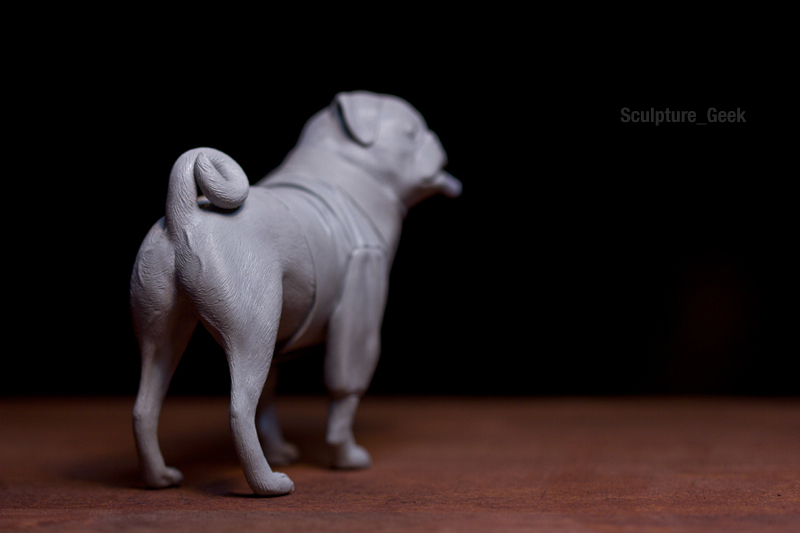 Portrait of Agent F the pug from Men in Black. 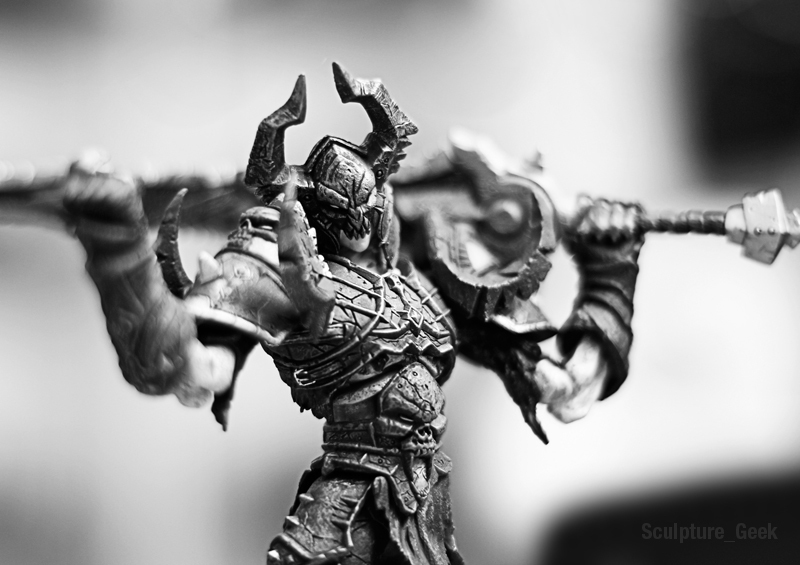 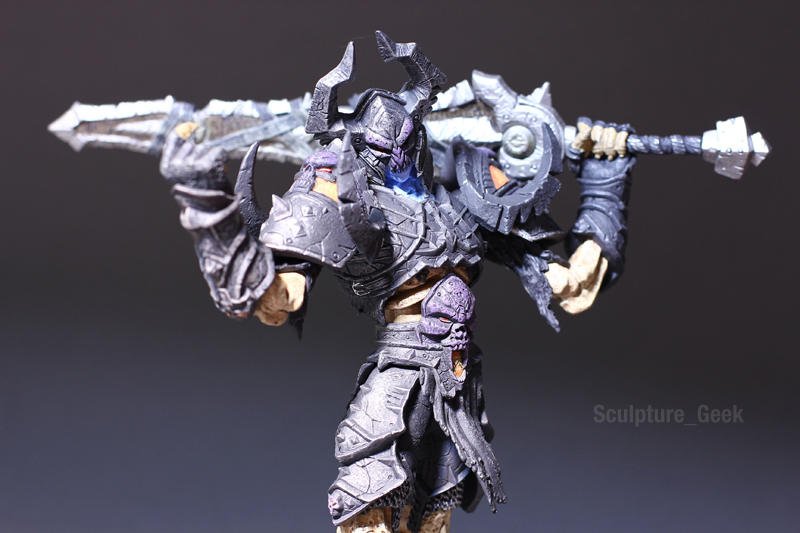 Black Knight action figure from World of Warcraft. 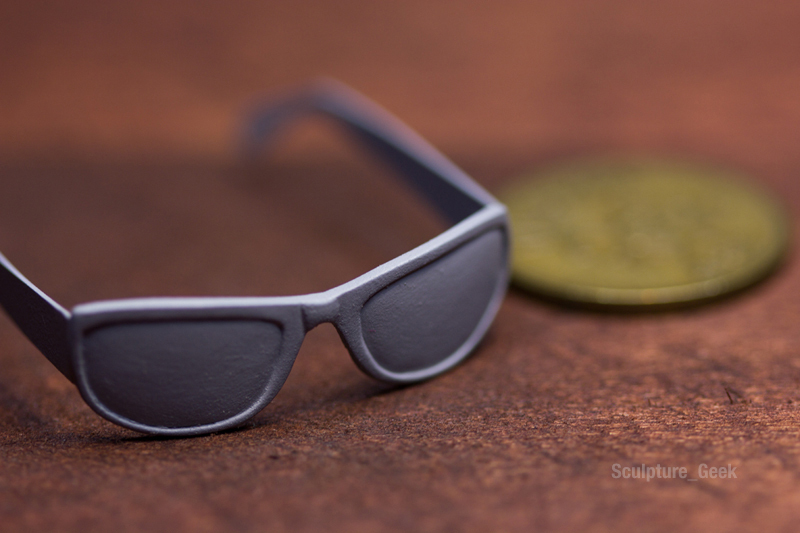 Men in Black sunglasses accessory. 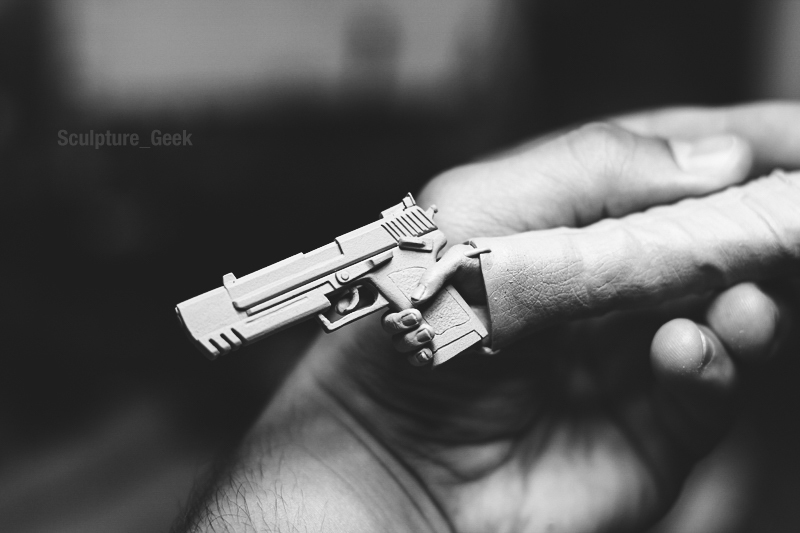 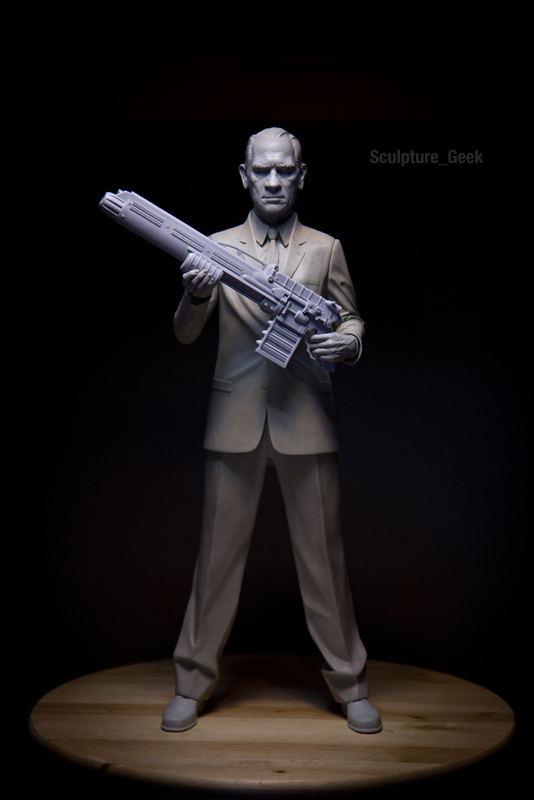 Men in Black Neuralyzer accessory. 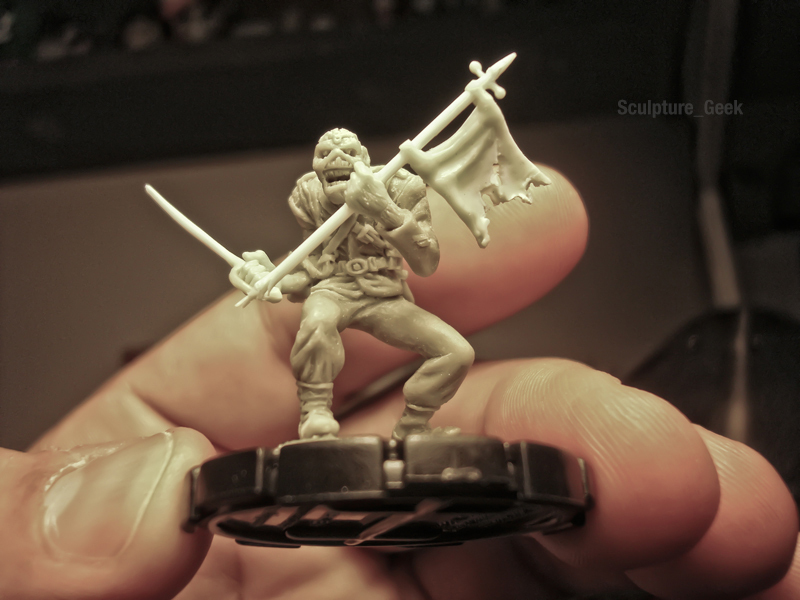 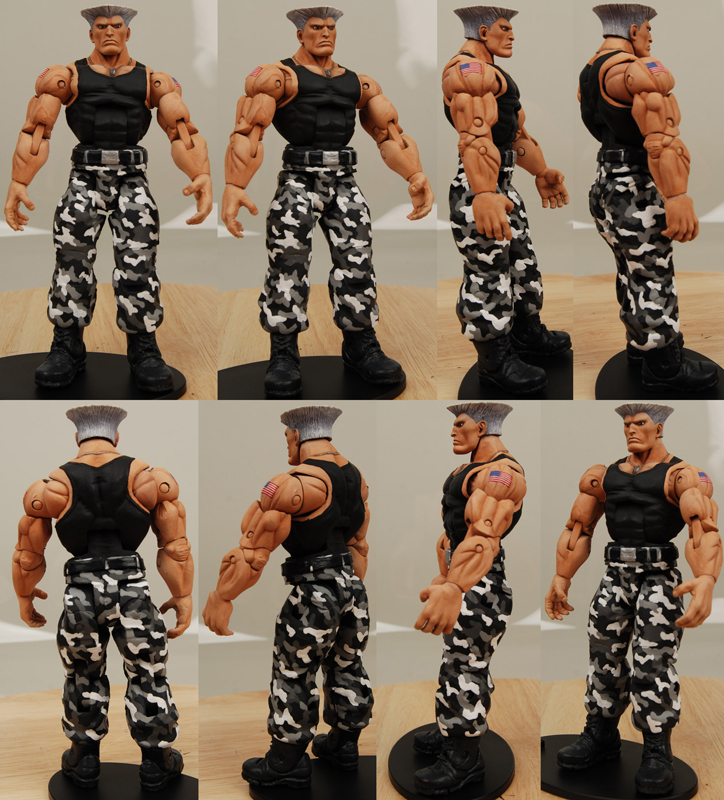 The Trooper Eddie from Iron Maiden Hero Clix for NECA toys. 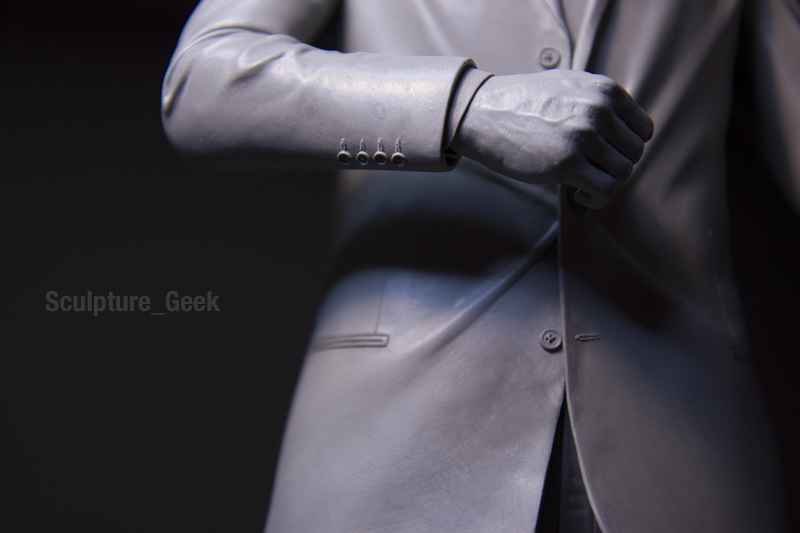 Men in Black arm and hand detail. 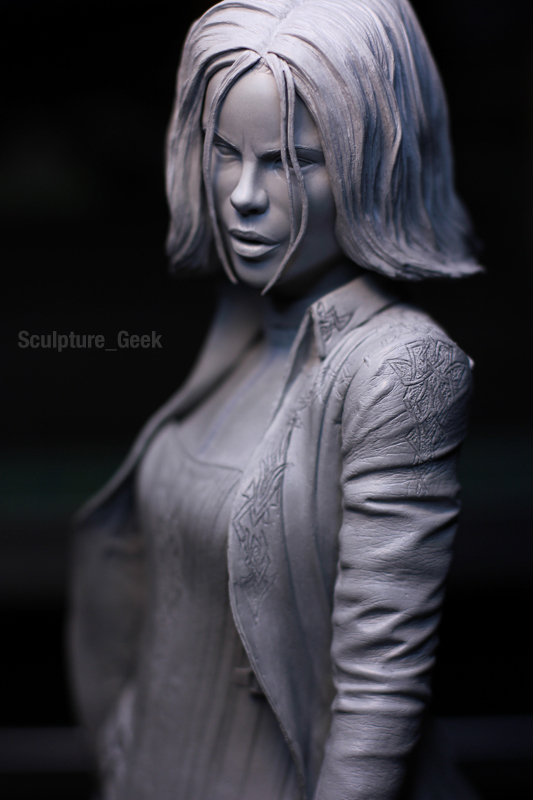 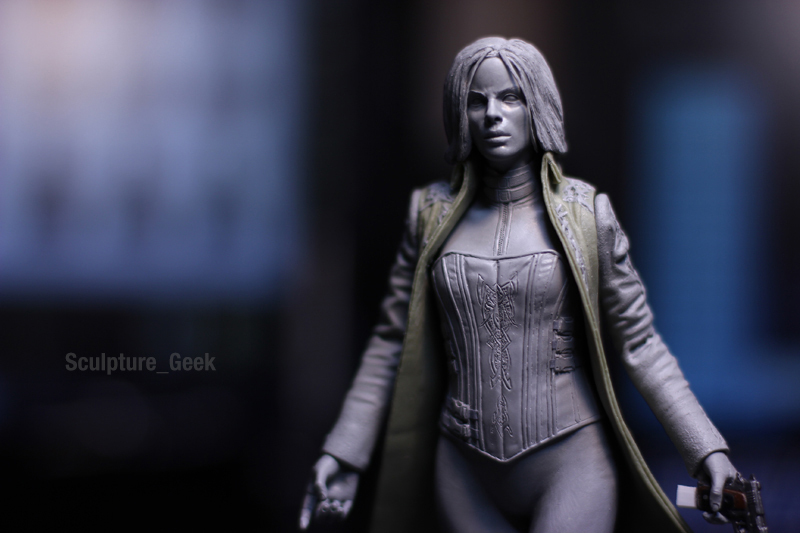 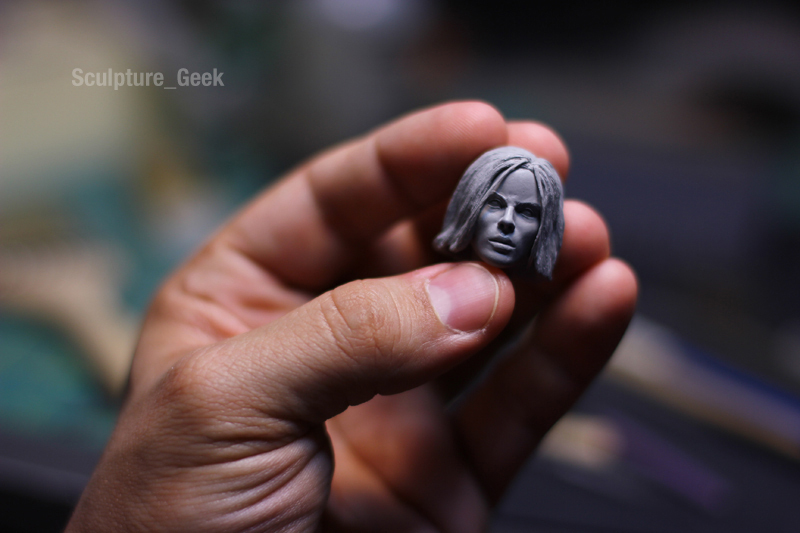 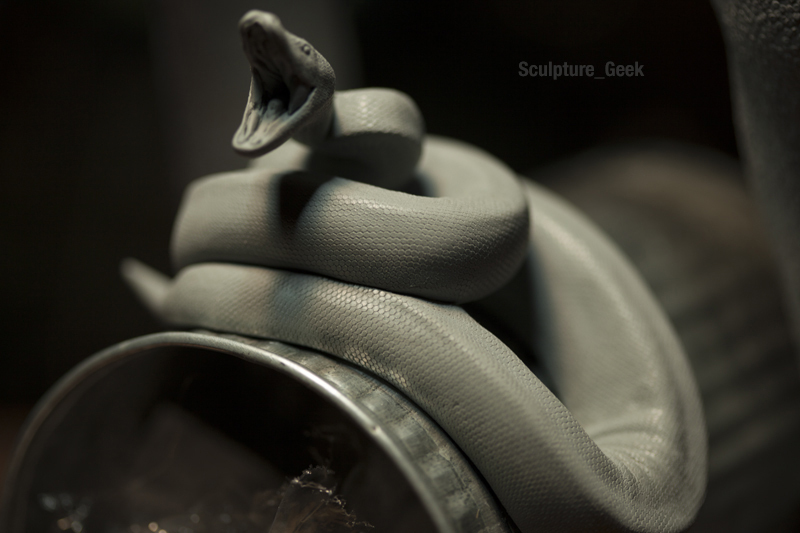 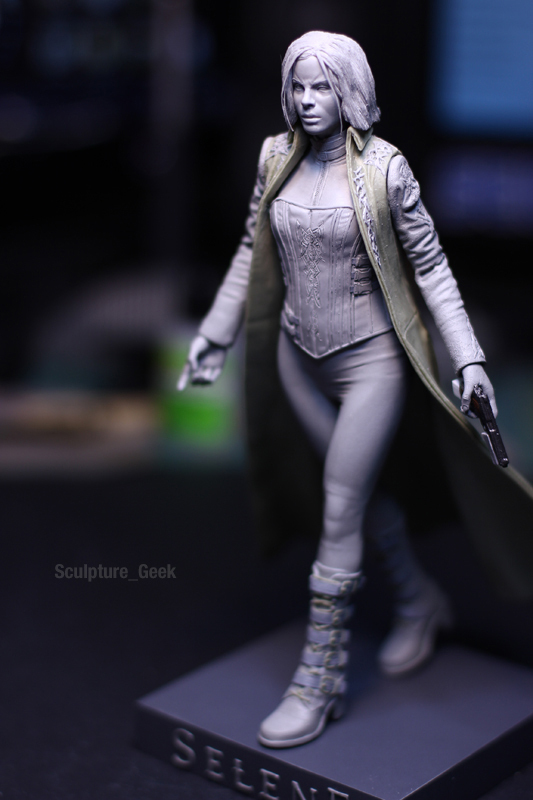 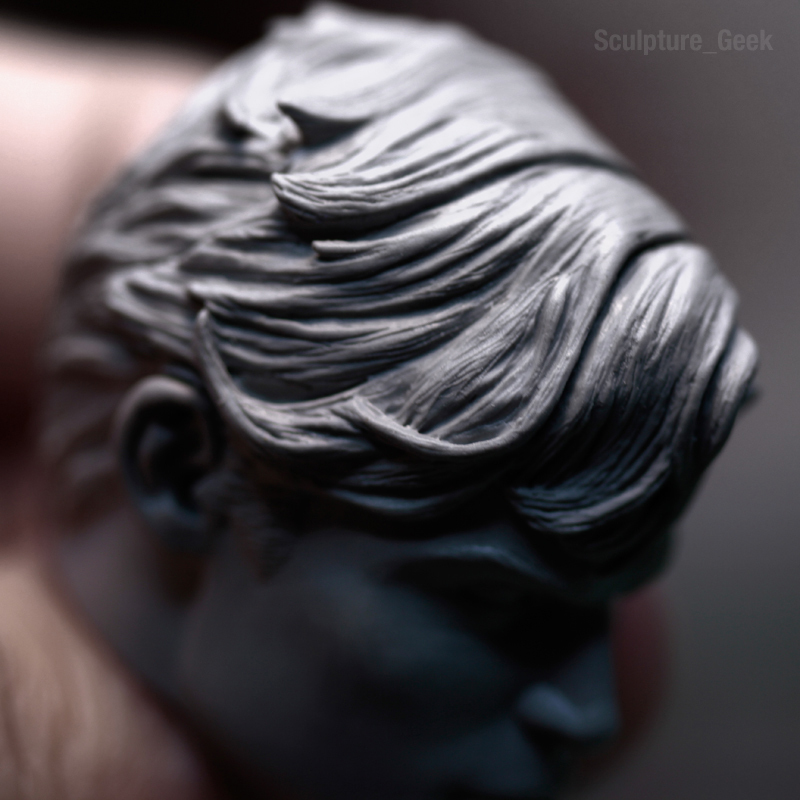 Portrait of Kate Beckinsale as Selene from Underword 1/7 scale. 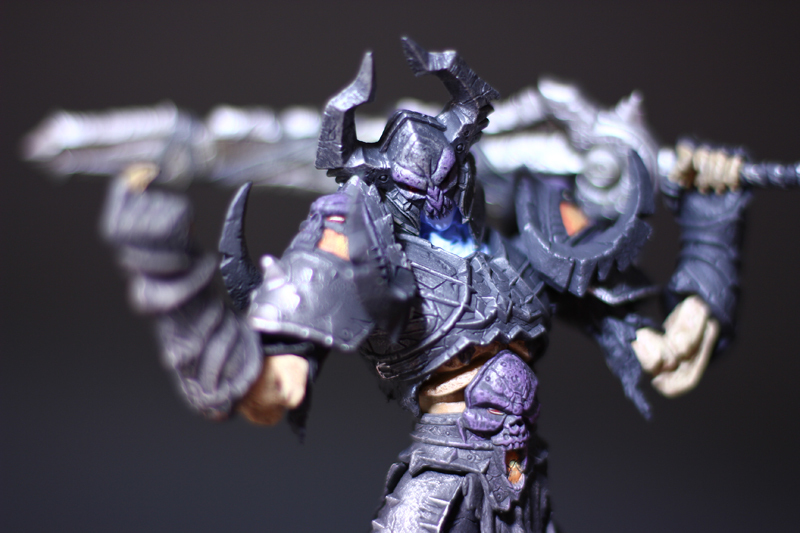 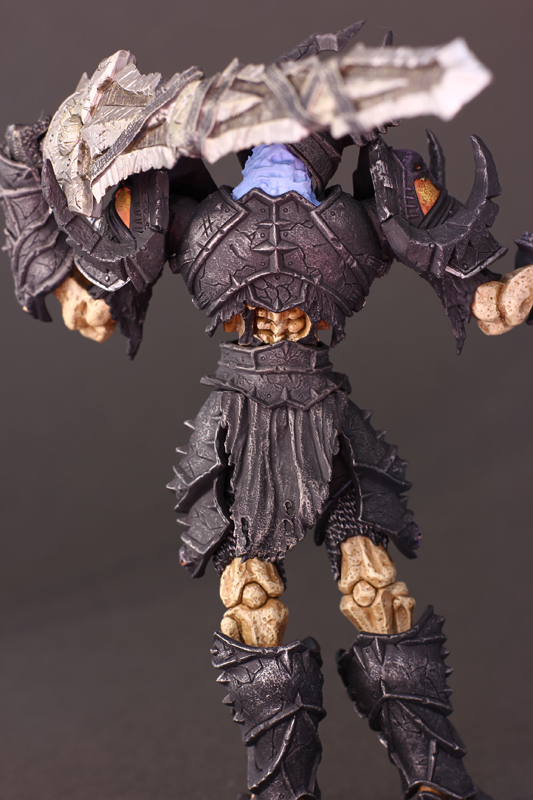 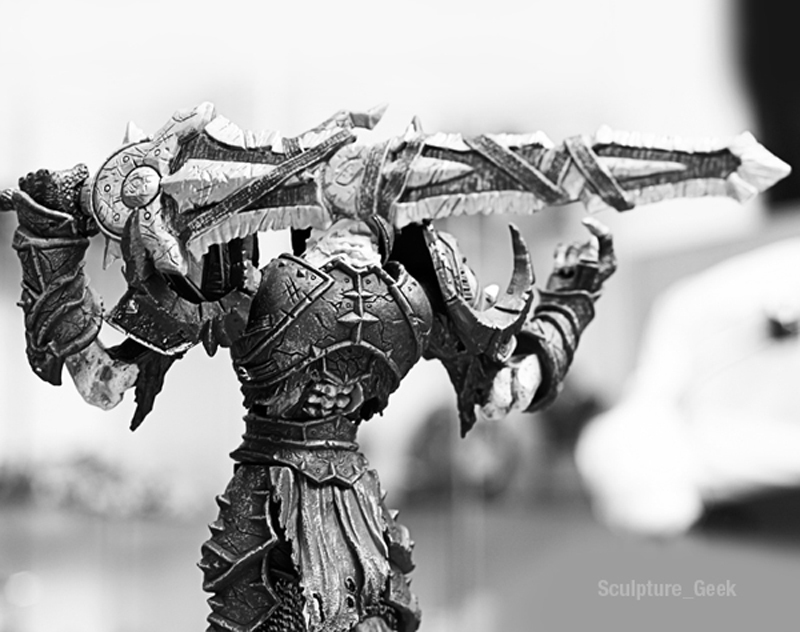 Black Knight action figure from World of Warcraft shoulder armor. 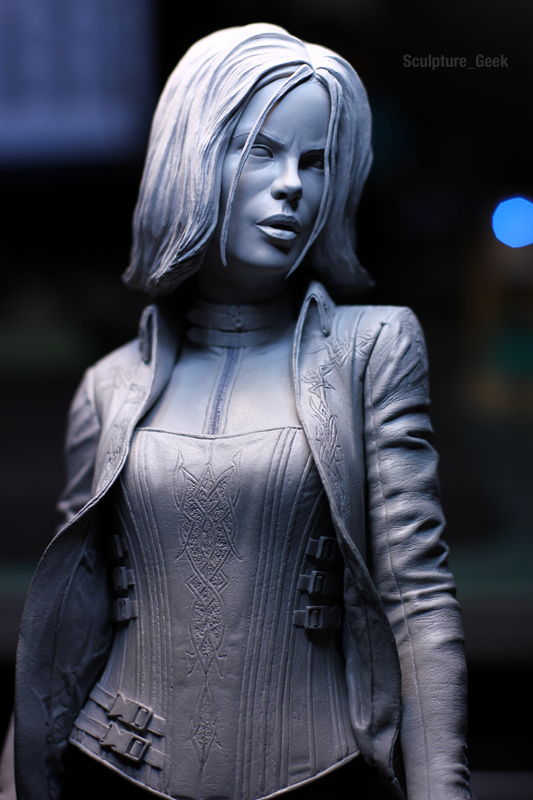 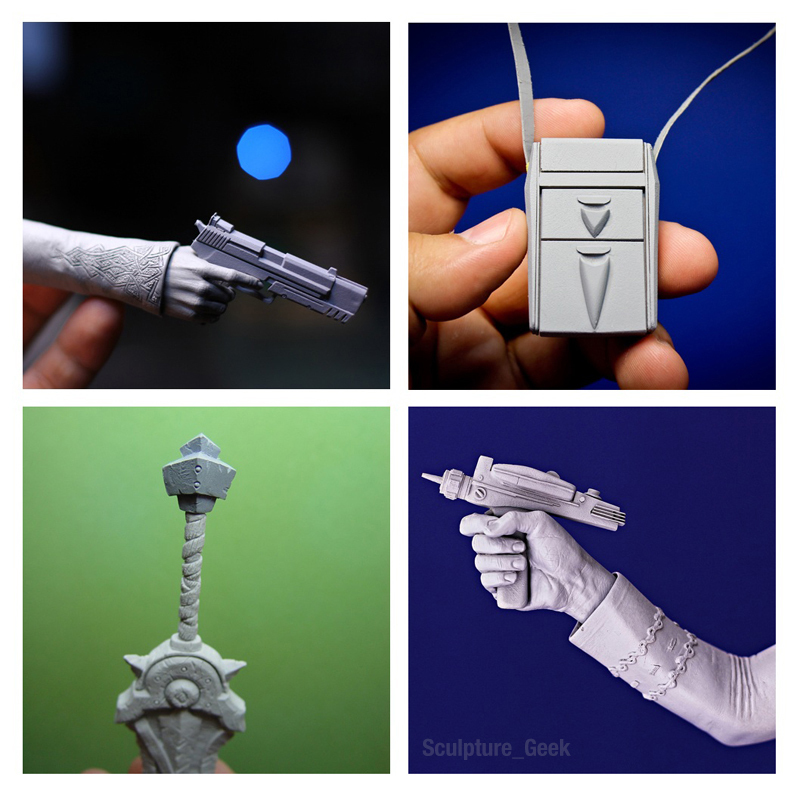 Selene from Underworld legs 1/4 scale . 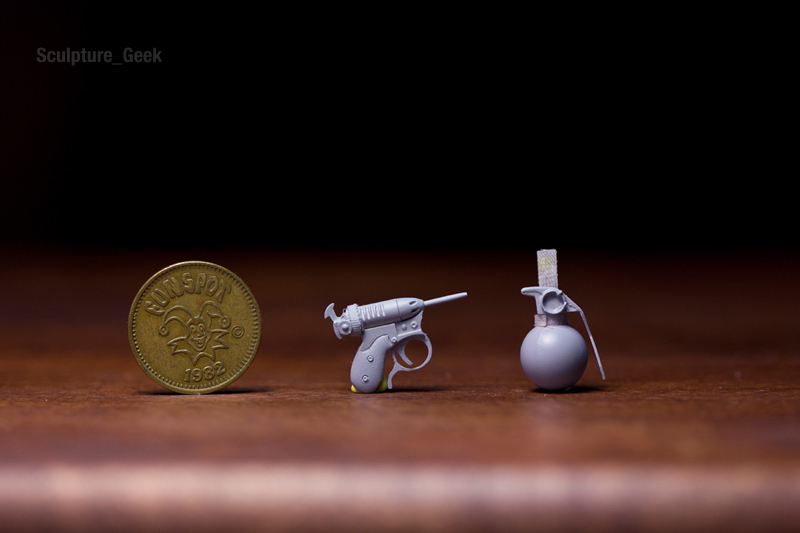 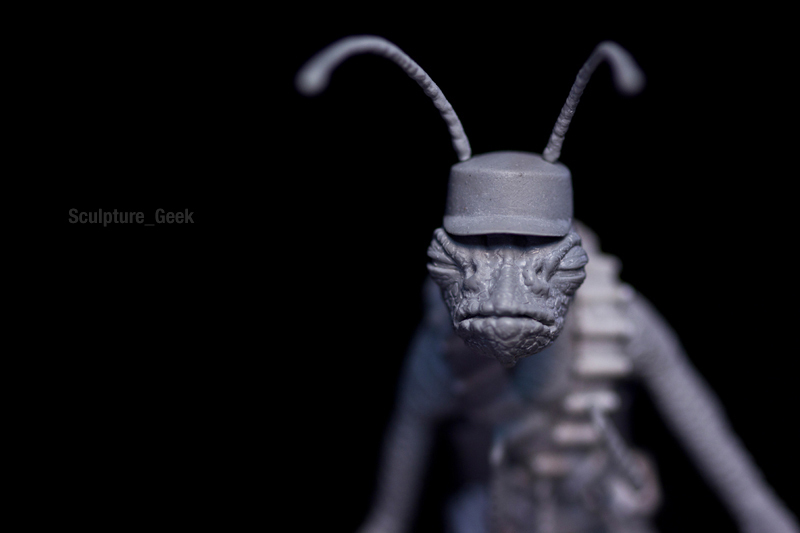 Noisy Cricket and grenade Men in Black accessories. 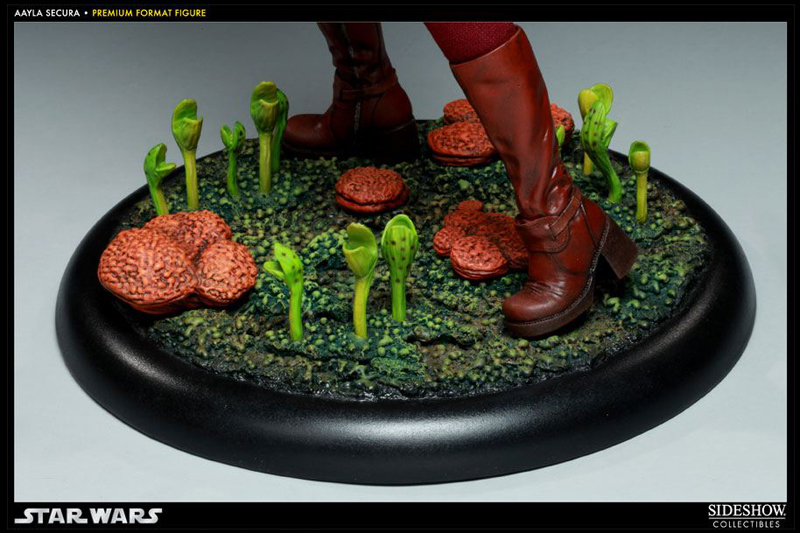 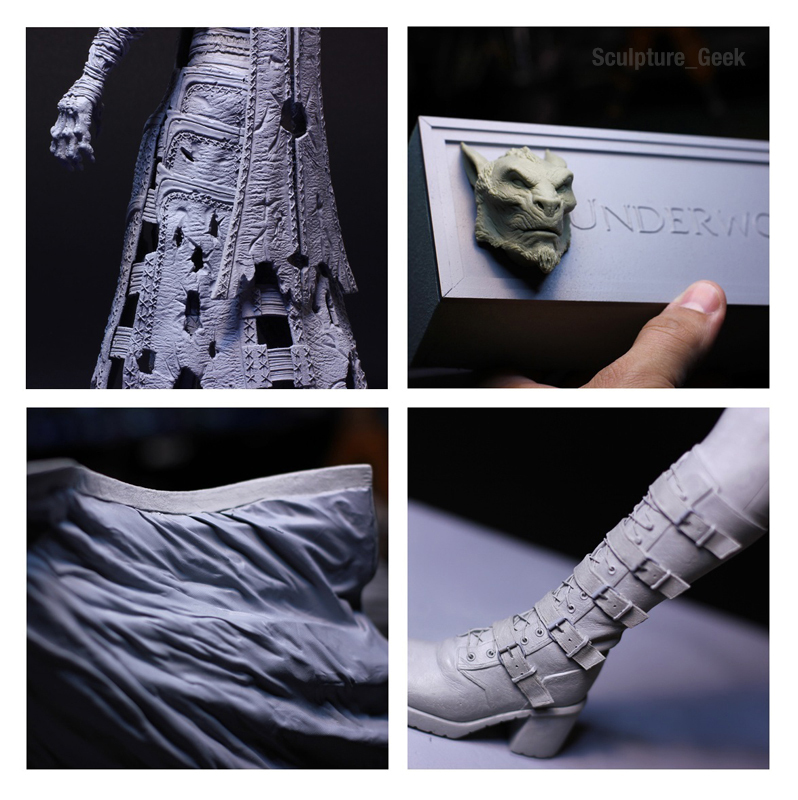 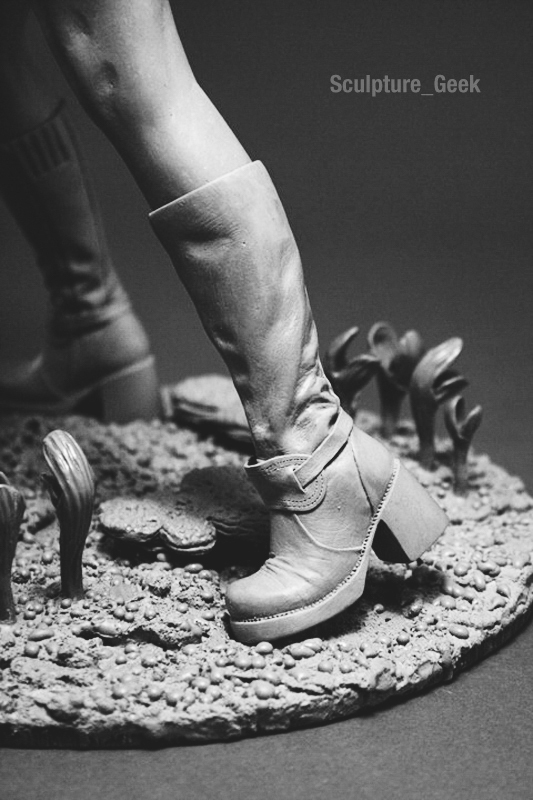 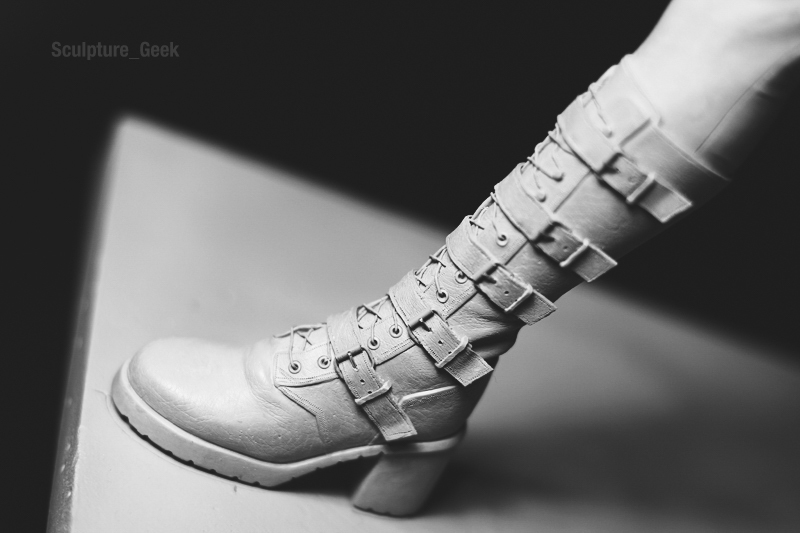 Selene from Underworld boots 1/4 scale. 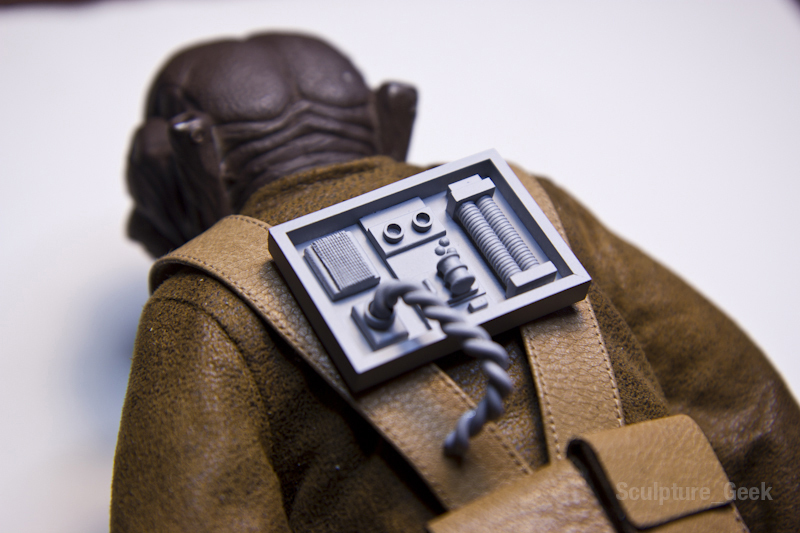 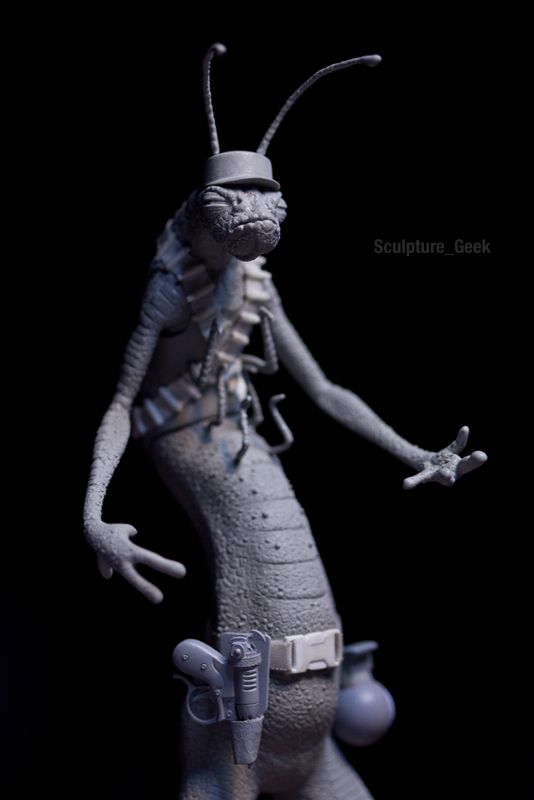 Zuckuss from Star Wars pack for Sideshow collectibles 1/6 scale. 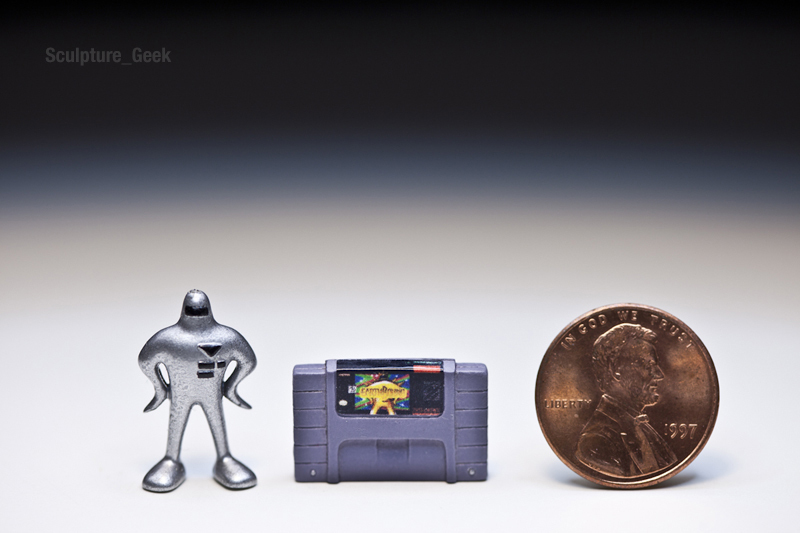 Starman from Earthbound Mother on Snes mini figure. 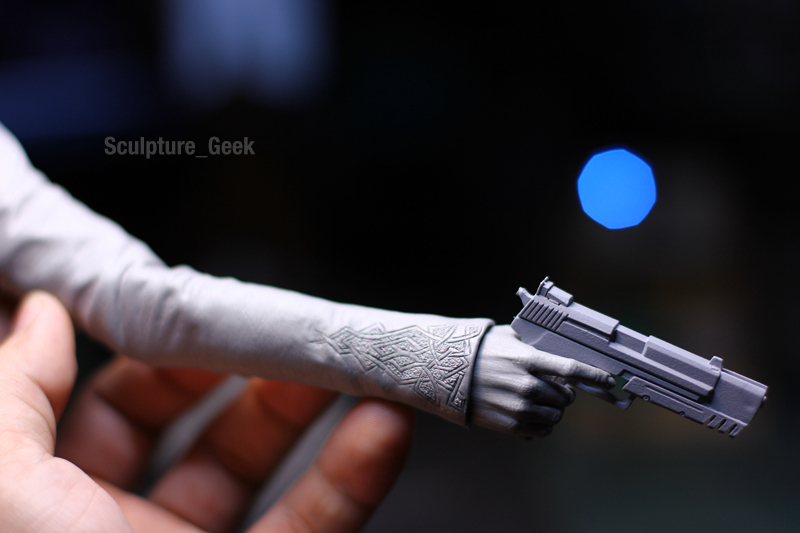 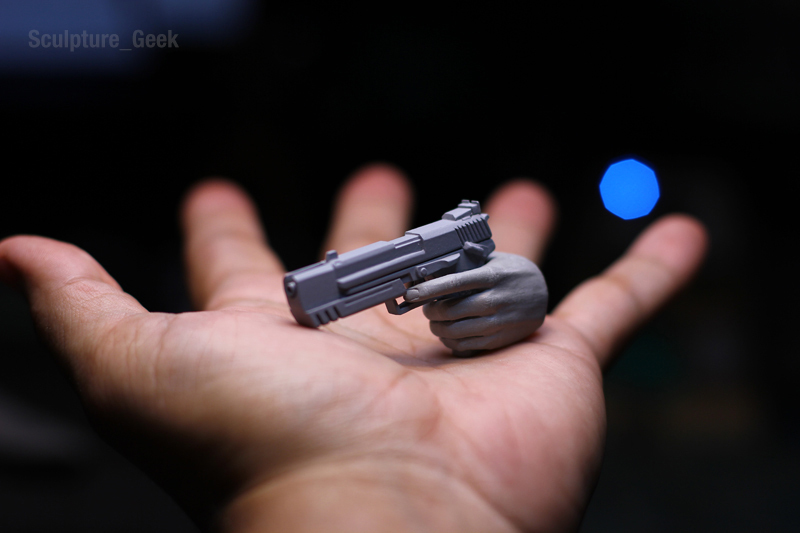 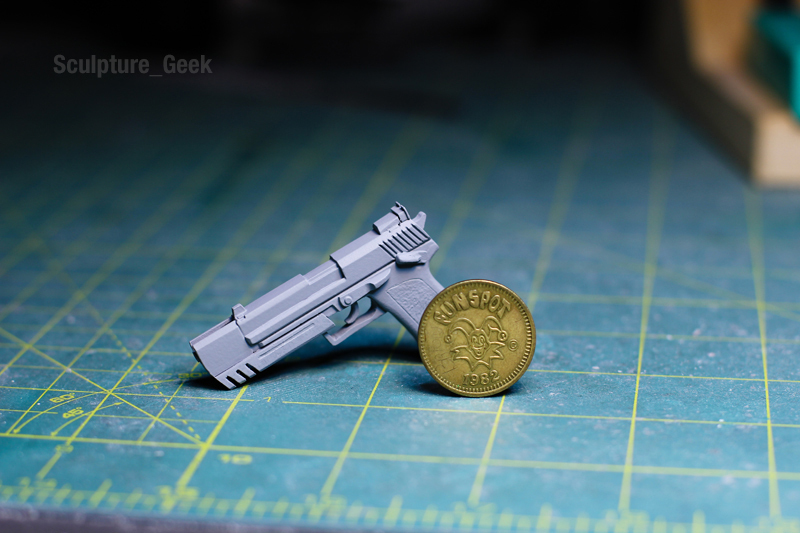 Selene from Underworld HK USP Match gun accessory. 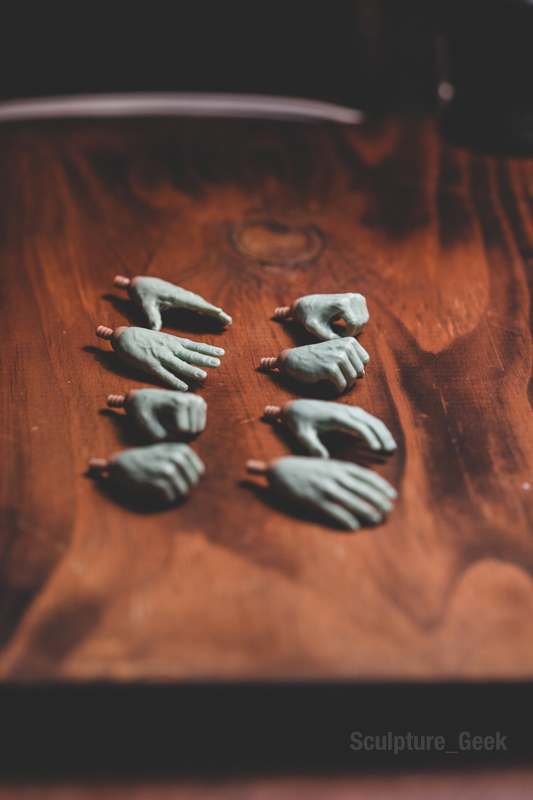 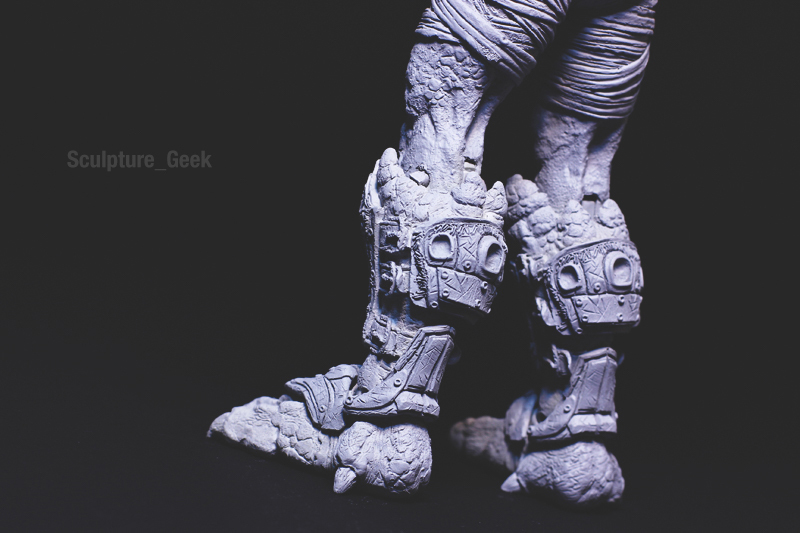 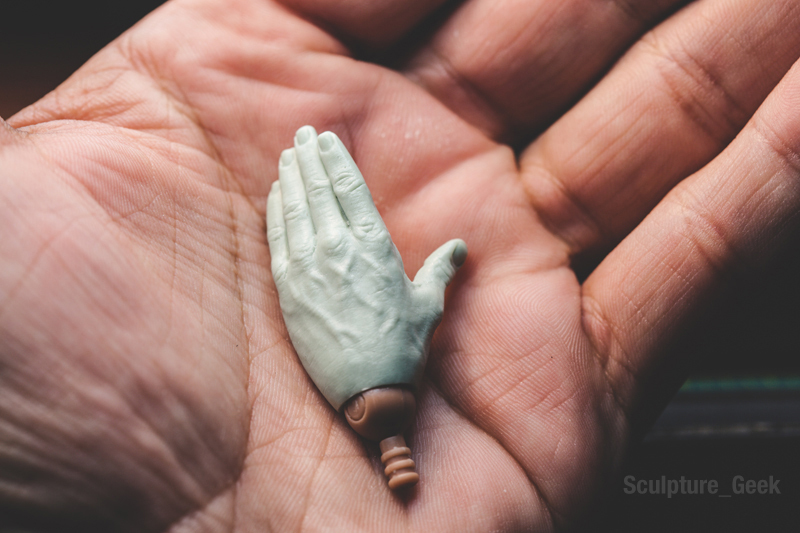 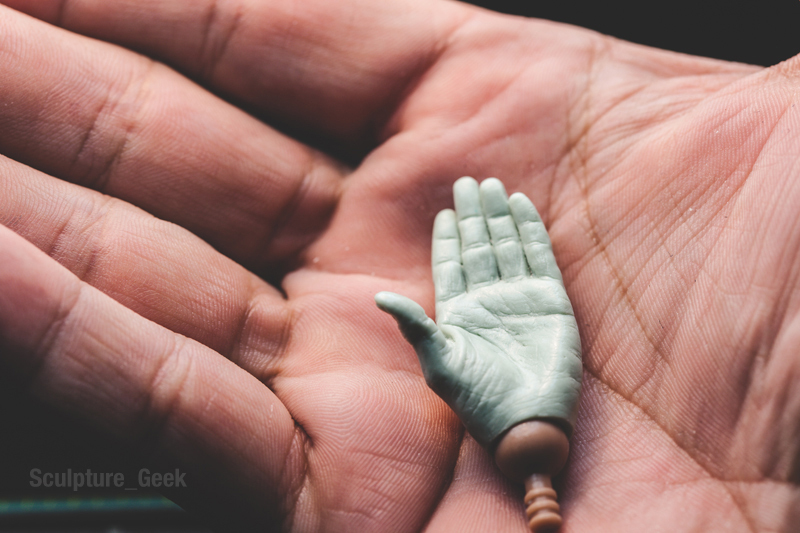 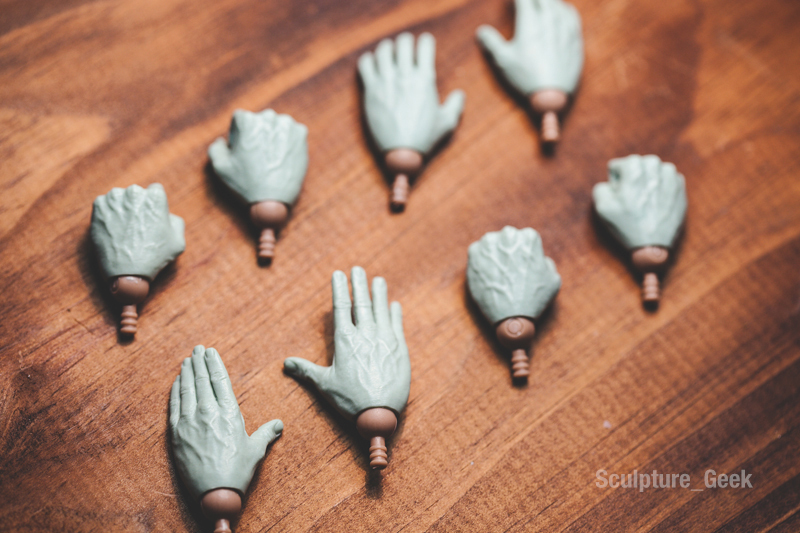 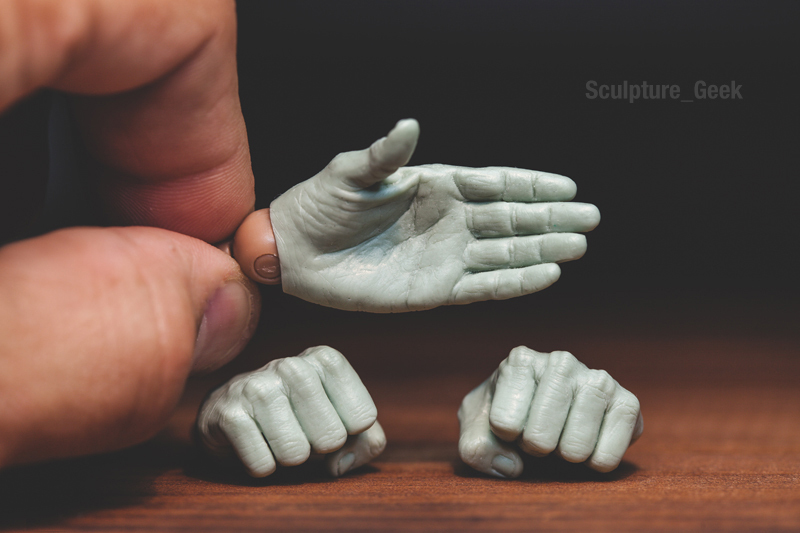 Thor from Marvel Comics 1/6 scale hands for Sideshow Collectibles. 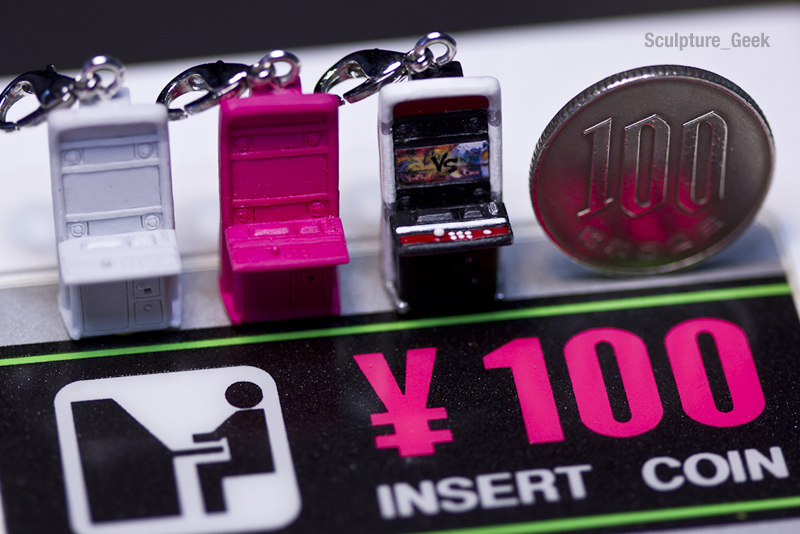 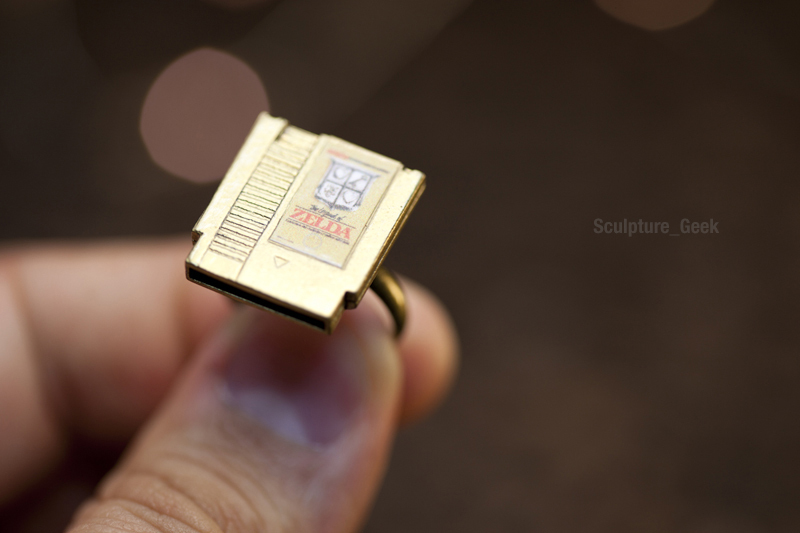 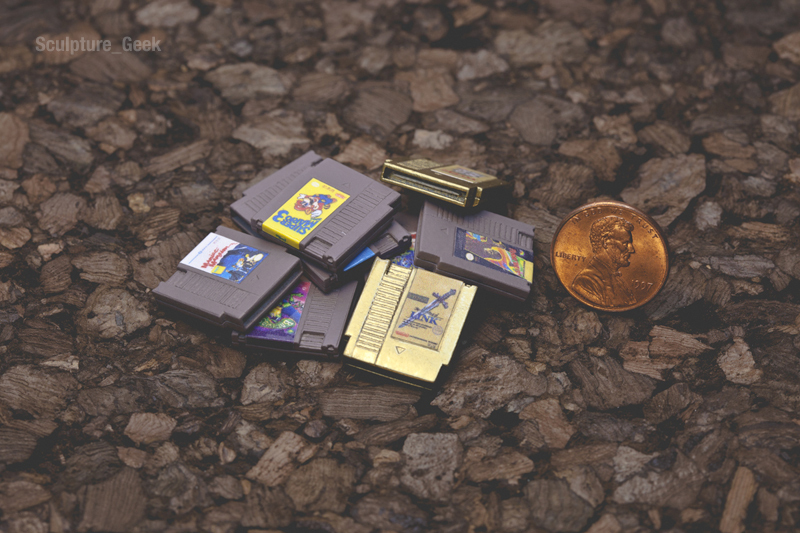 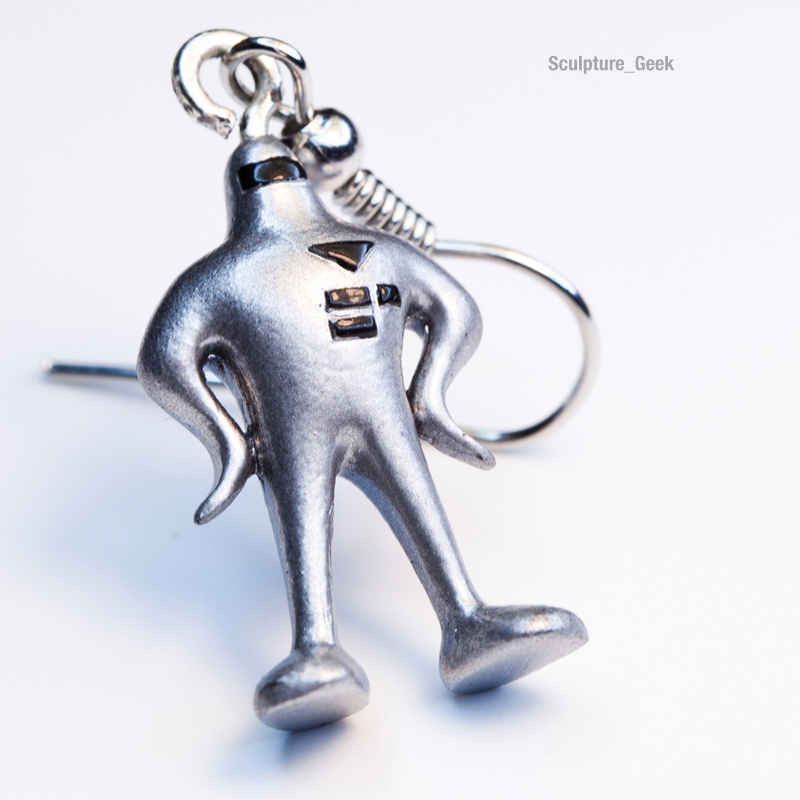 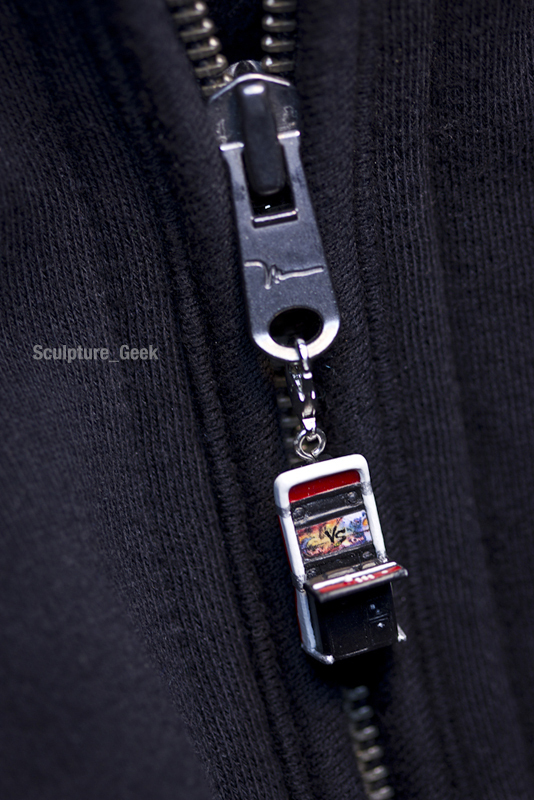 Starman from Earthbound Mother on Snes earring. 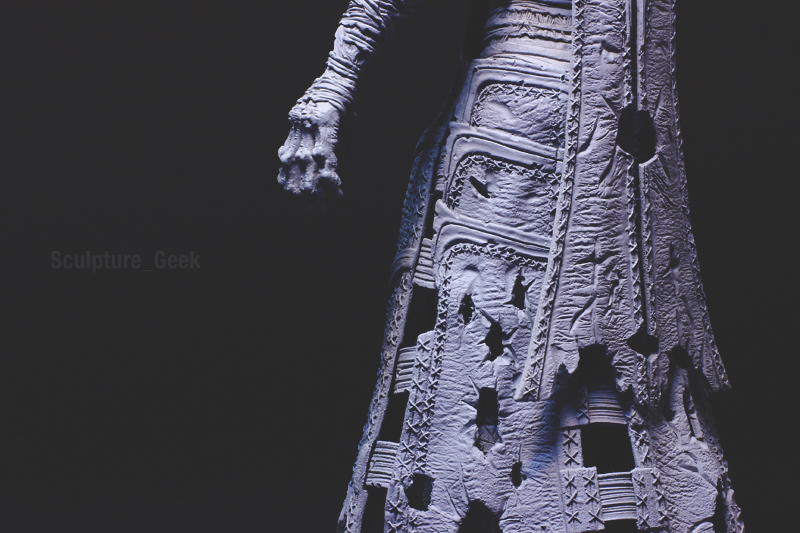 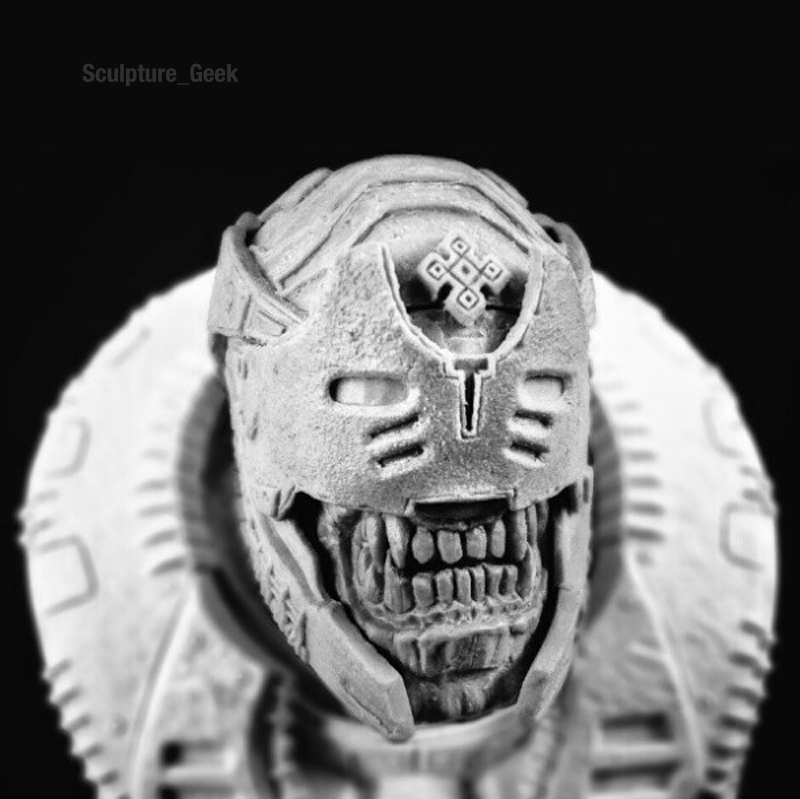 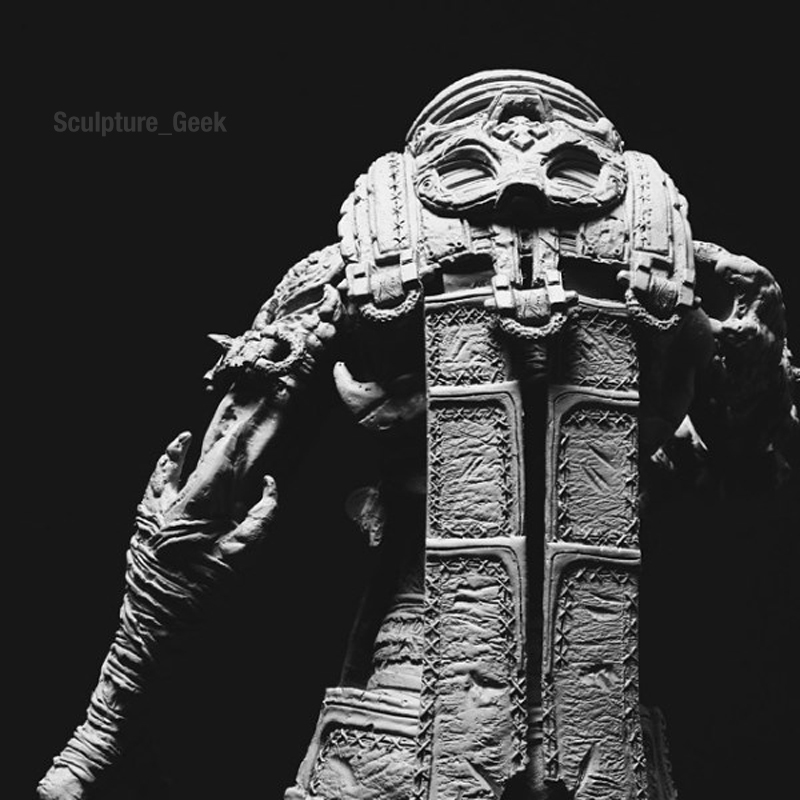 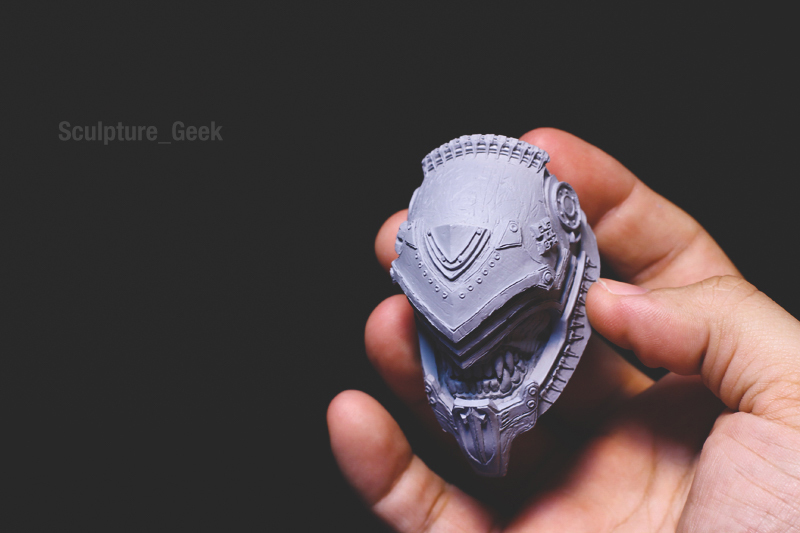 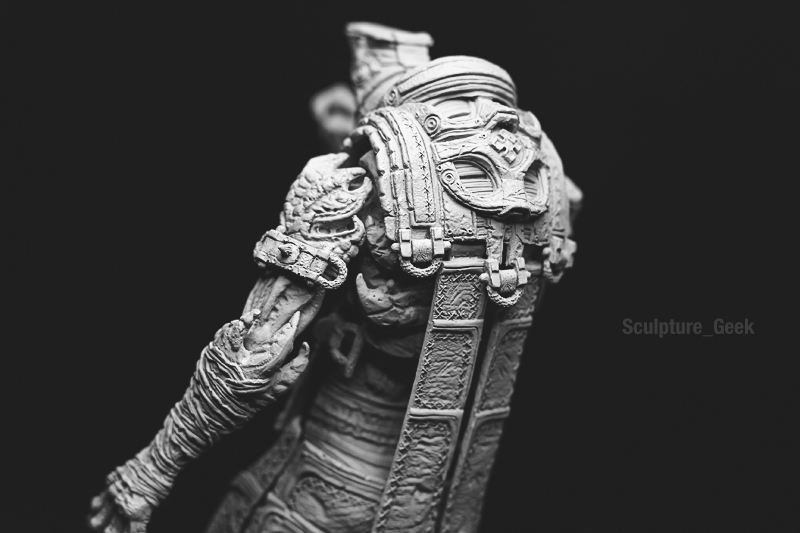 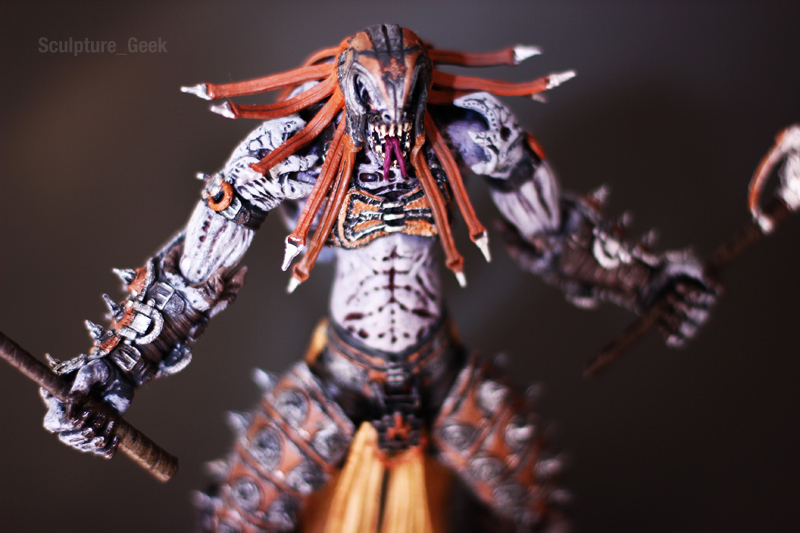 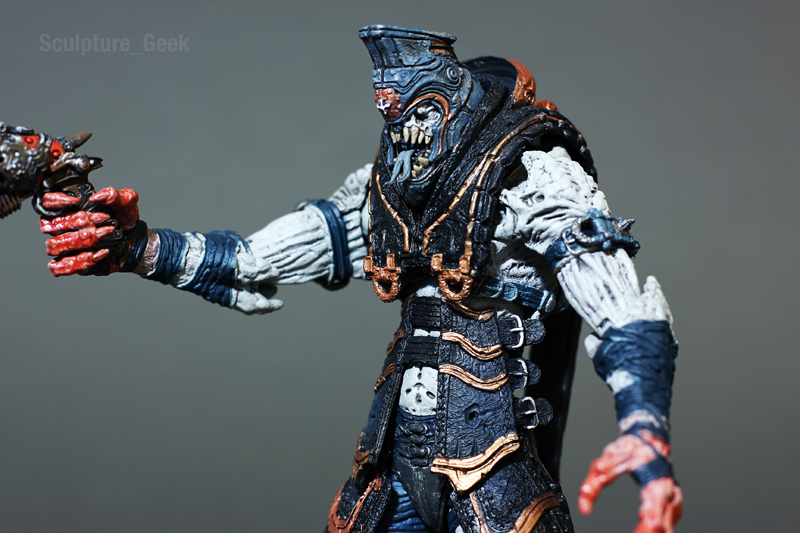 Kantus Priest from Gear of War 3 Action figure for NECA toys. 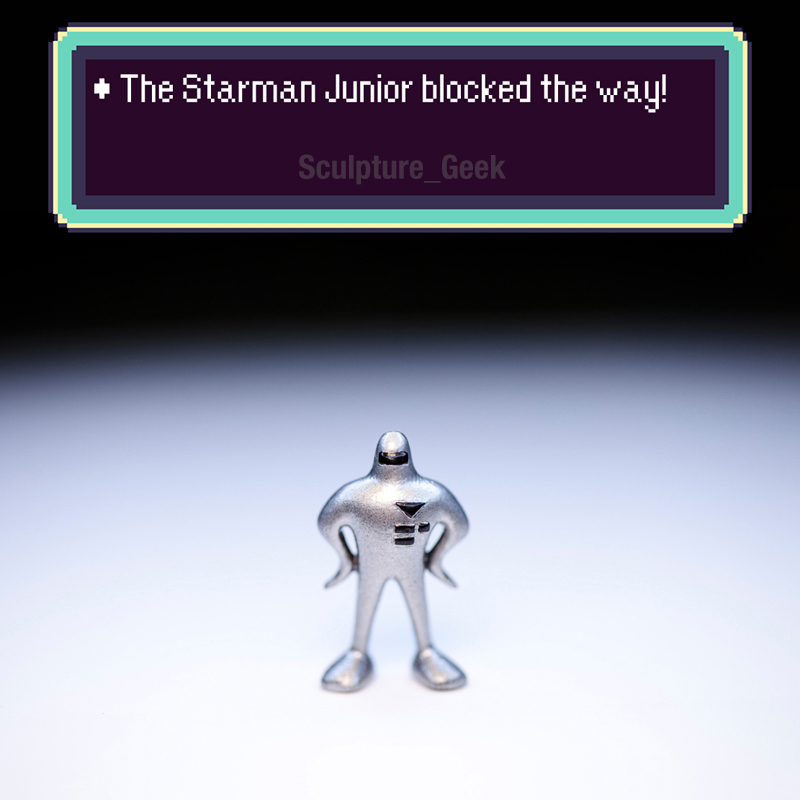 Starman from Earthbound Mother Snes mini figures. 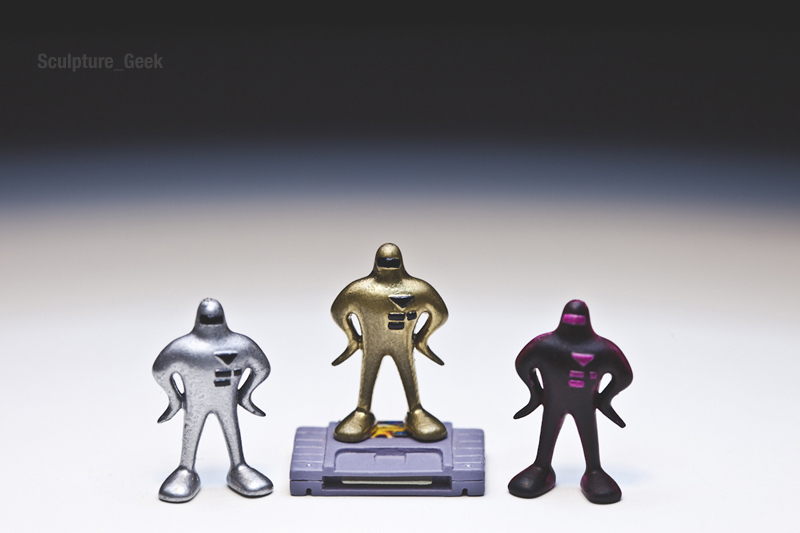 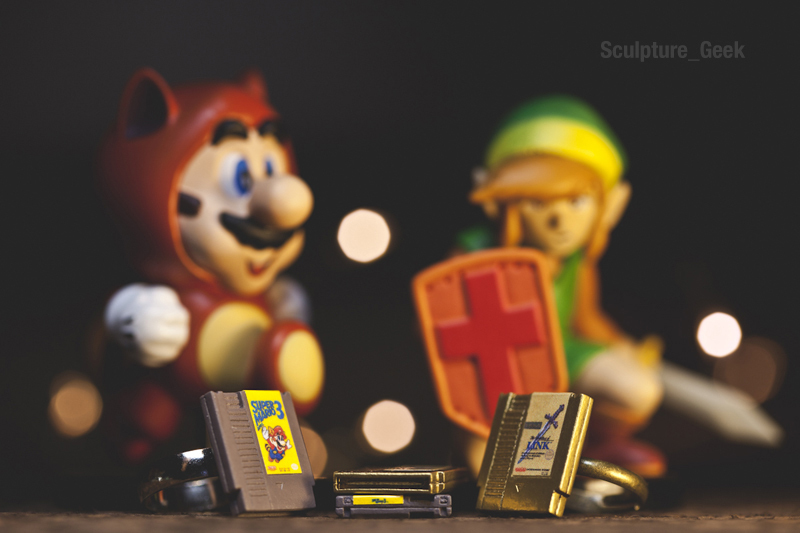 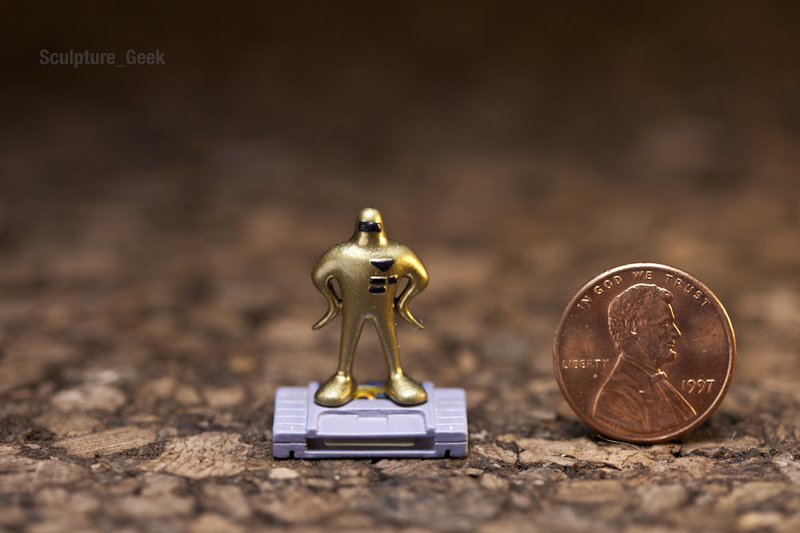 Starman from Earthbound Mother and Snes cartridge mini figures. 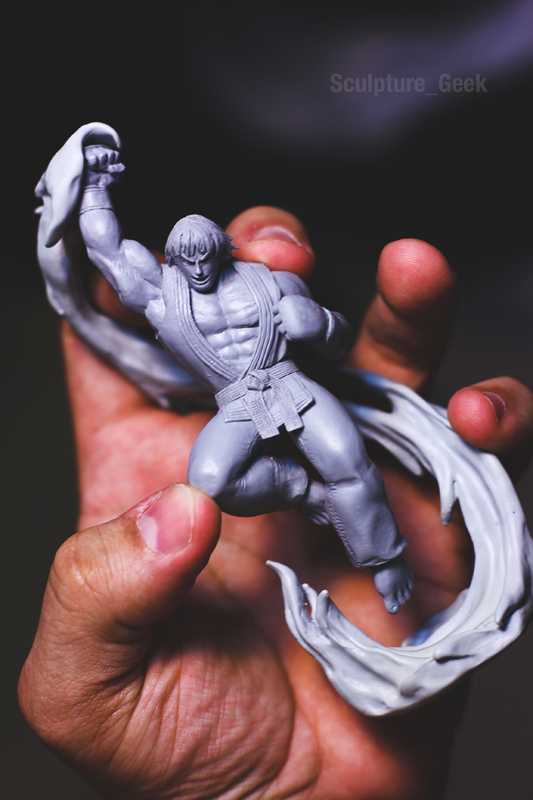 Ken Masters from Street Fighter Mini figure for NECA Toys *Unreleased. 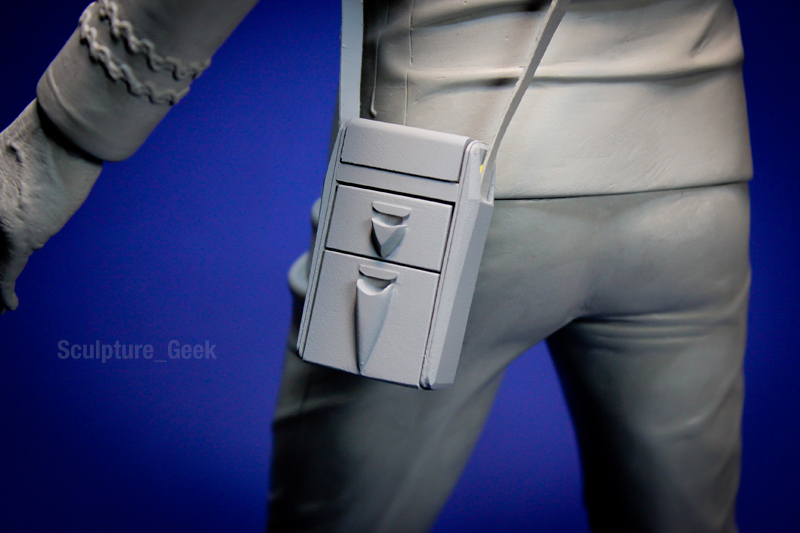 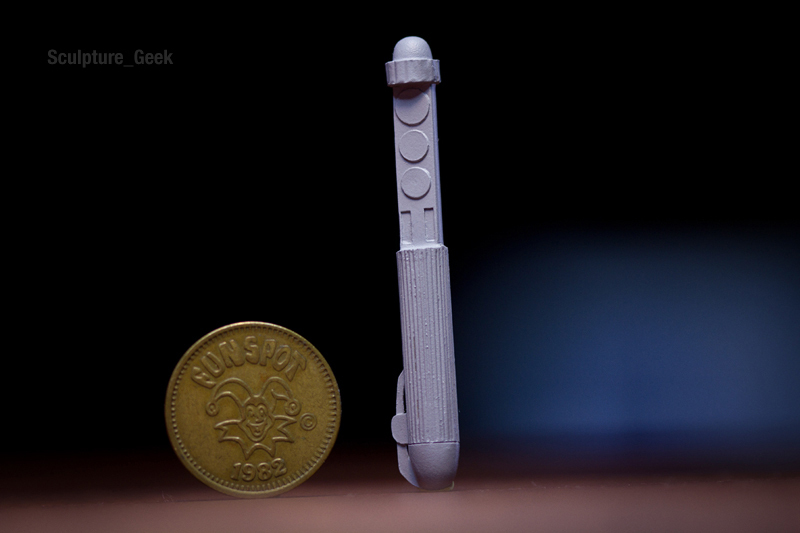 Mr. Spock's tricorder accessory from Star Trek. 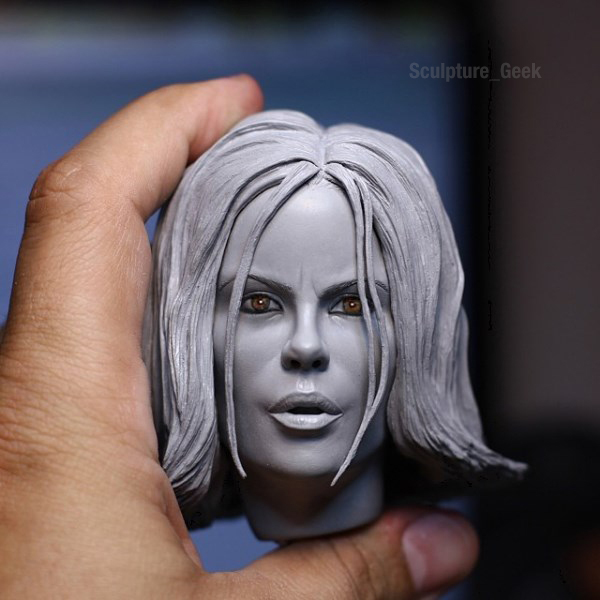 Selene from Underworld base 1/4 scale. 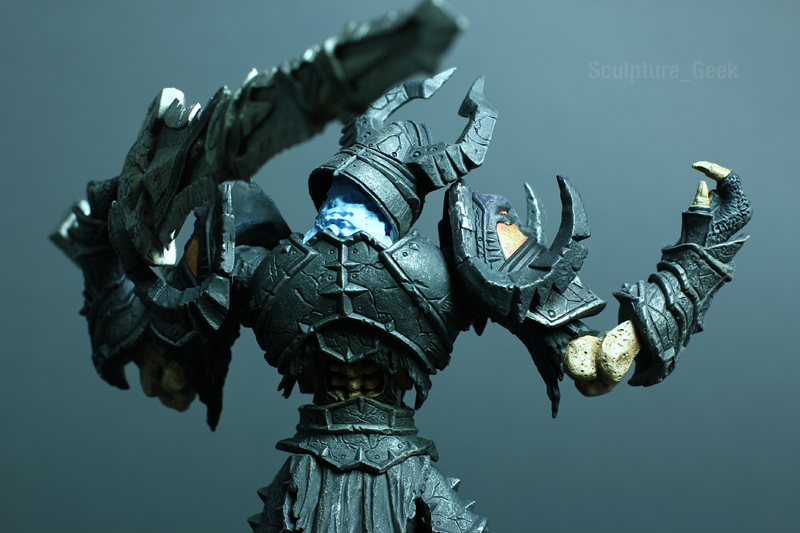 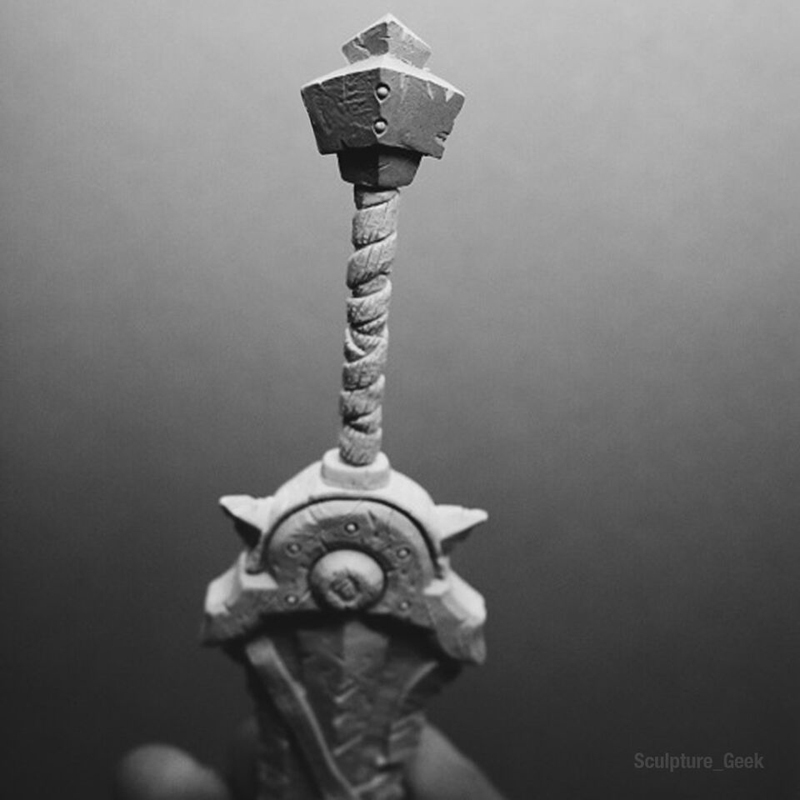 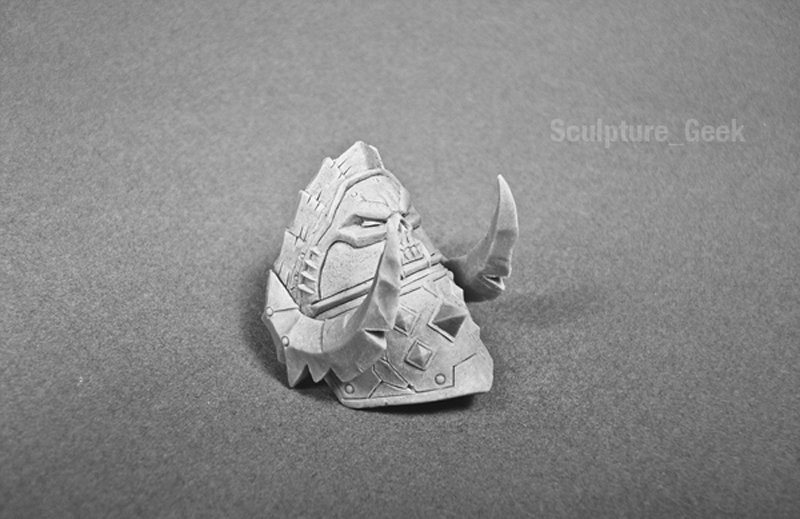 Black Knight from World of Warcraft sword accessory. 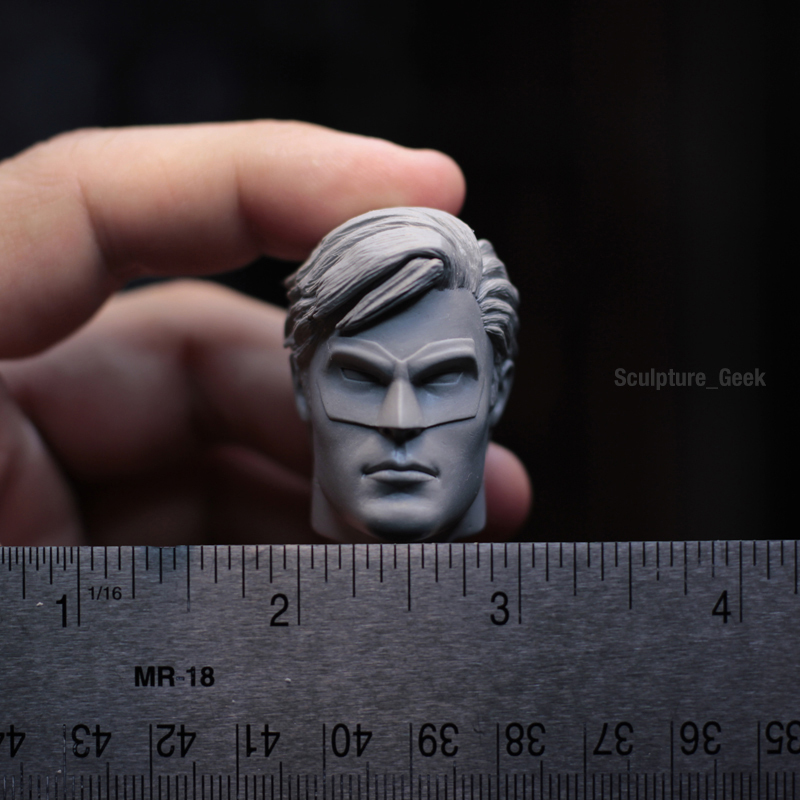 Green Lantern from DC Comics New 52 portrait for Play Imaginative toys. 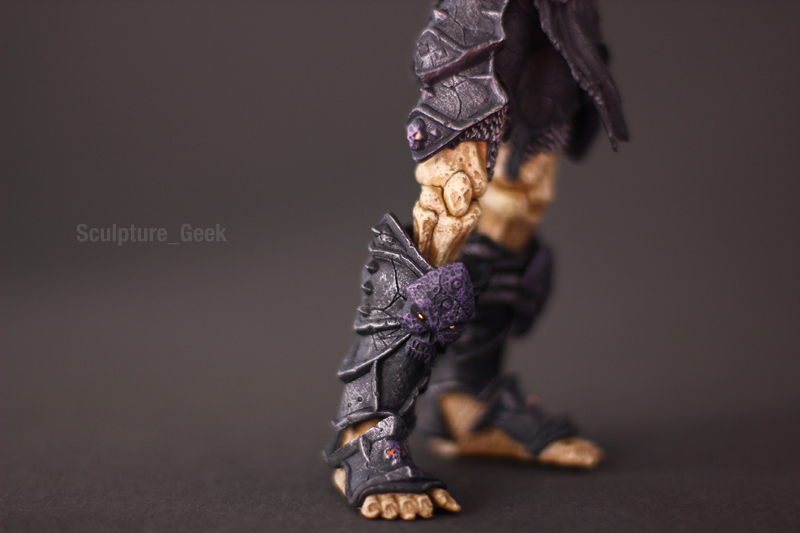 Savage Theron from Gear of War 3 Action figure for NECA toys. 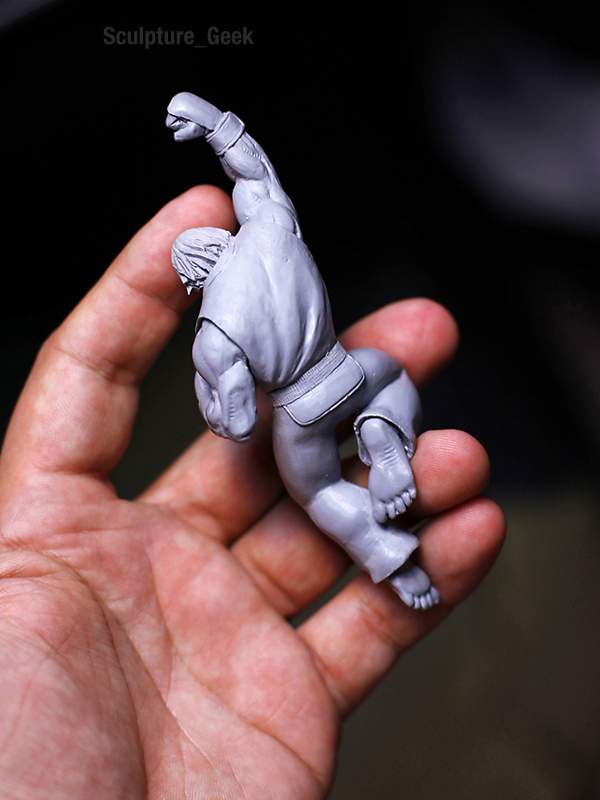 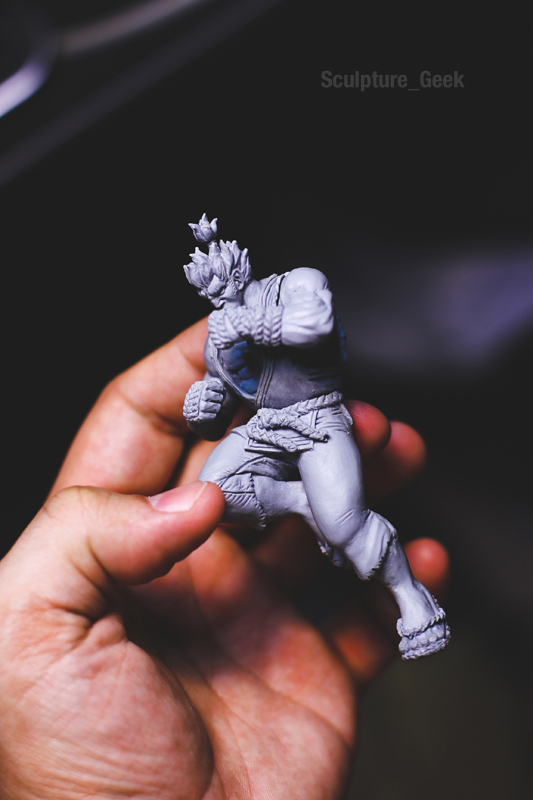 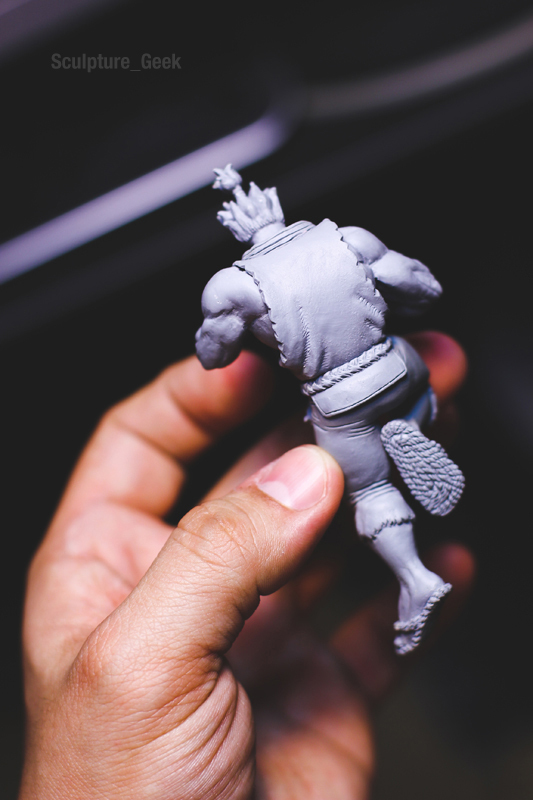 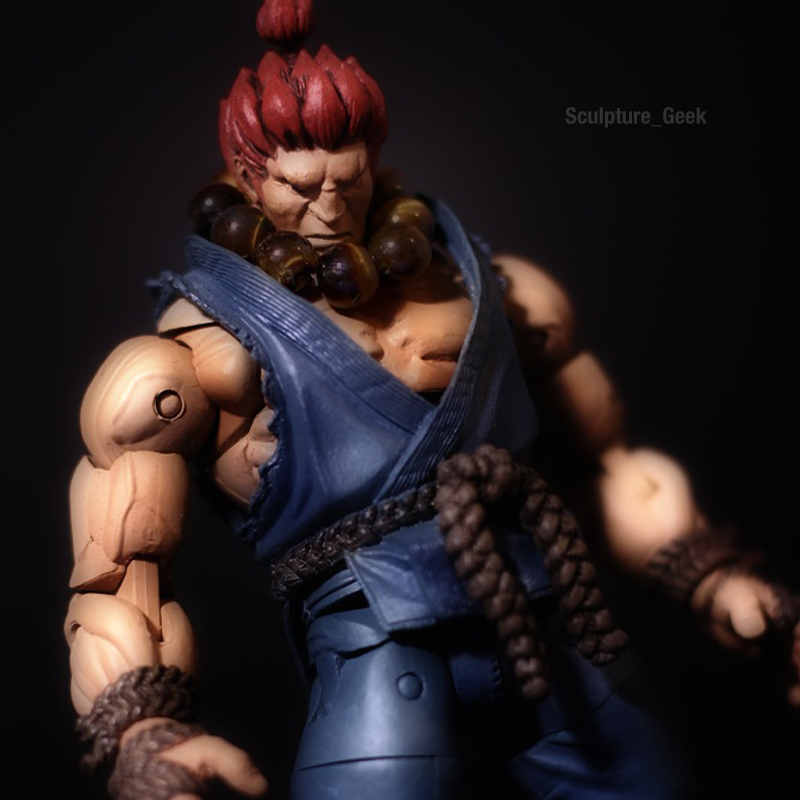 Akuma Gouki from Street Fighter Mini figure for NECA Toys *Unreleased. 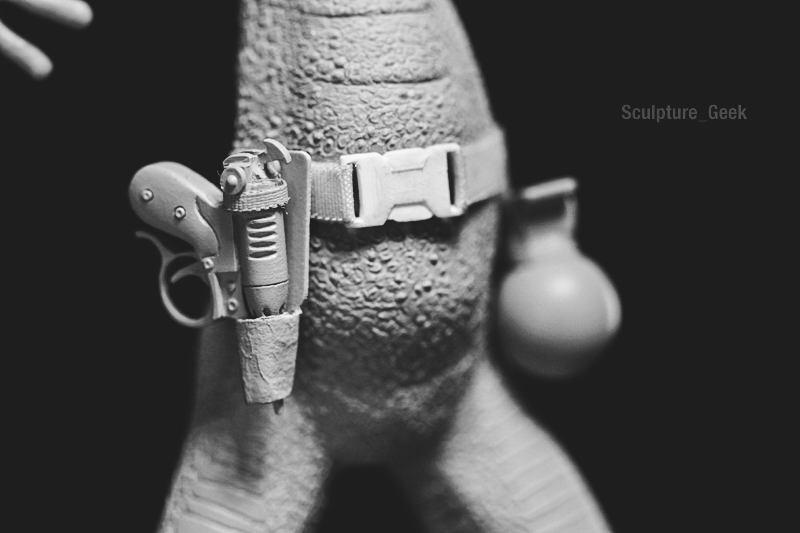 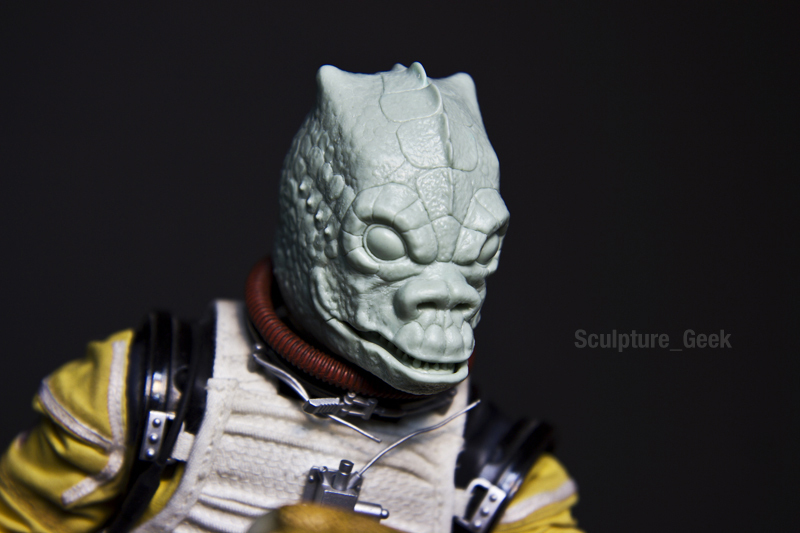 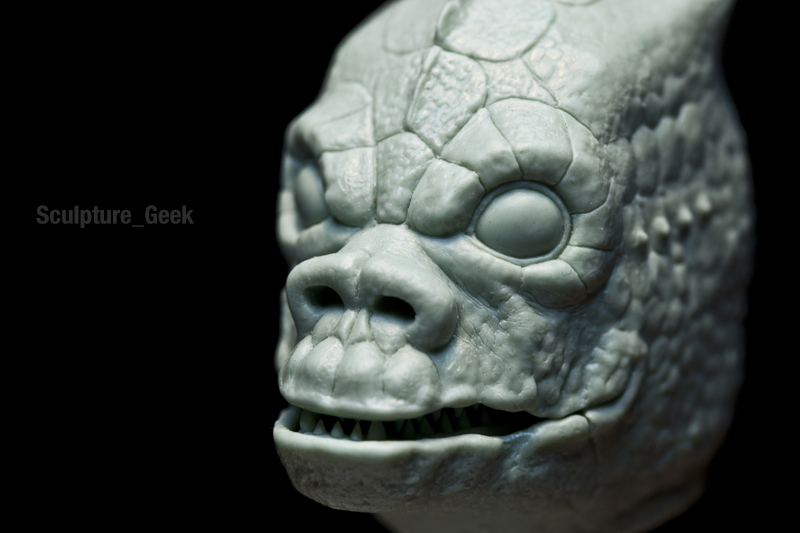 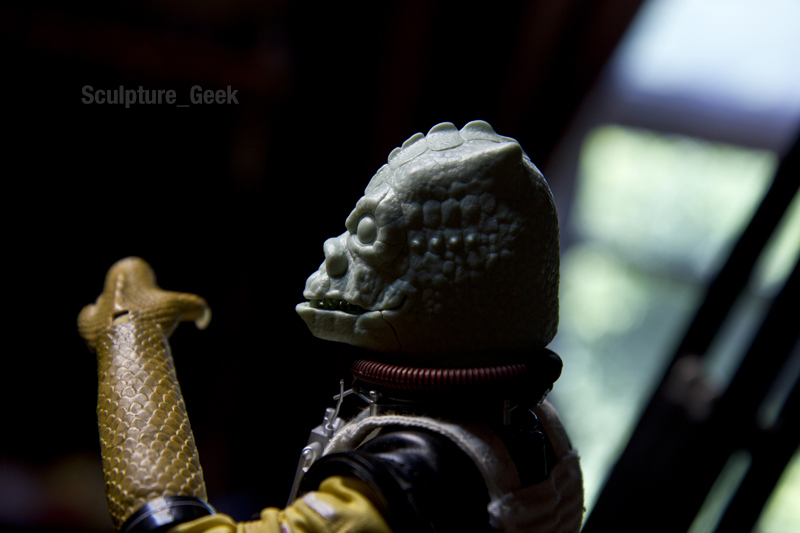 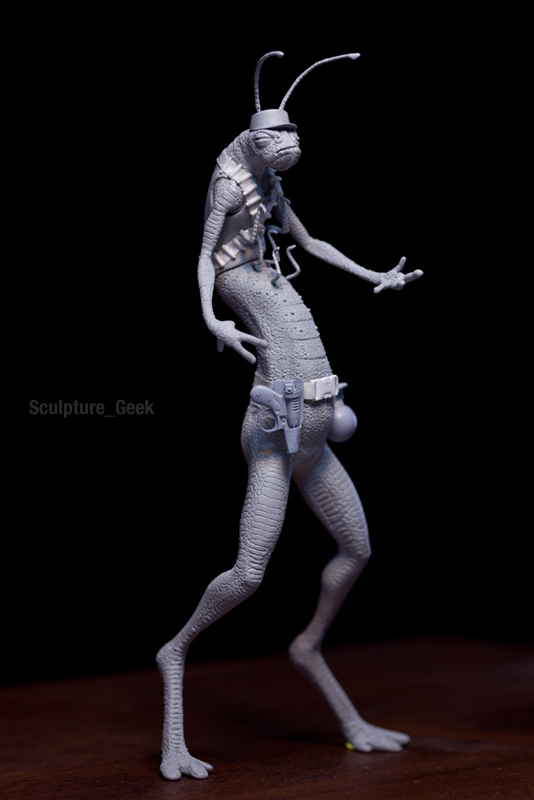 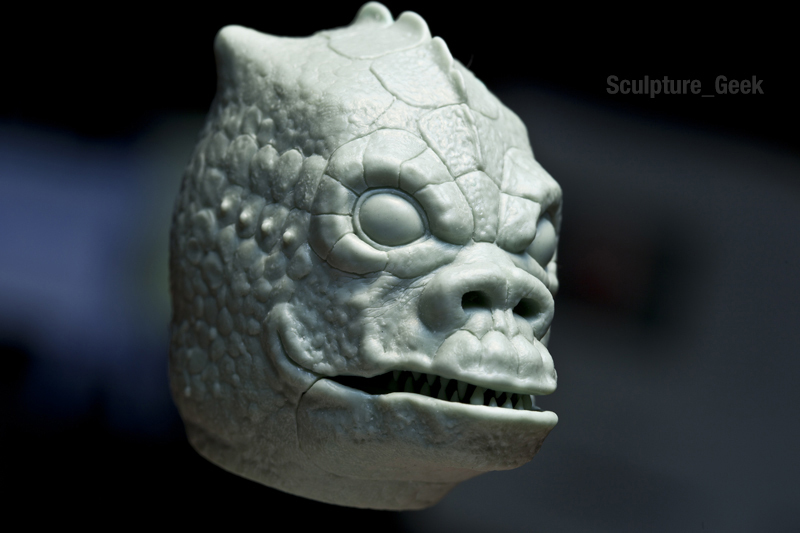 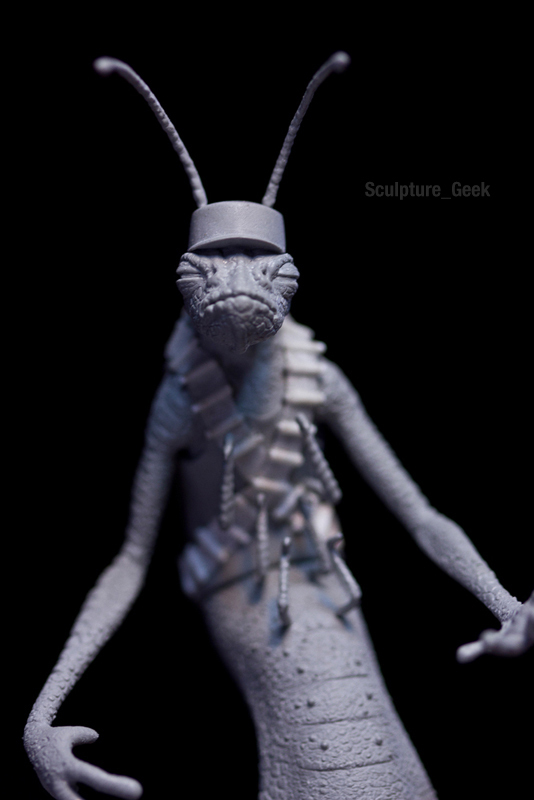 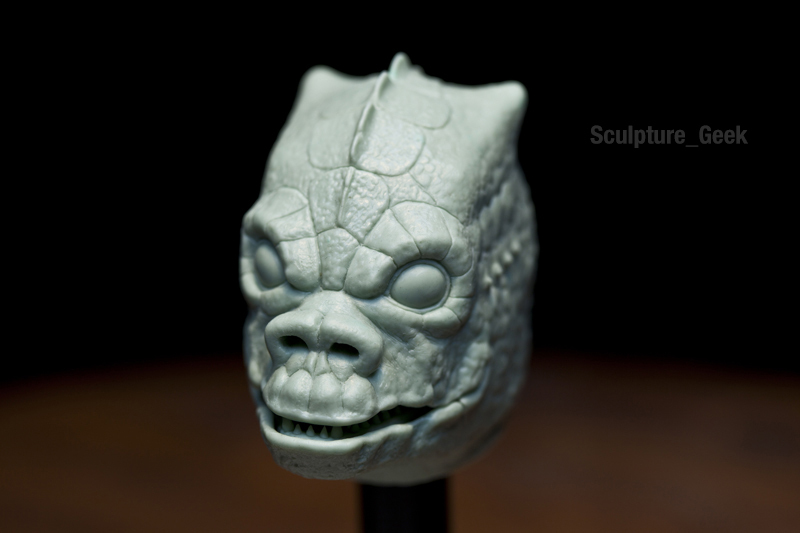 Portrait of Bossk from Star Wars for Sideshow Collectibles 1/6 scale. 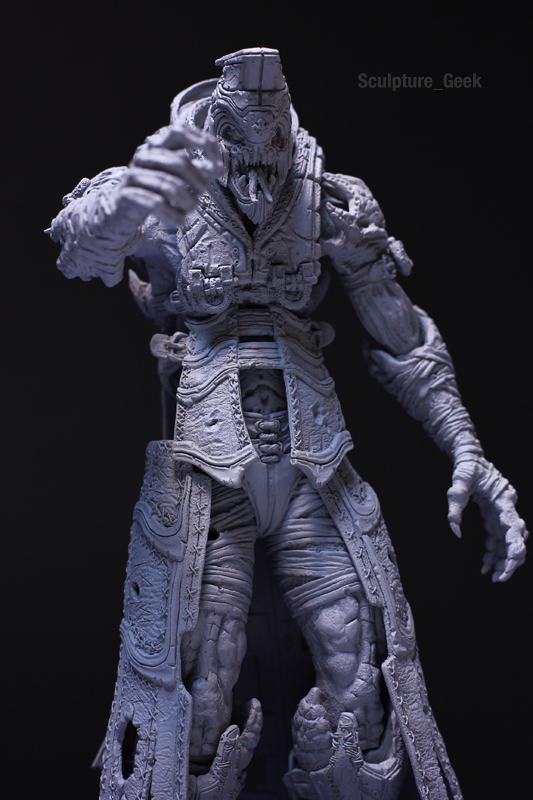 Kantus Priest pack from Gear of War 3 Action figure for NECA toys. 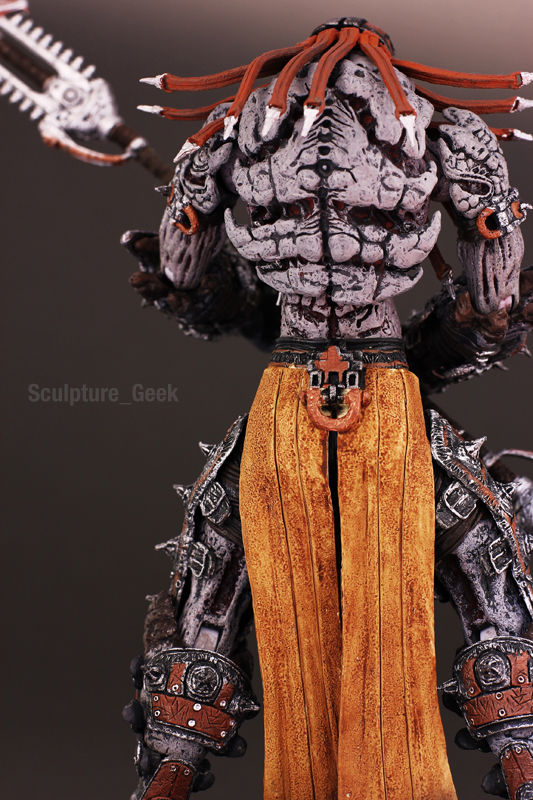 Skorge from Gear of War 3 Action figure for NECA toys. 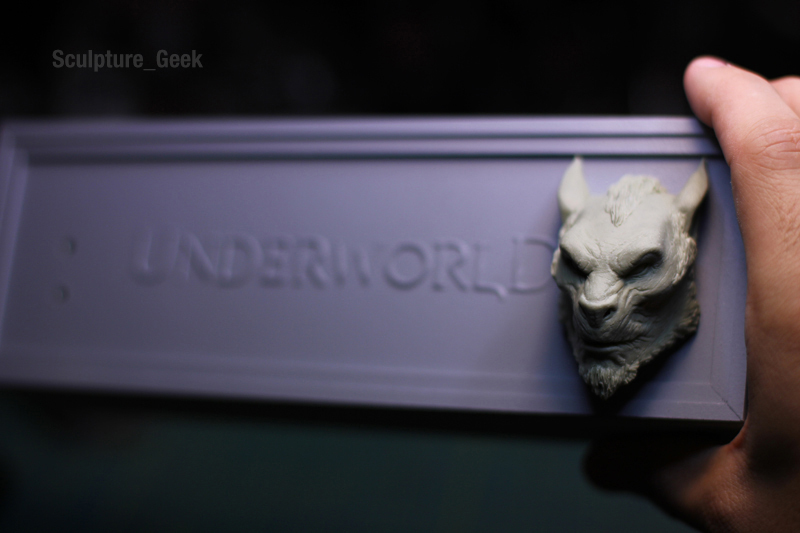 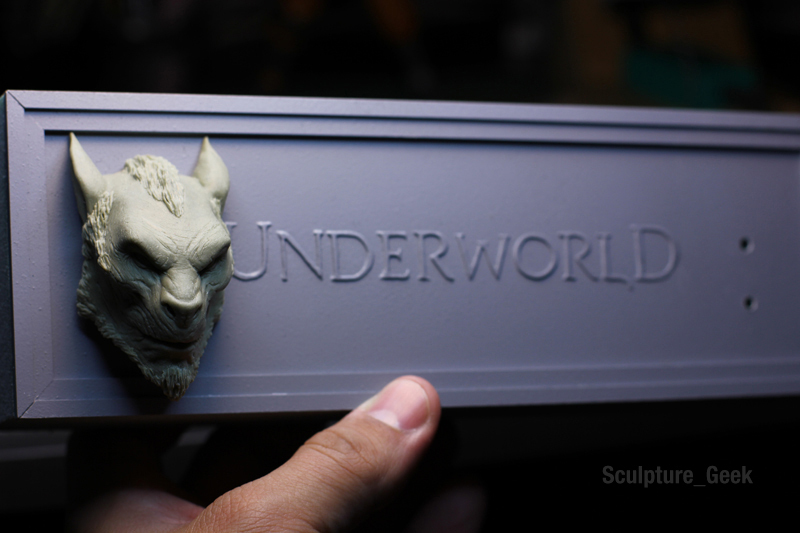 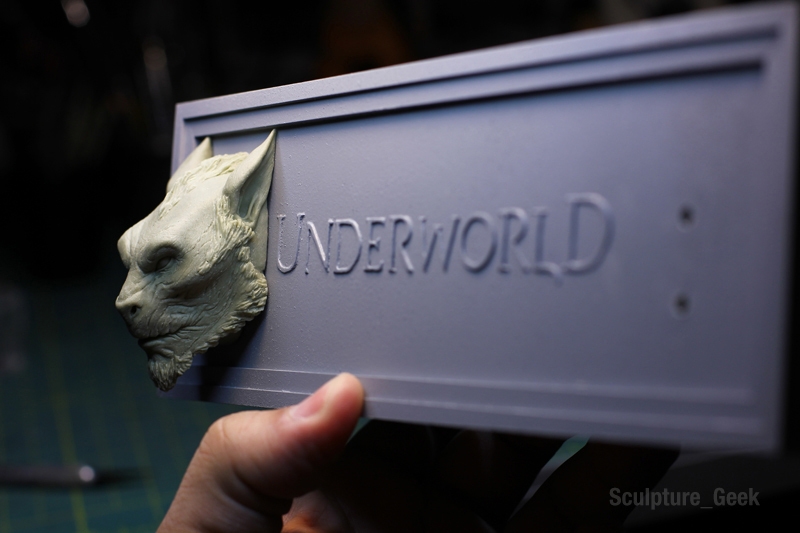 Lycan from Underworld nameplate for Selene 1/4 scale statue. 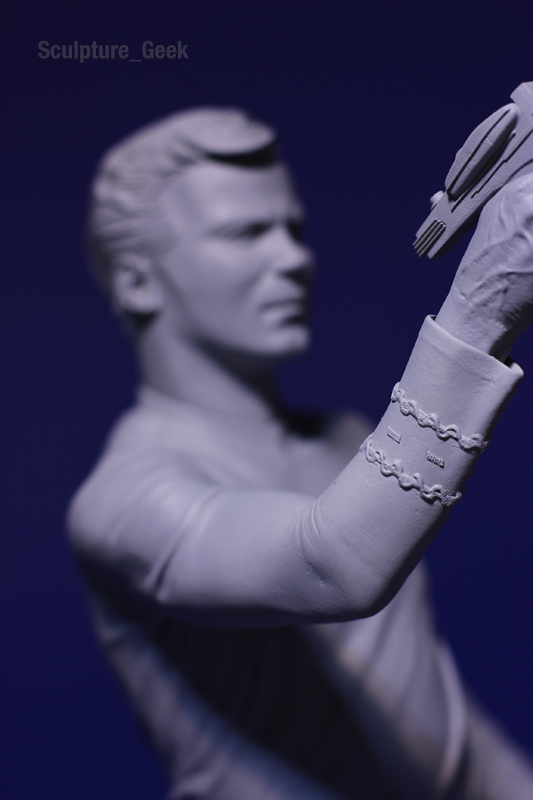 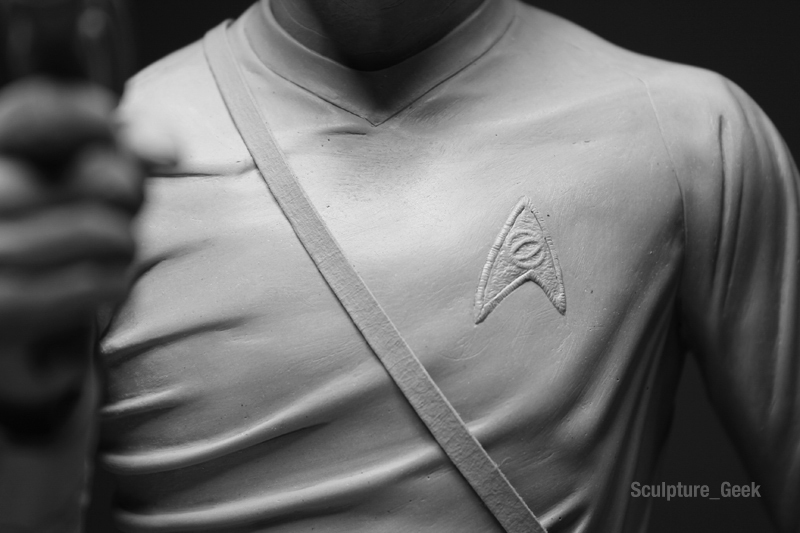 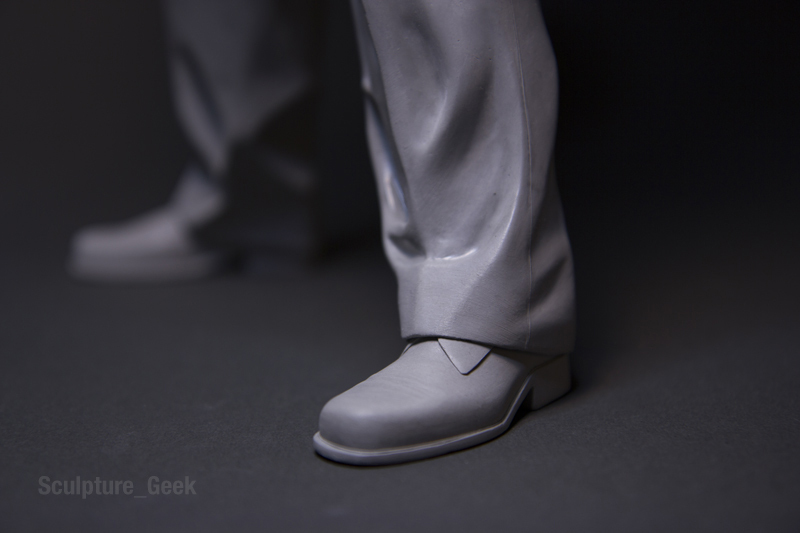 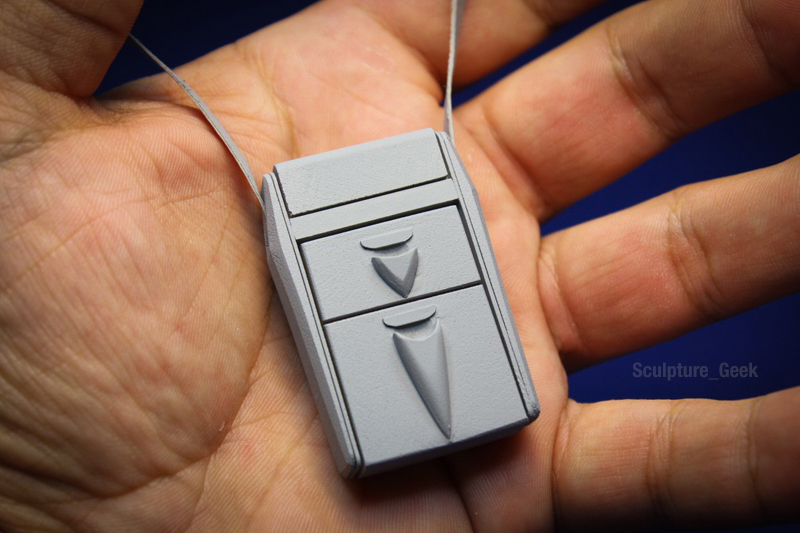 Mr. Spock from Star Trek emblem detail 1/4 scale. 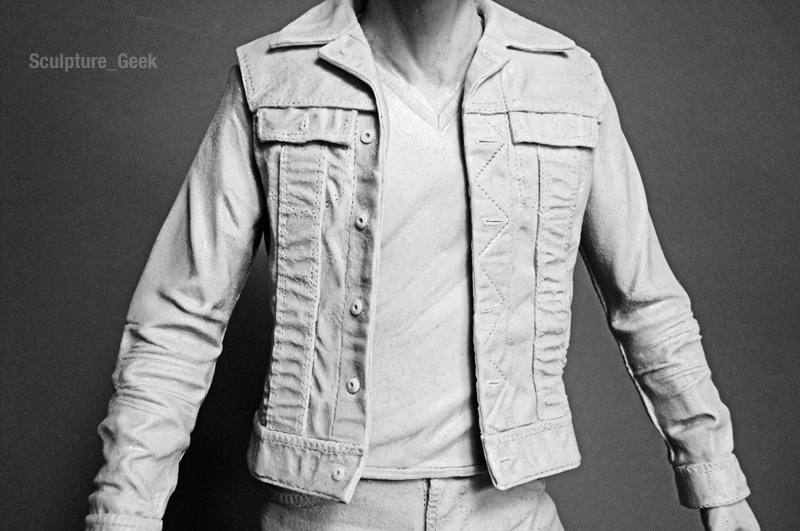 Robert Pattinson as Edward Cullen from Twilight action figure for NECA toys. 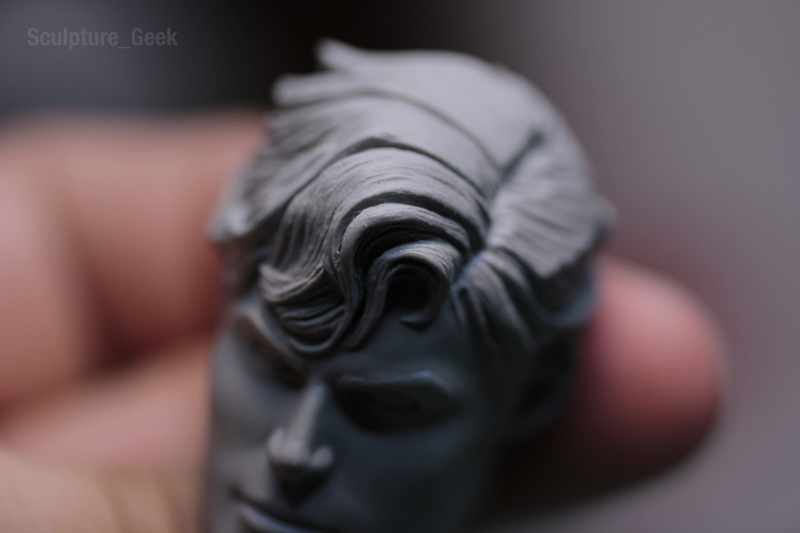 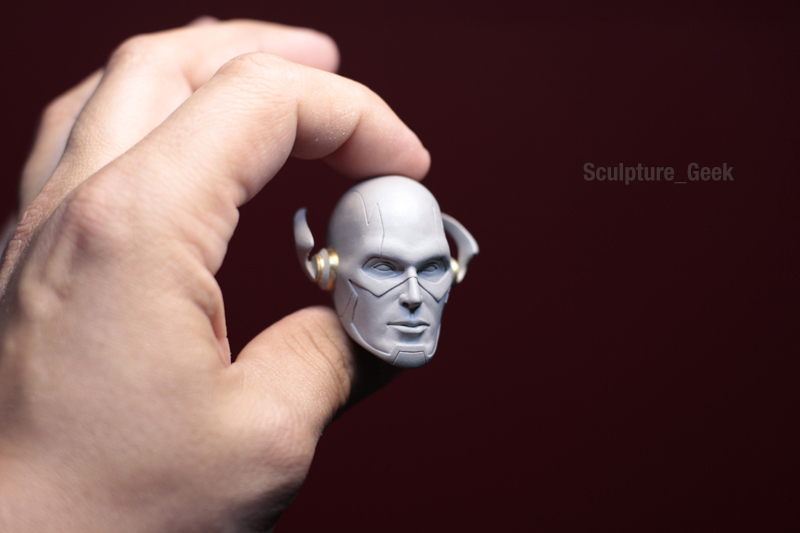 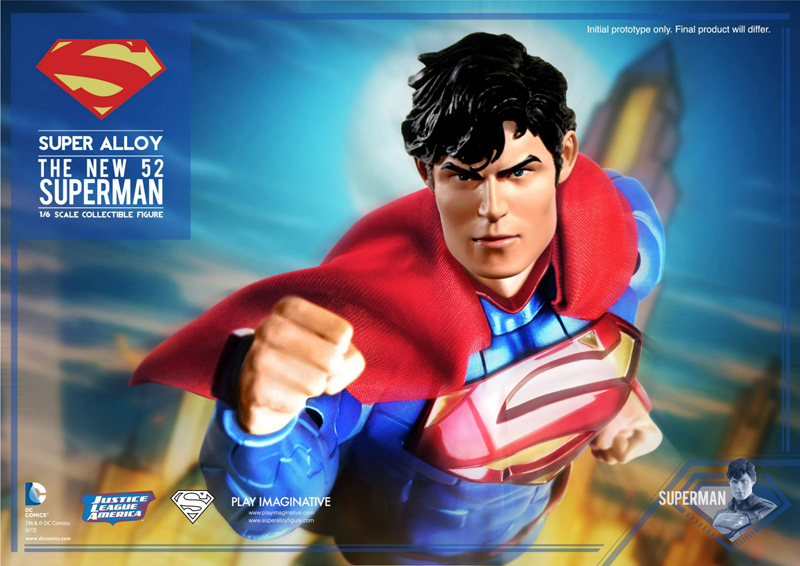 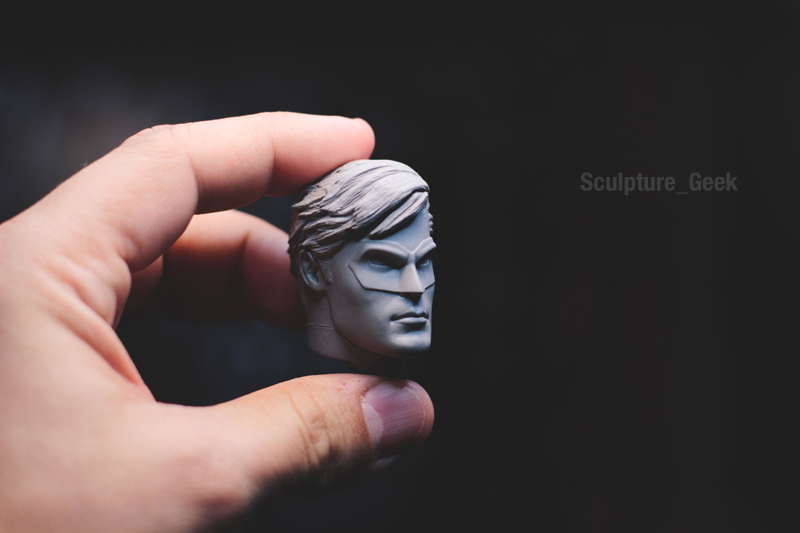 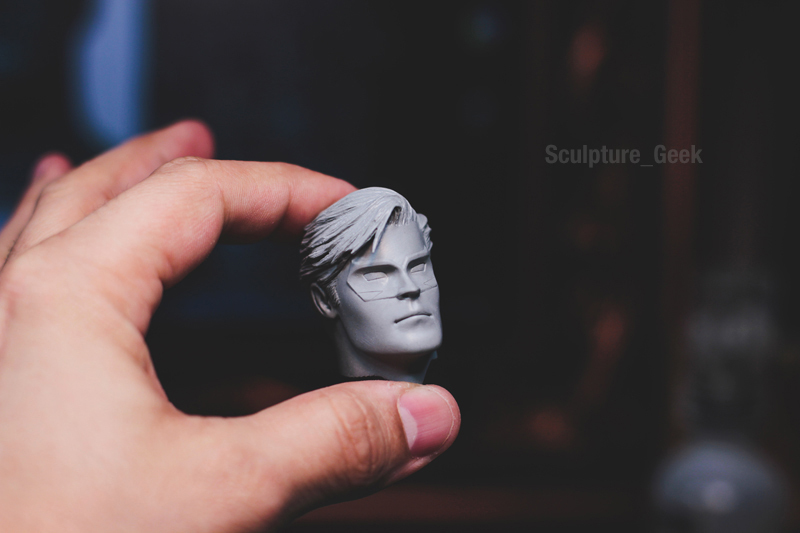 Superman from DC Comics New 52 portrait for Play Imaginative toys. 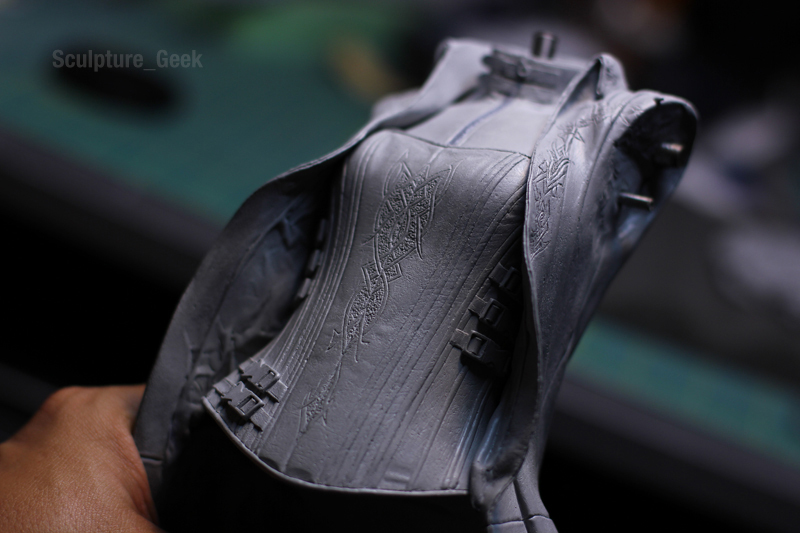 Selene from Underworld corset 1/4 scale. 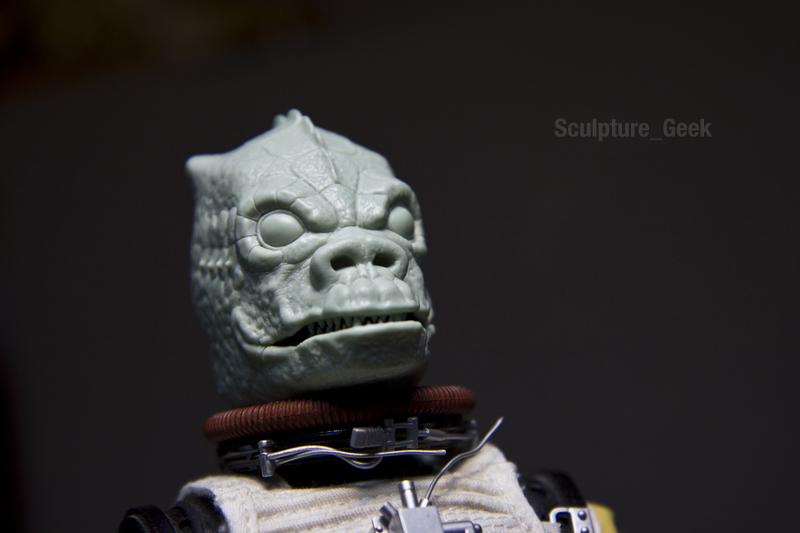 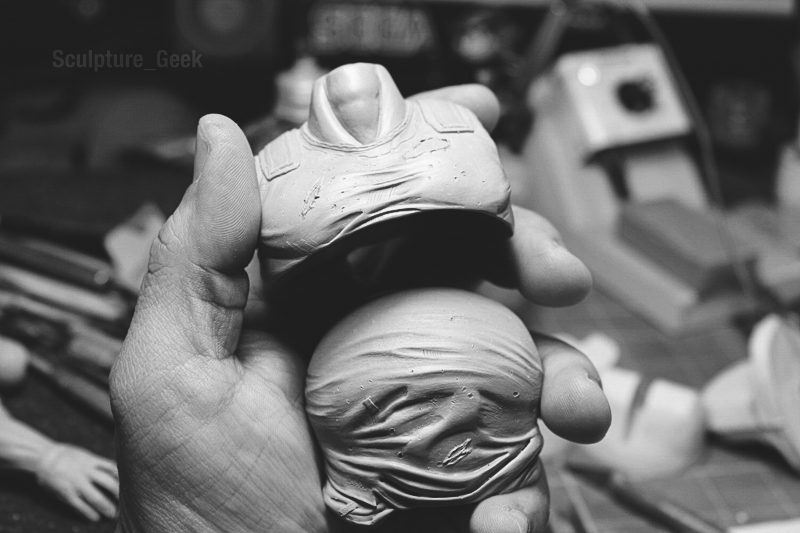 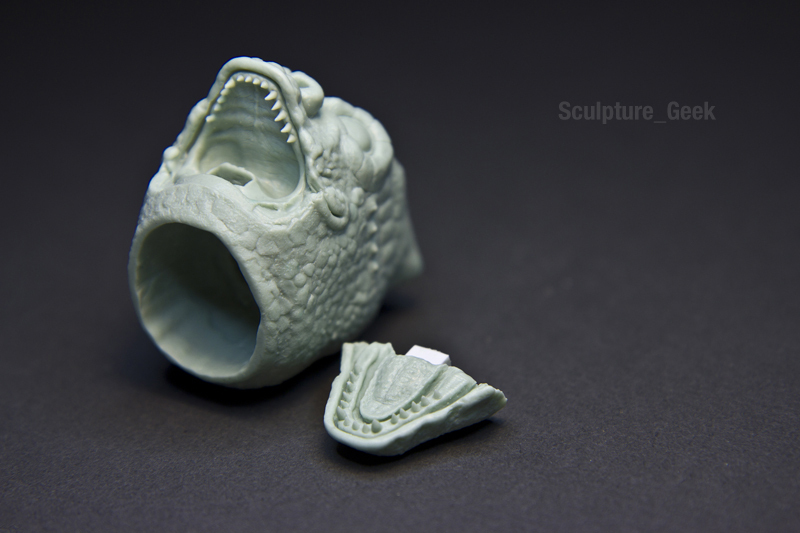 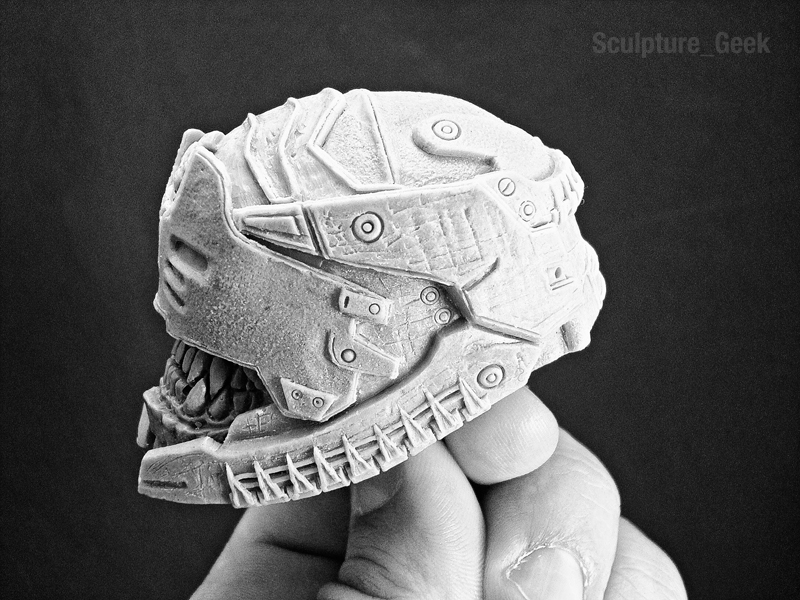 TMNT Head Knockers for NECA toys. 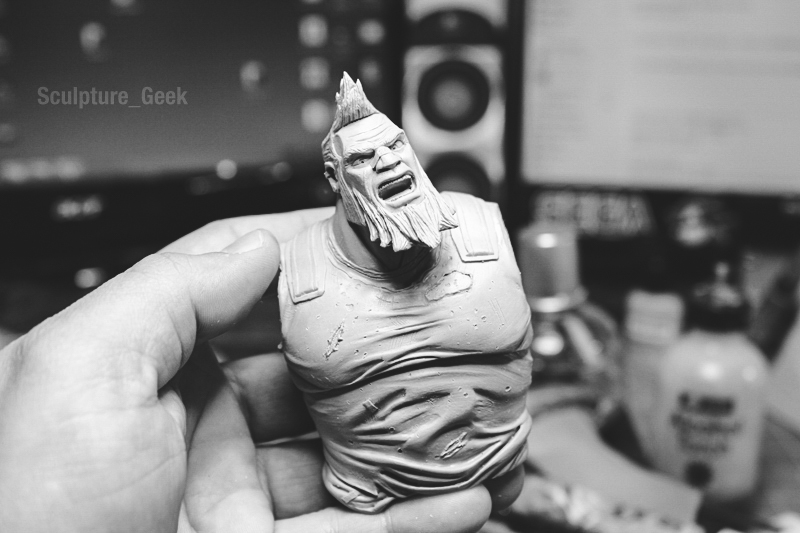 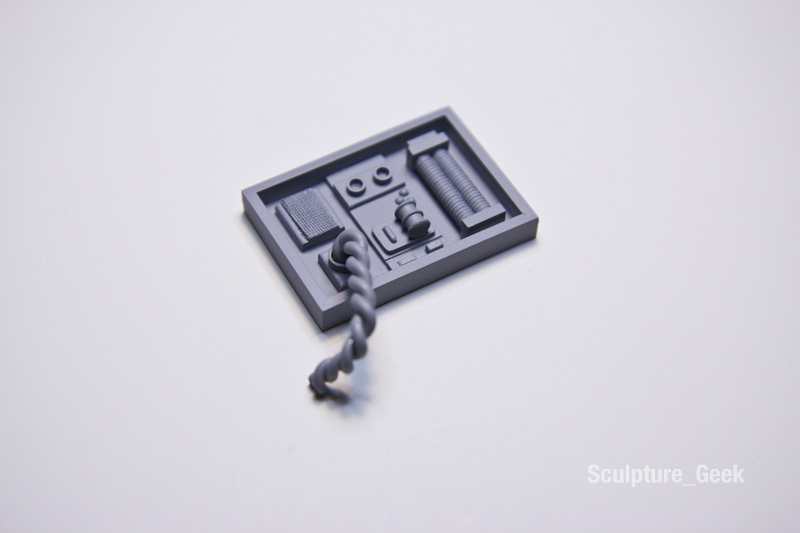 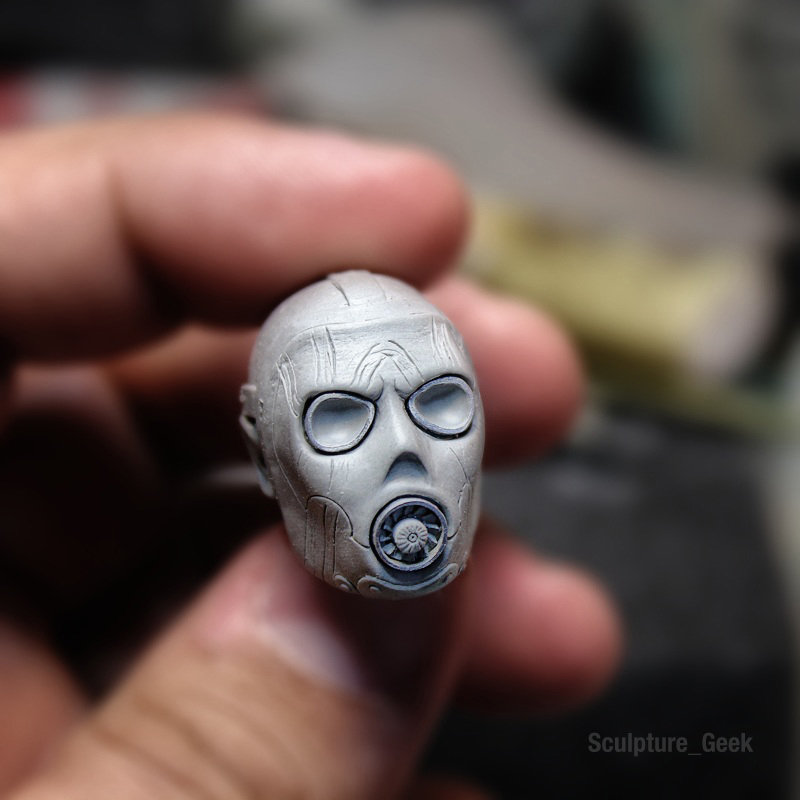 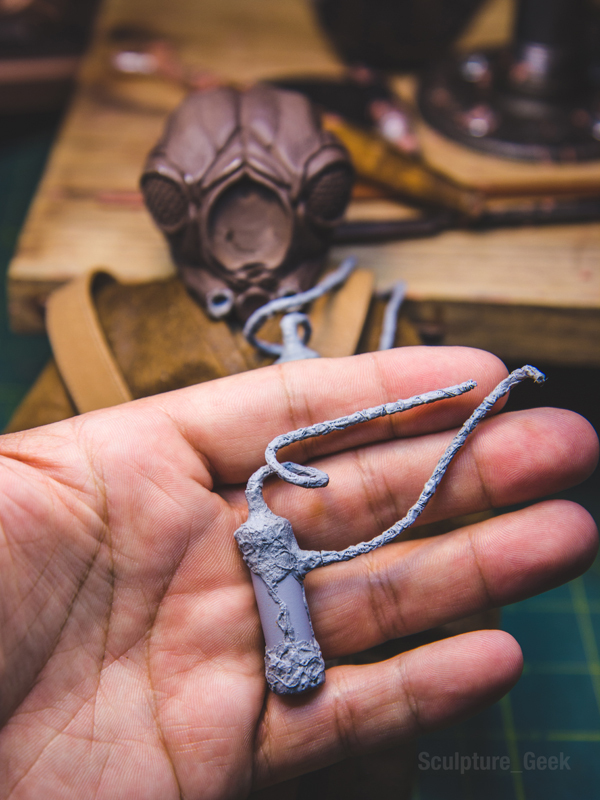 Salvador from Borderlands pack accessory. 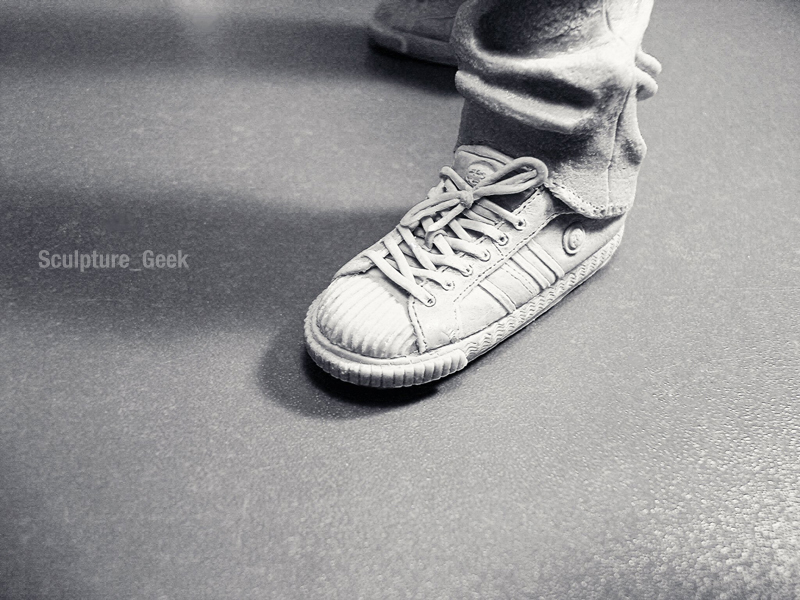 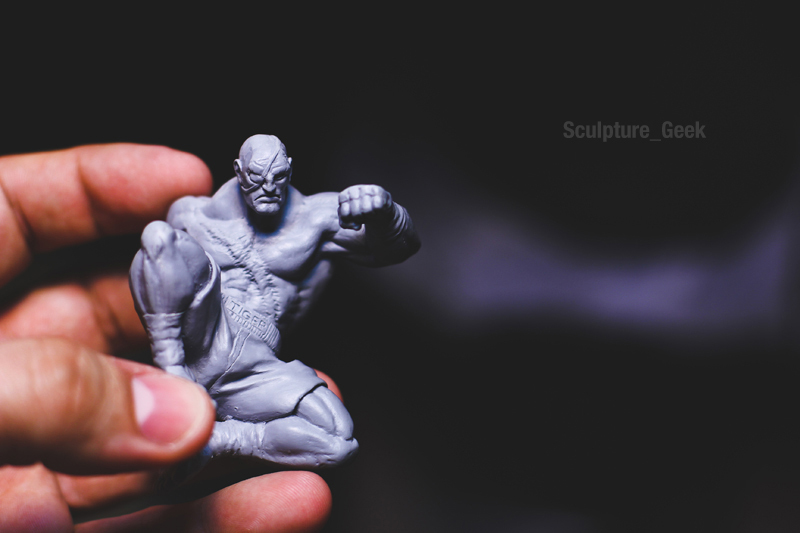 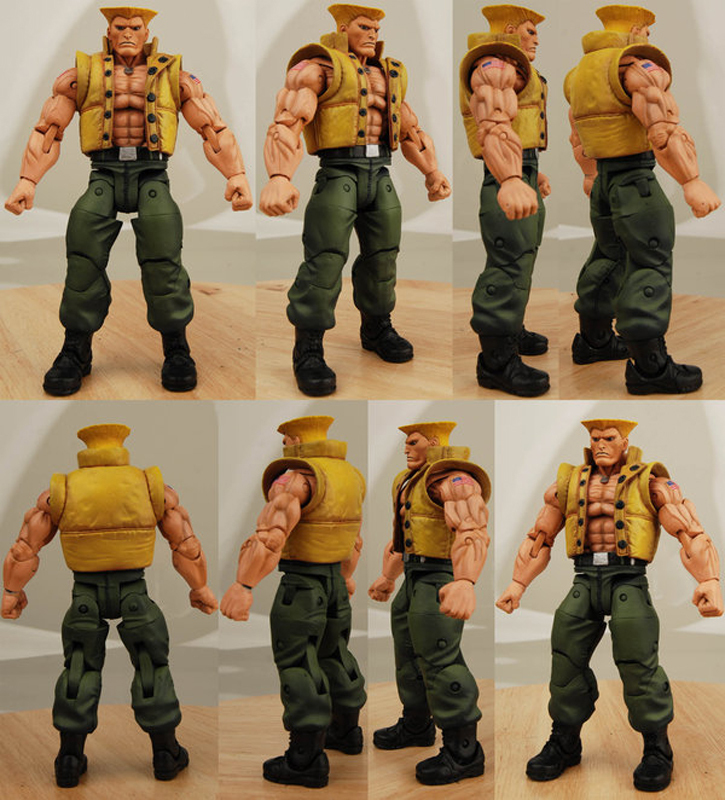 Sagat from Street Fighter Mini figure for NECA Toys *Unreleased. 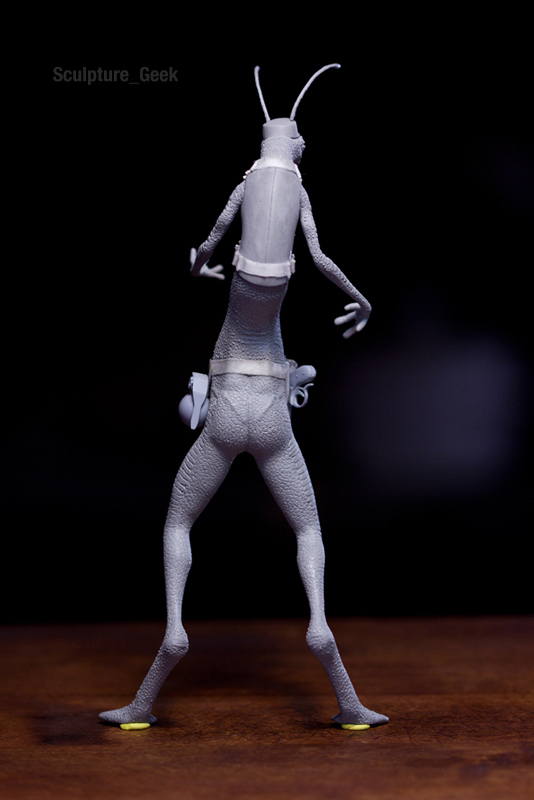 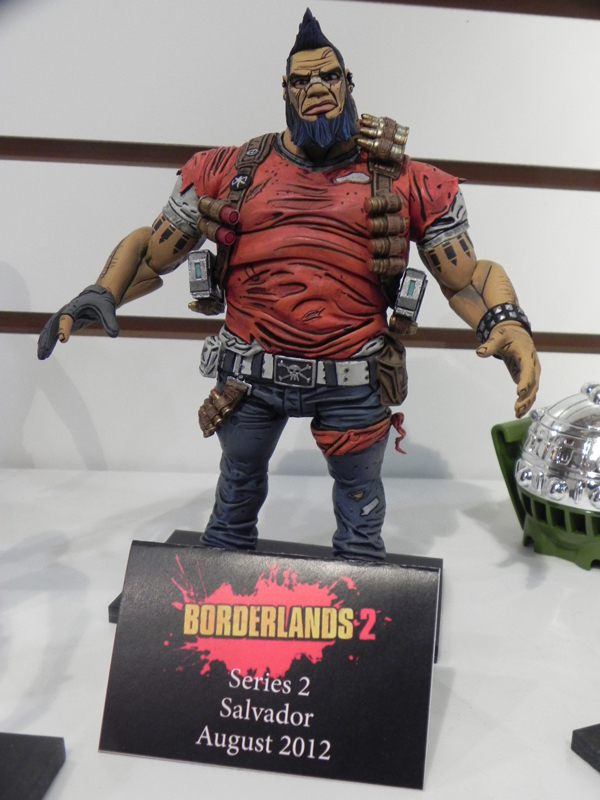 Salvador from Borderlands Action figure for NECA toys *Unreleased. 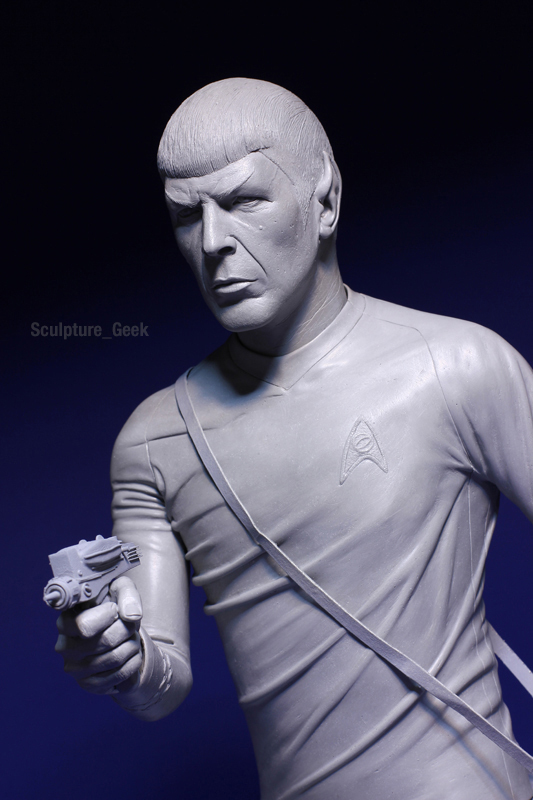 Portrait of Leonard Nimoy as Mr. Spock from Star Trek. 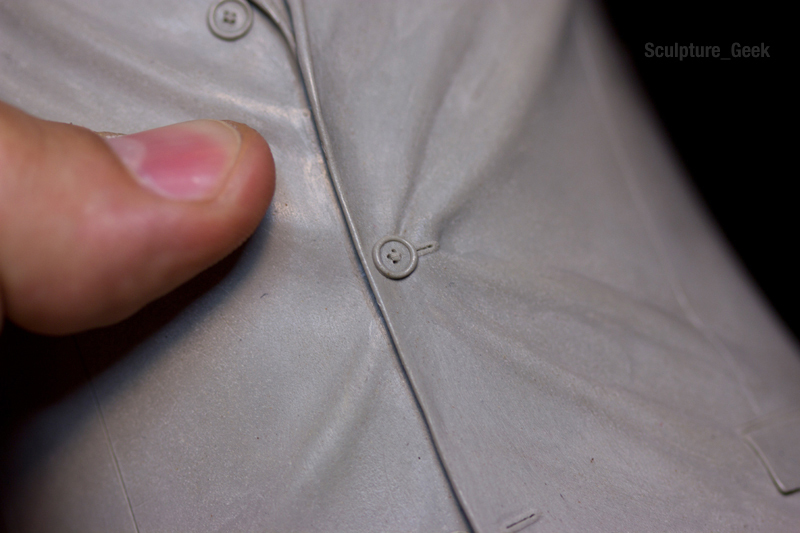 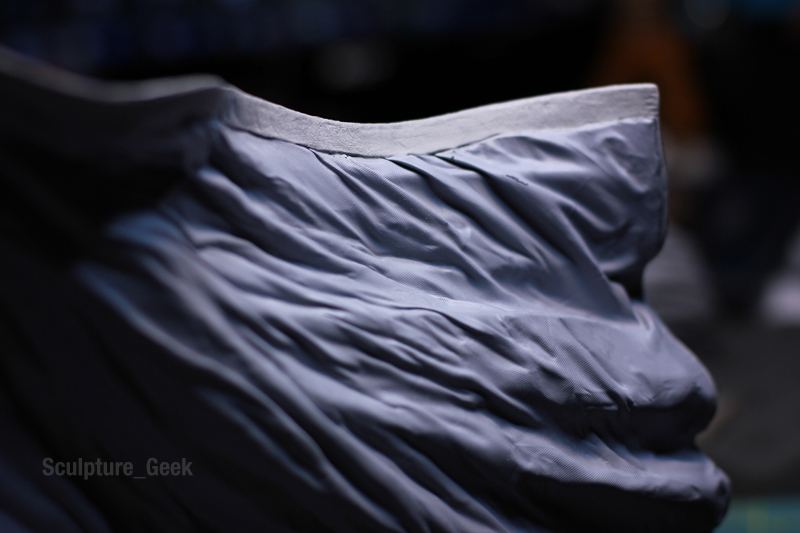 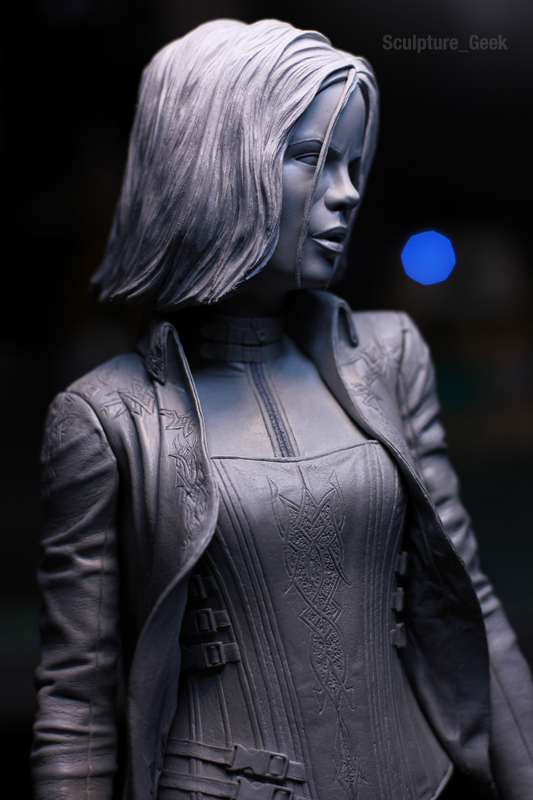 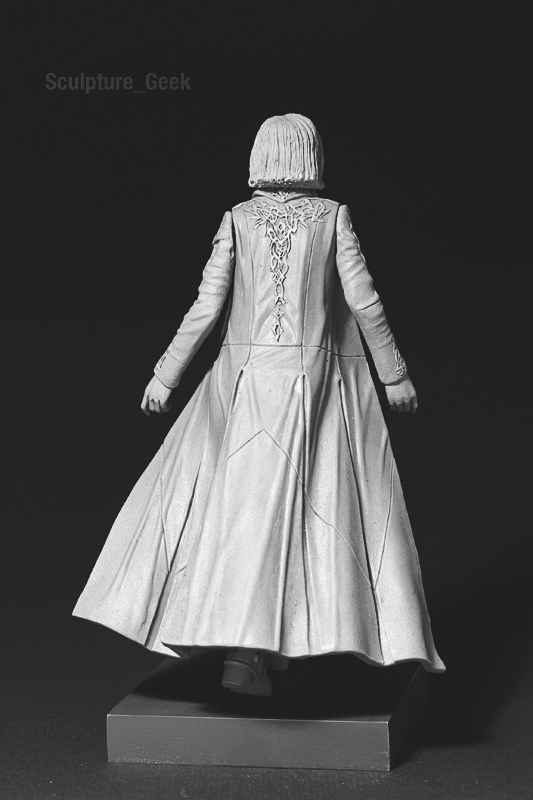 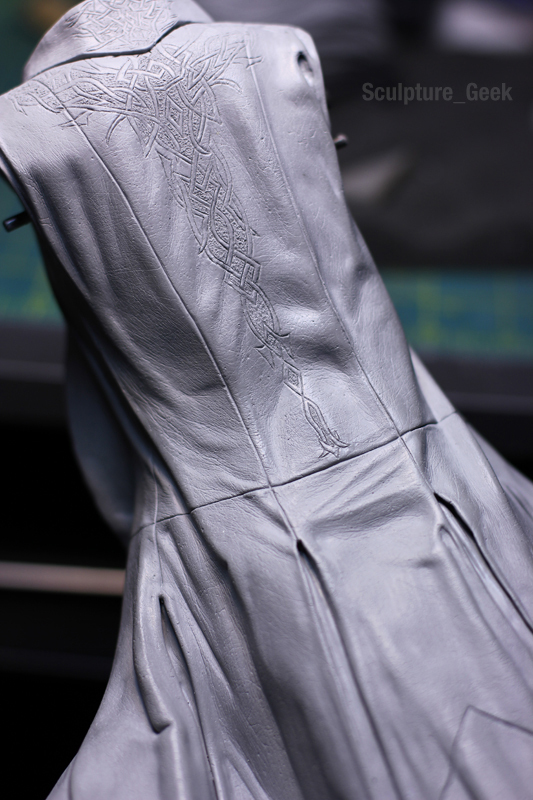 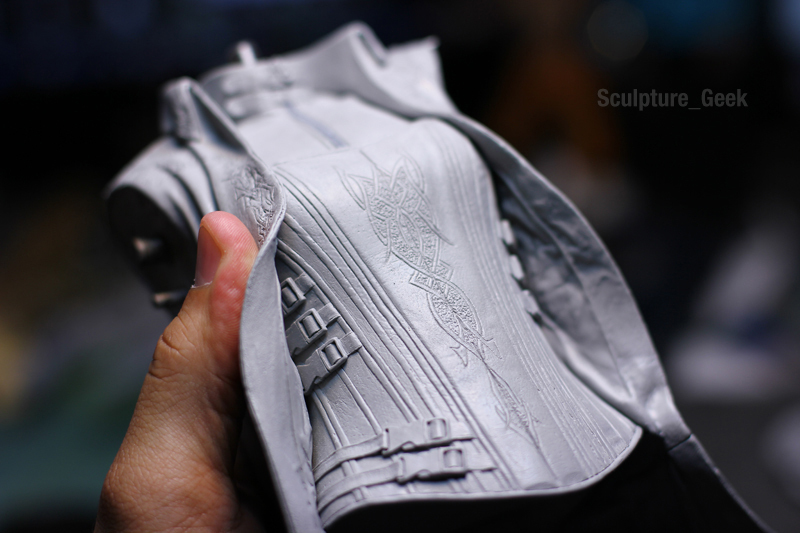 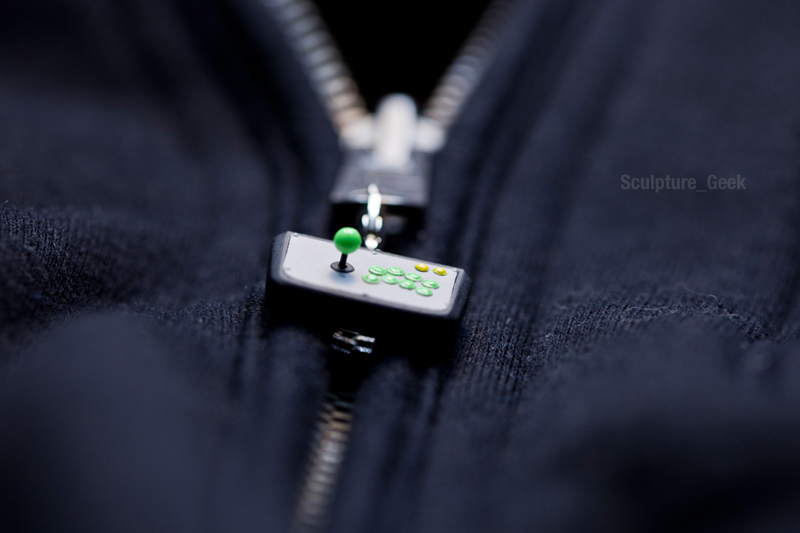 Selene from Underworld jacket inside 1/4 scale. 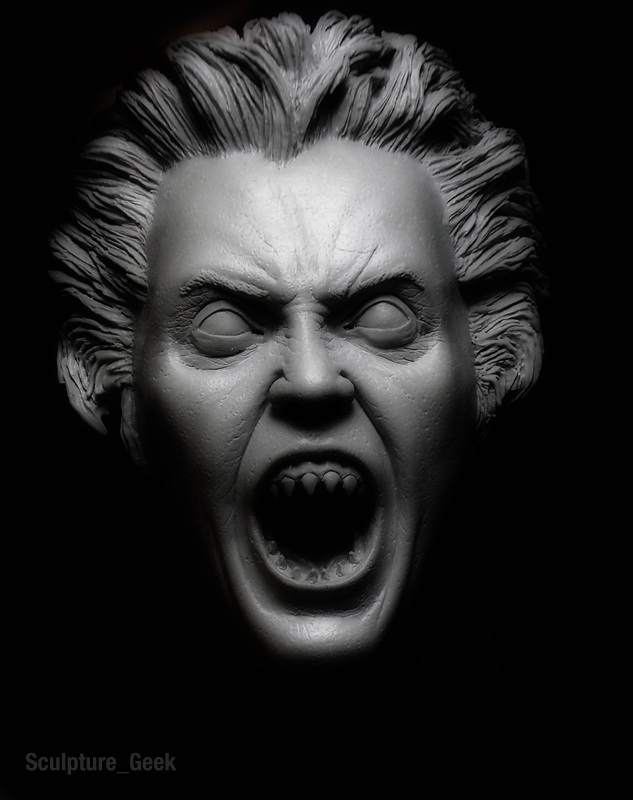 Portrait of Christopher Walken as the Hessian Horseman from Sleepy Hollow. 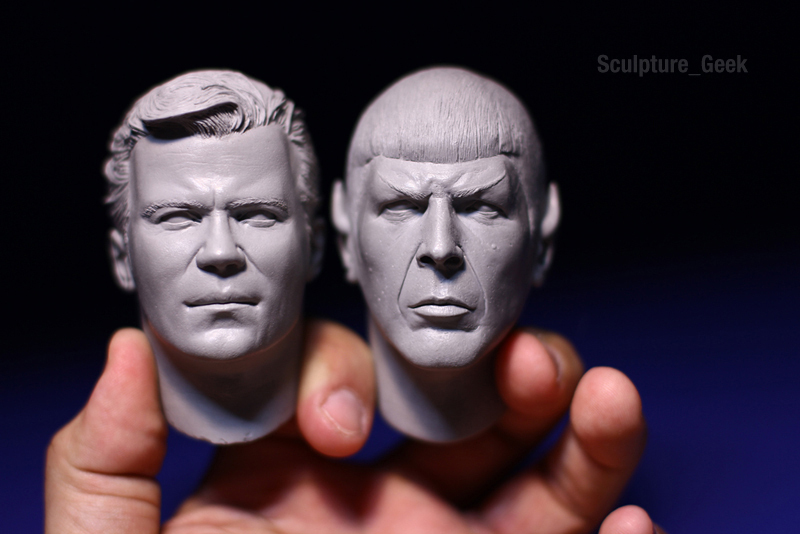 Captain Kirk and Mr. Spock from Star Trek portraits 1/4 scale. 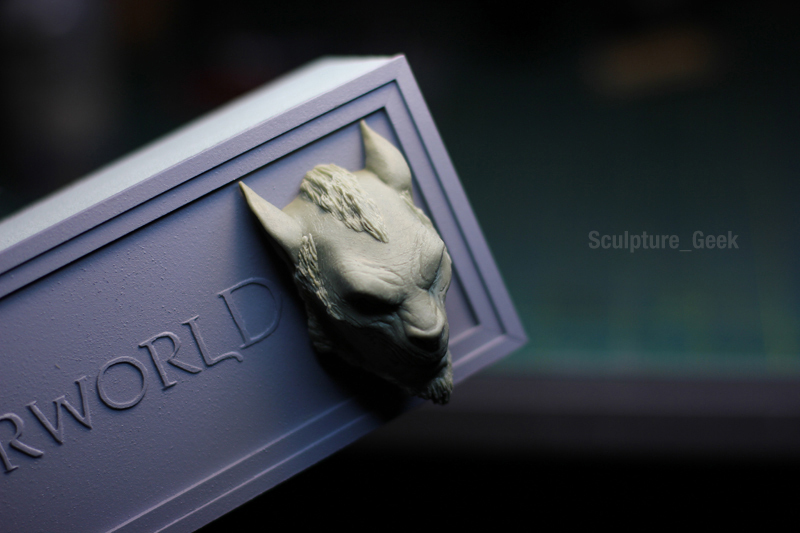 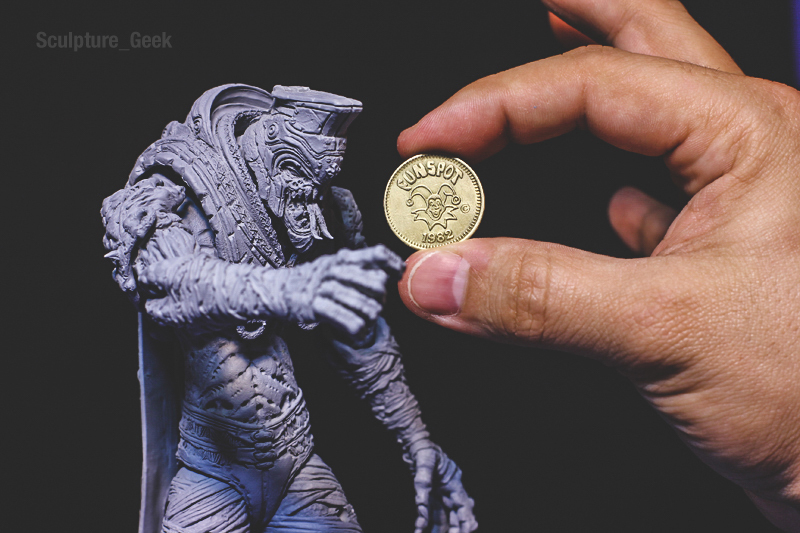 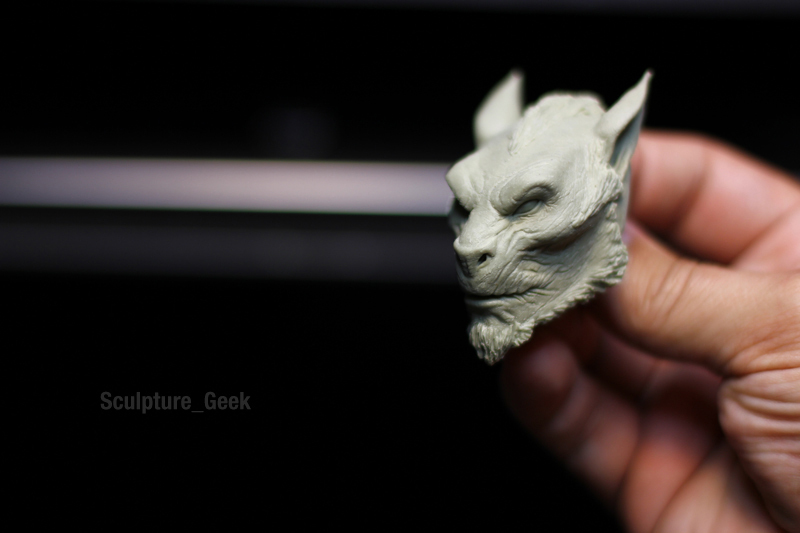 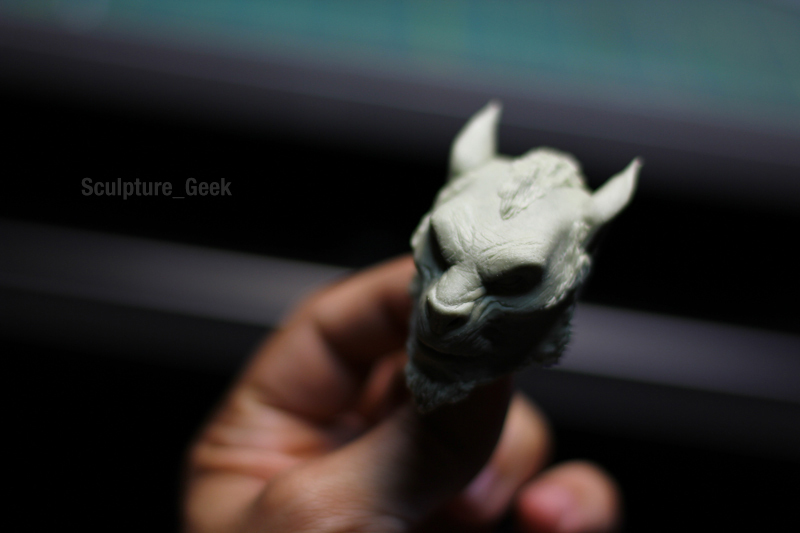 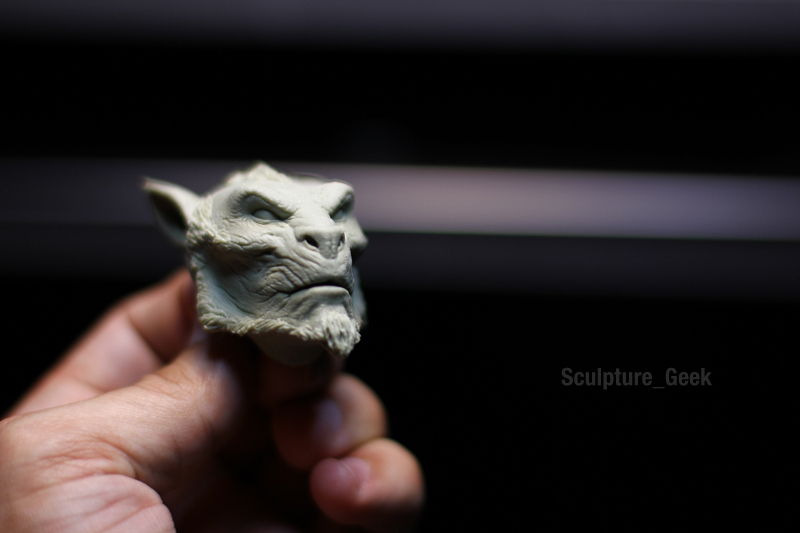 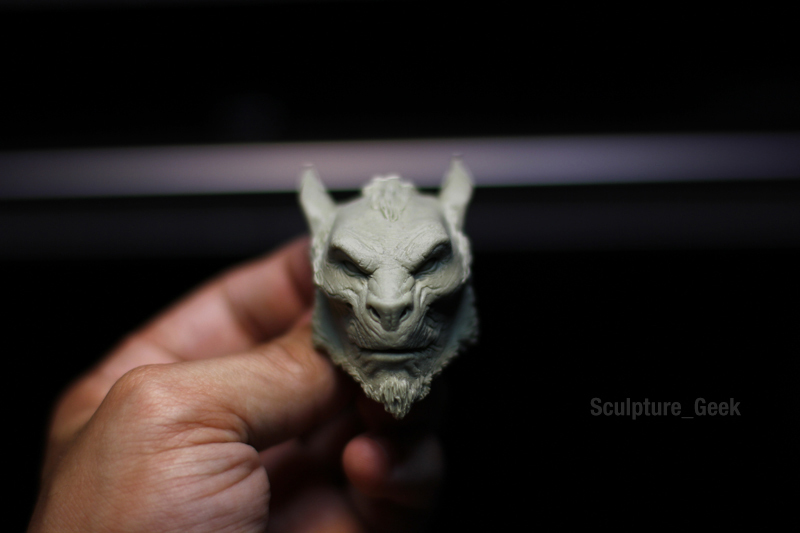 Lycan from Underworld for Selene 1/4 scale statue. 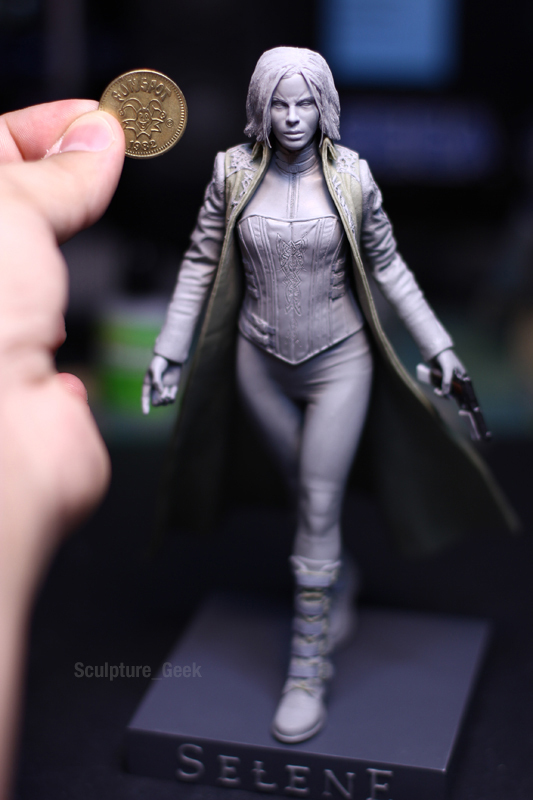 Selene from Underworld jacket 1/4 scale. 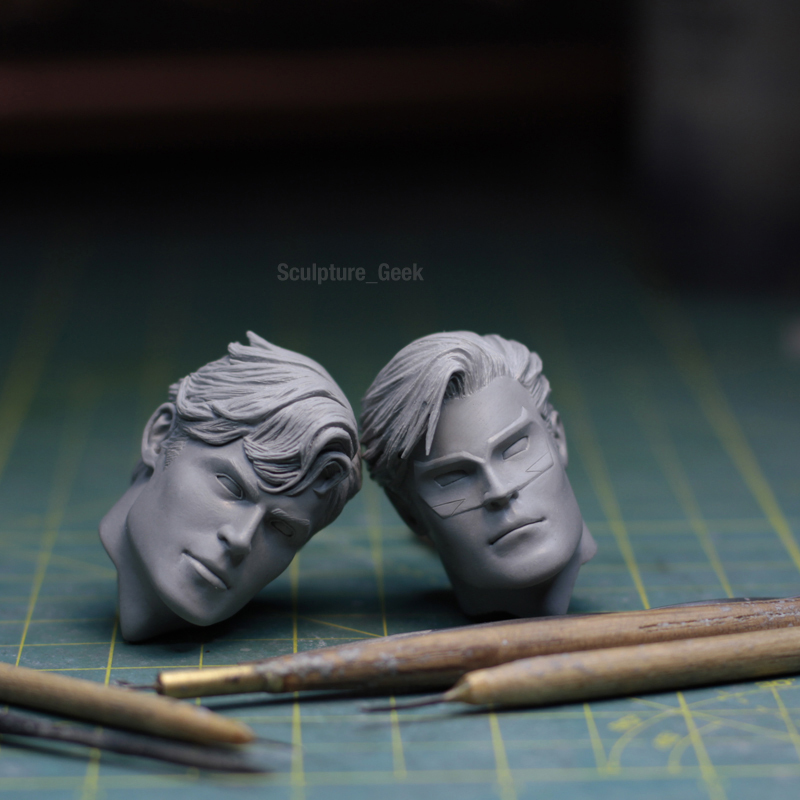 Green Lantern and Superman from DC Comics New 52 portrait for Play Imaginative toys. 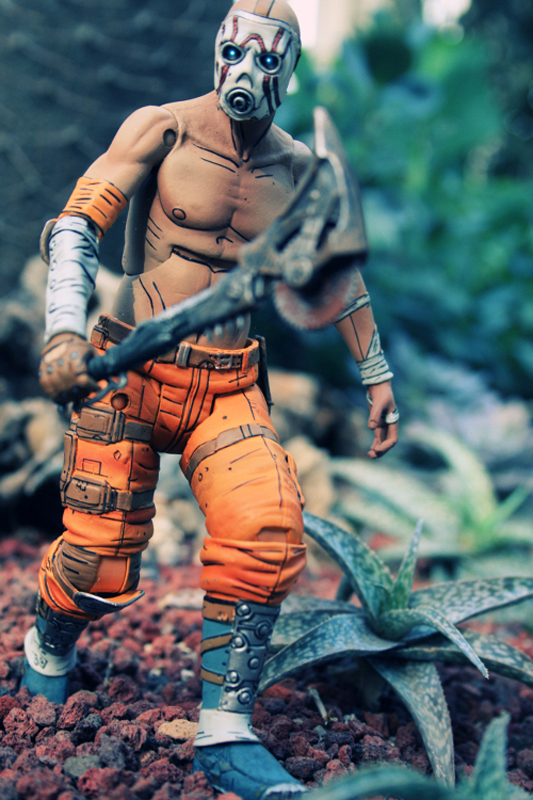 Psycho Bandit from Borderlands Action figure for NECA toys. 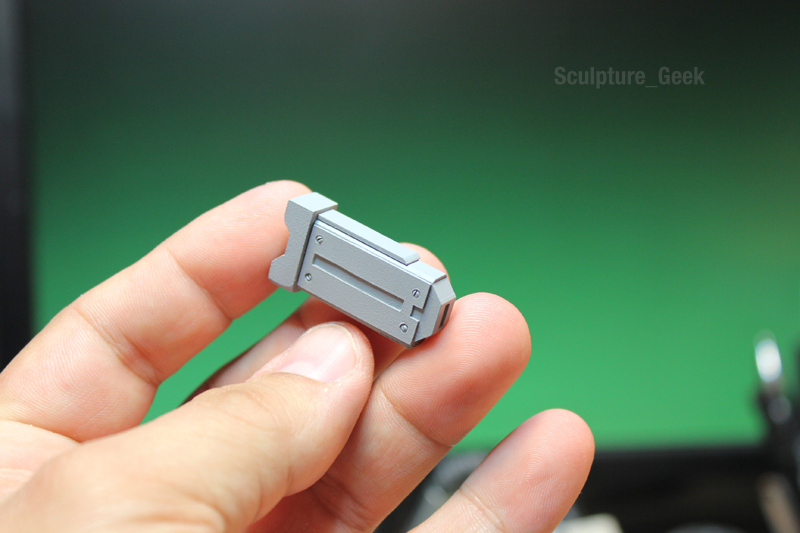 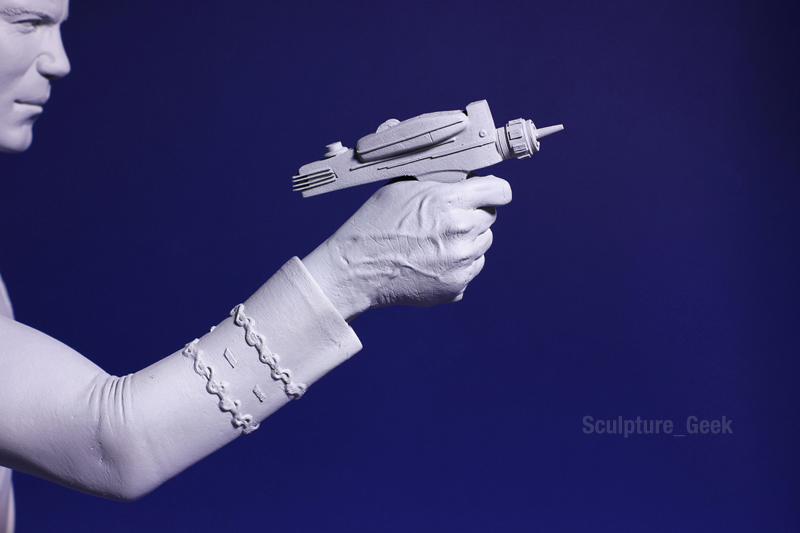 Phaser accessory from Star Trek. 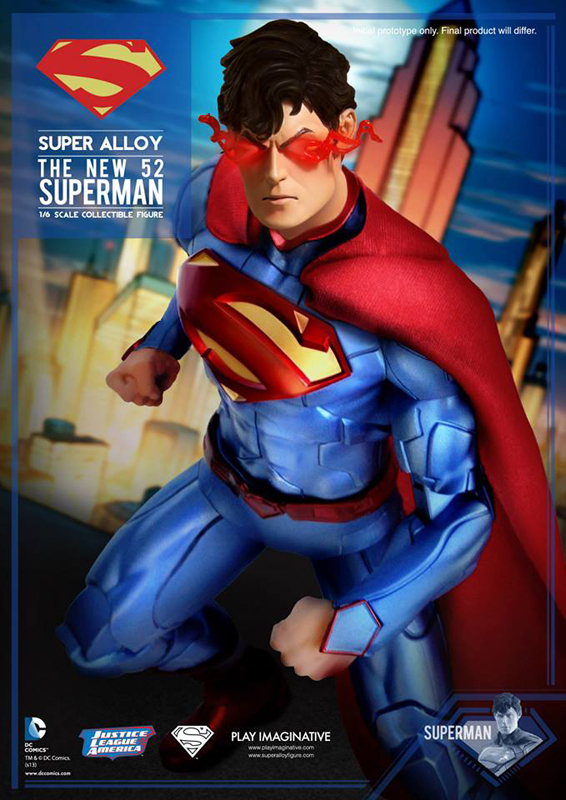 Flash from DC comics New 52 for Play Imaginative toys. 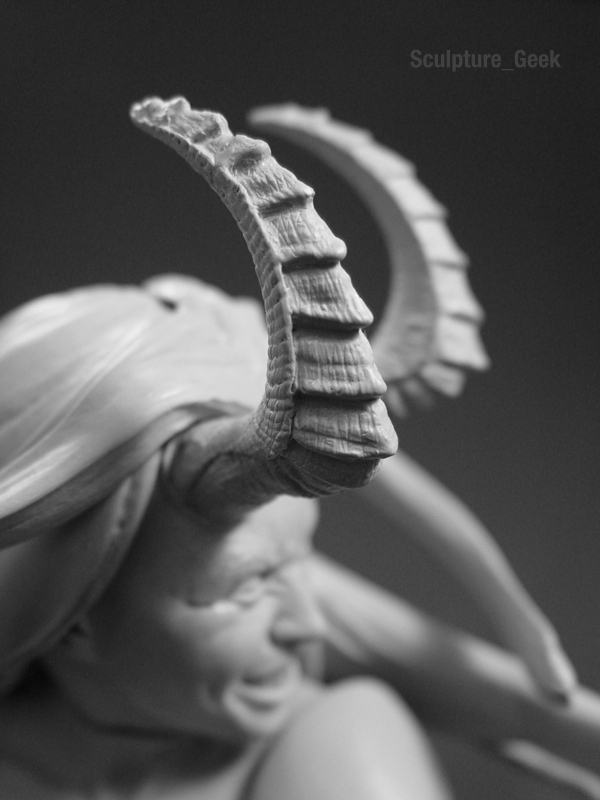 Illyana Rasputin from Majick premium format for Sideshow Collectibles. 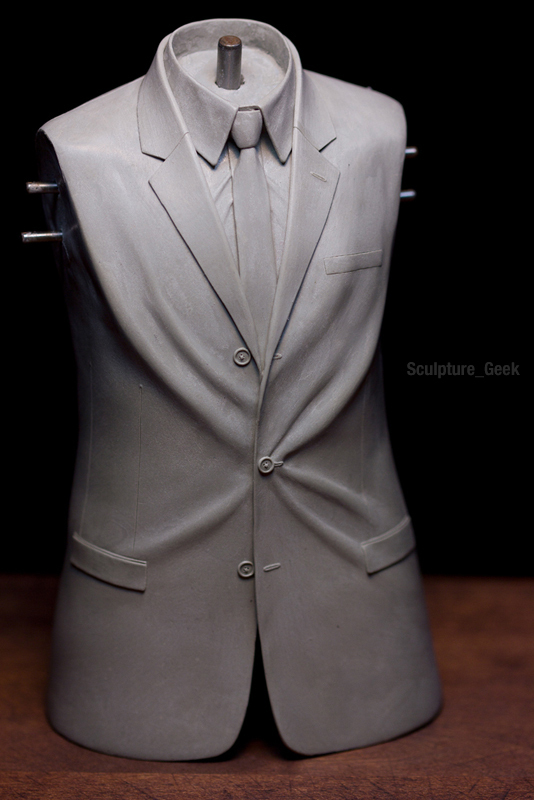 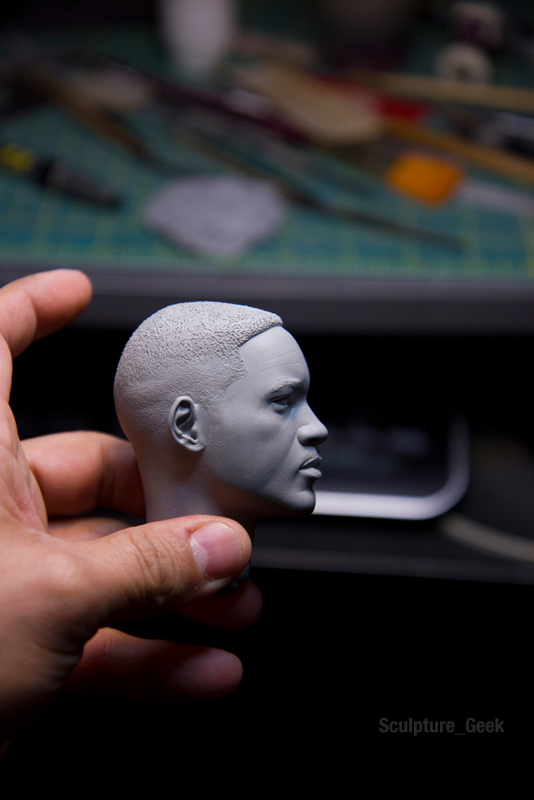 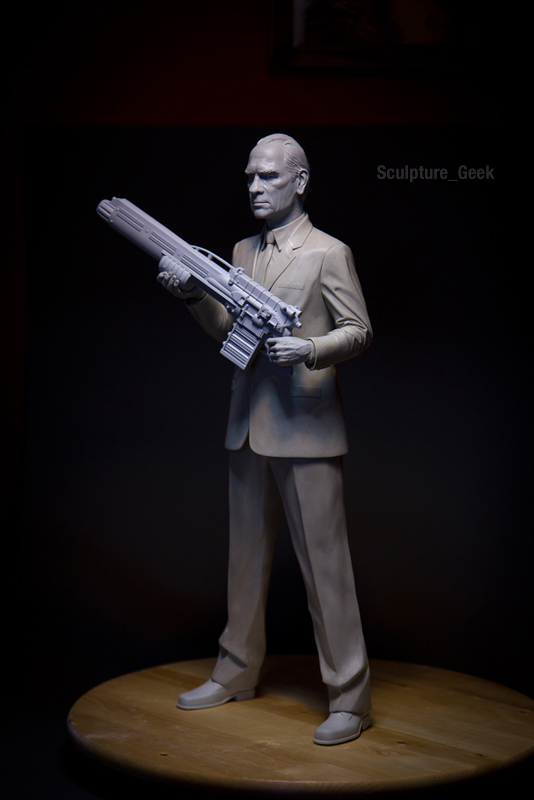 Men in Black 1/4 Scale. 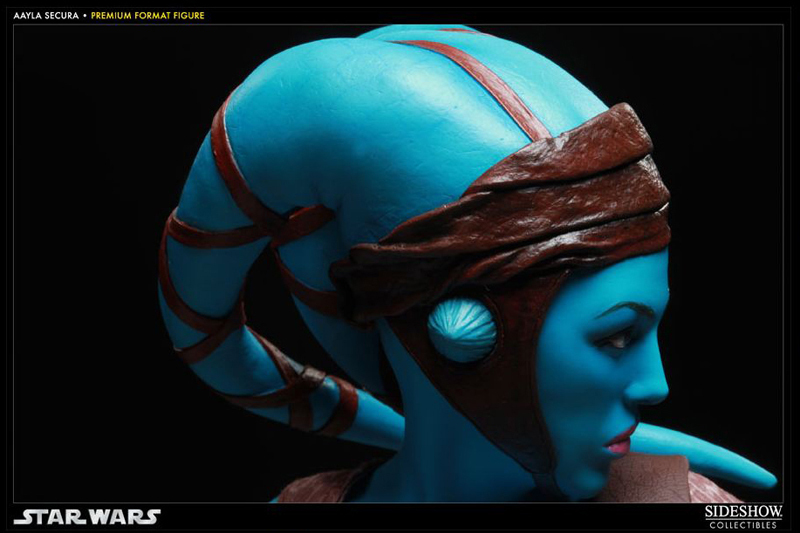 Amy Allen as Aayla Secura 1/4 premium format for Sideshow Collectibles. 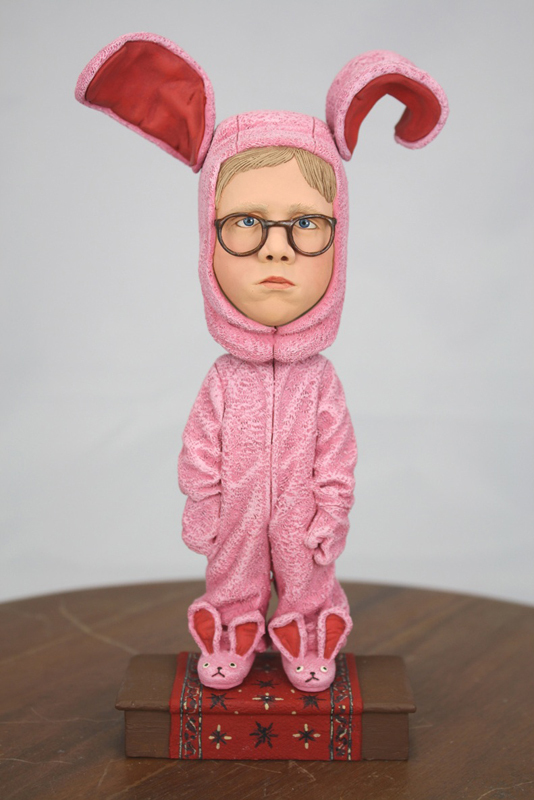 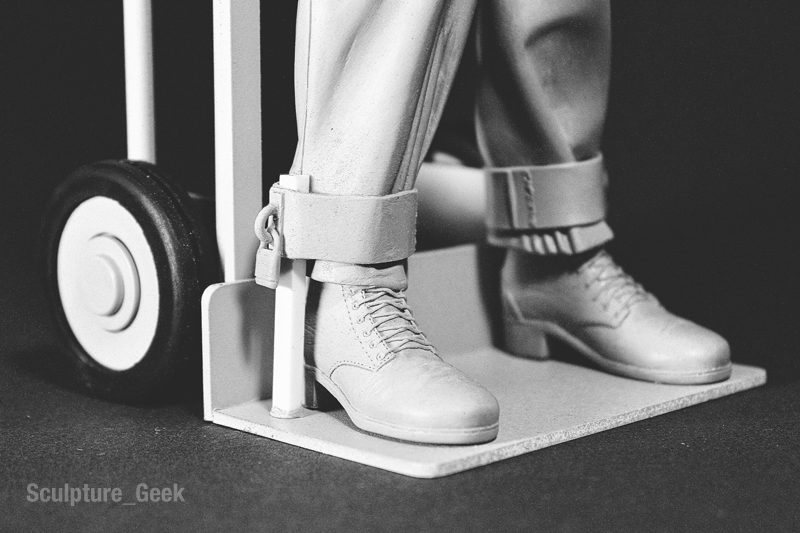 Peter Billingsley as Ralphie from A Christams Story Head Knocker for NECA toys. 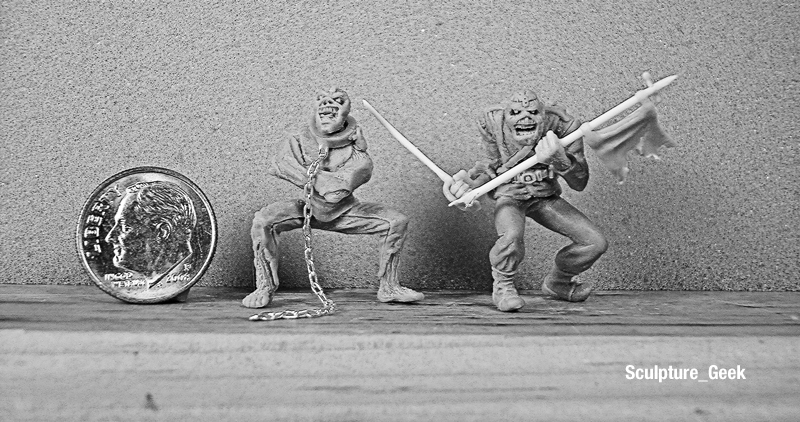 The Trooper and Piece of Mind Eddie from Iron Maiden Hero Clix for NECA toys. 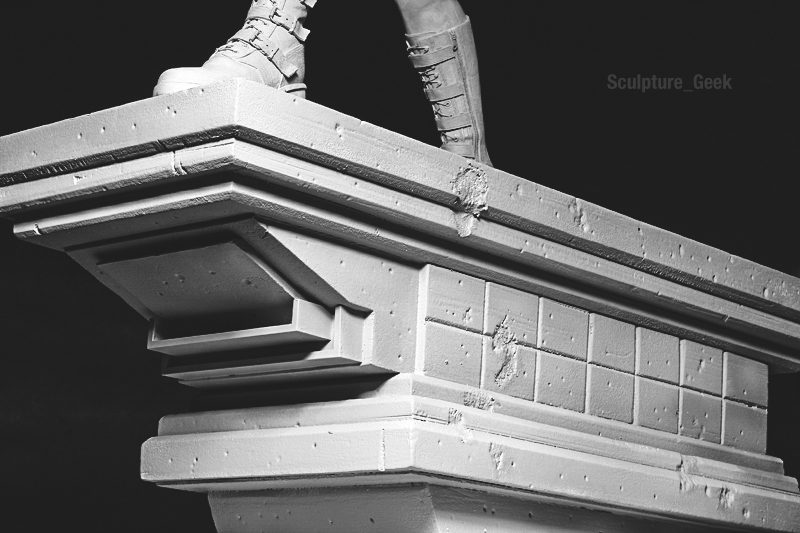 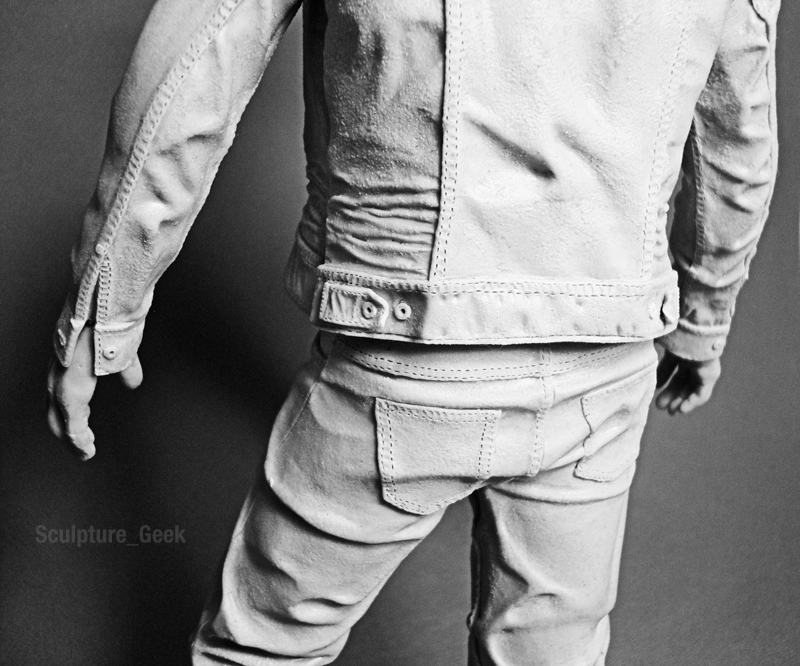 Alice Cooper 1/4 Scale statue detail (private commission). 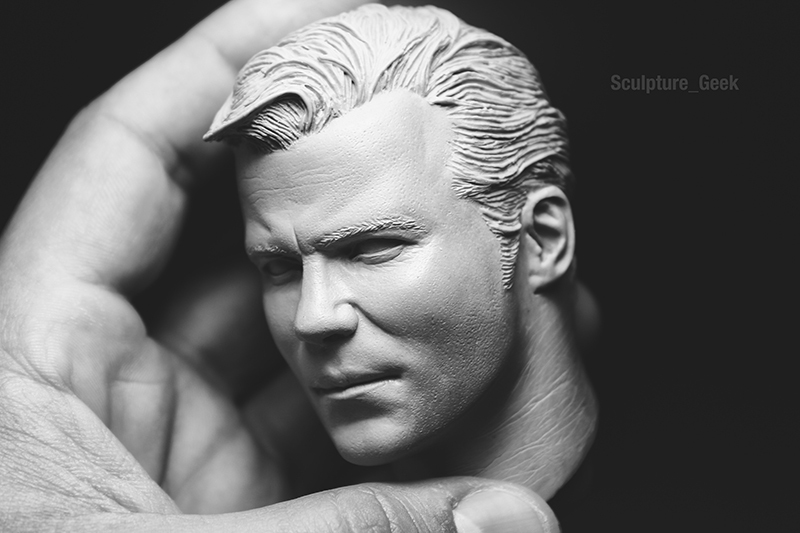 Thor from Marvel Comics 1/6 scale hand for Sideshow Collectibles.